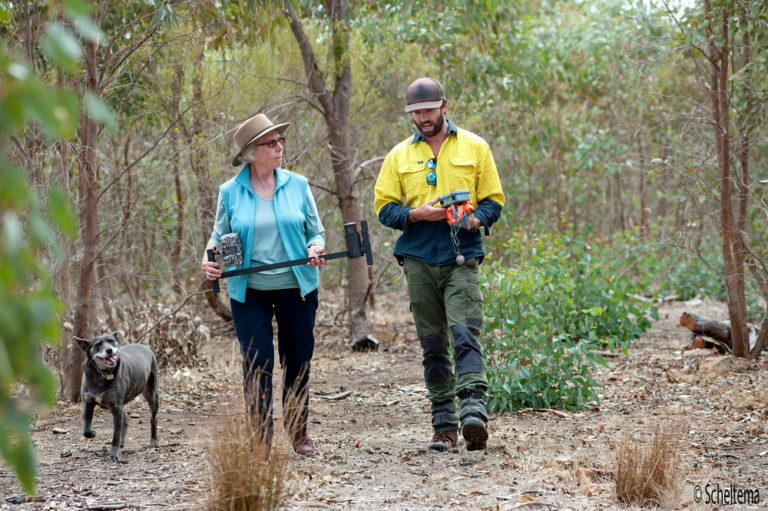 Newham and District Landcare member Penny Roberts and Hanging Rock Environmental officer Daniel Young working to protect threatened species. Welcome to the Autumn edition of of the UCLN Enews. I hope you enjoy reading about the latest wonderful events and resources on offer, and are inspired by the efforts of our Landcarer’s in the district. 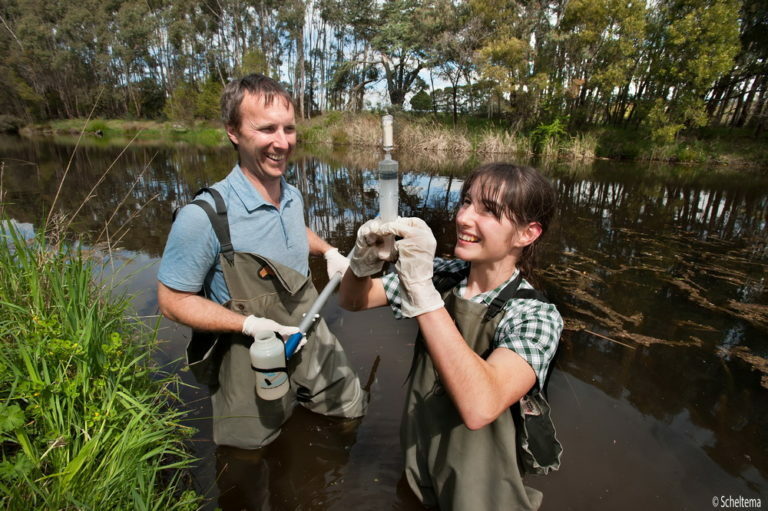 The UCLN conducted its first Citizen Science day to collect water samples from the Campaspe and Coliban Rivers to gather data for the Platypus Project, a collaboration with platypus ecologist Josh Griffiths from EnviroDNA. Photo Zoos Victoria. Our first Citizen Scientist day was conducted recently as part of the UCLN Platypus Project.It was fantastic to see community groups, Landcare, Government Agencies and local landowners come together for the day as Citizen Scientists to help collect platypus DNA for ecologist Josh Griffiths from EnviroDNA. They were targeting critical refuge areas during the dry summer months along the Campaspe and Coliban Rivers. 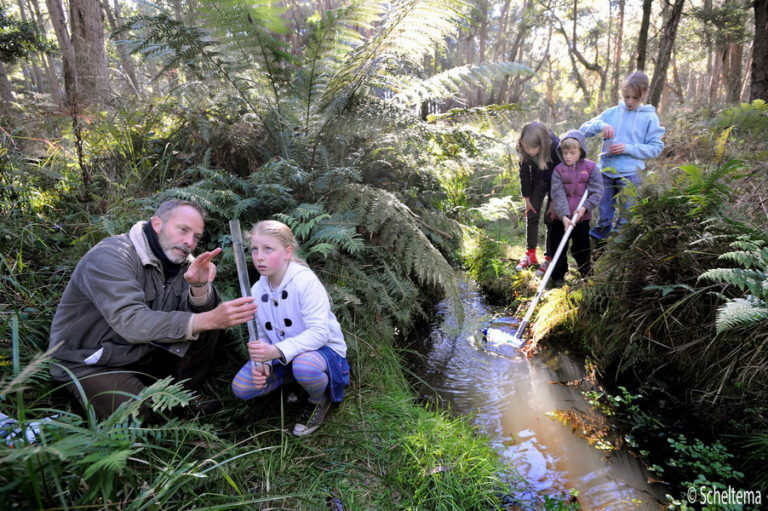 Four schools have also been involved in the project testing the Campaspe River in the north at Redesdale, the south at Ashbourne, on the Coliban at Taradale and in the middle of our project area at Kyneton. 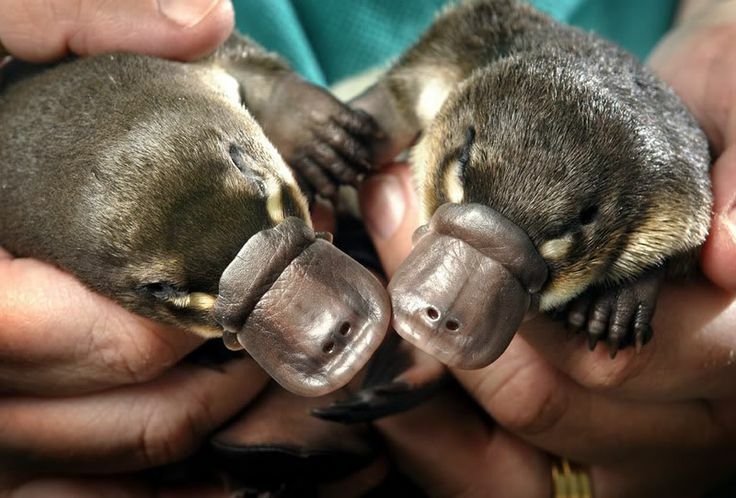 Over 300 enthusiastic students have taken on the role of platypus protectors and learnt about waterway health. We will be conducting another Citizen Science day to collect samples from 50 sites along the rivers in the breeding season in spring. 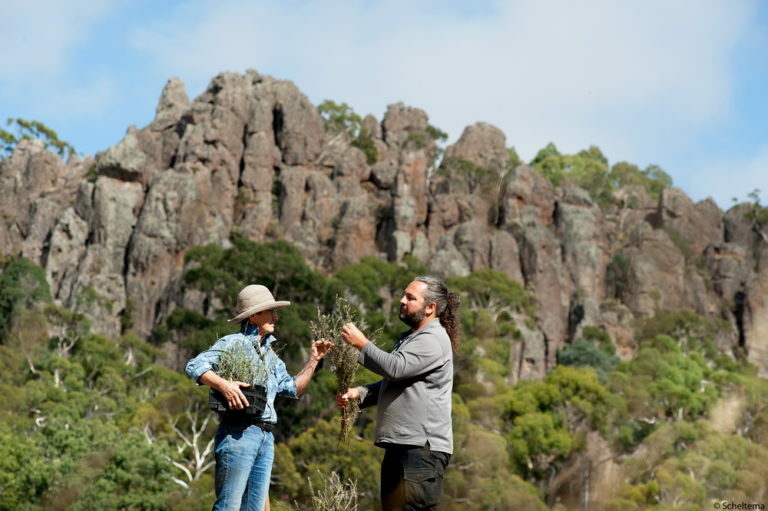 The unassuming little Basalt Peppercress plant, a nationally endangered species, is being given a new chance of life at the iconic Hanging Rock Reserve thanks to Newham and District Landcare Group. 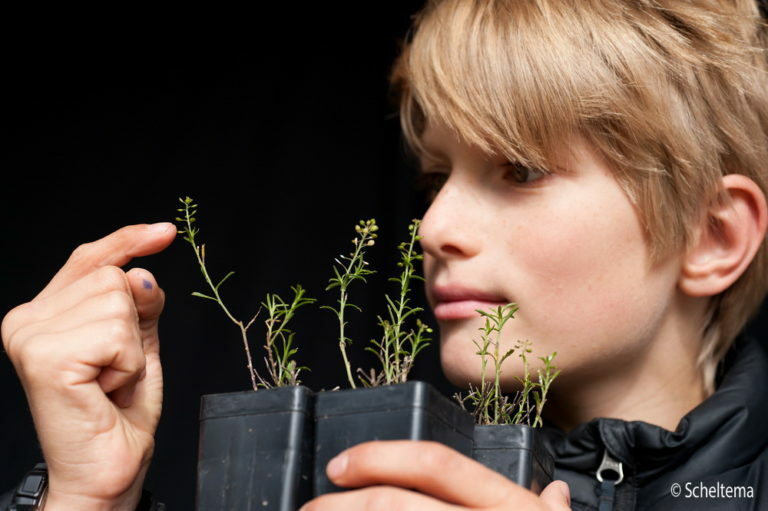 As a result of funding from the State Government, Newham and District Landcare group is propagating and planting the nationally endangered Basalt Peppercress and the Matted Flax Lily. The two species are just some of over 7000 plants that are being grown and planted by volunteers as part of the Cobaw Biolink project on 8 private properties as well as public land. Spotlight on Species is a joint project between UCLN and the Macedon Shire Council Environmental Officer to conduct Citizen Science surveys looking for three threatened species in the area and to enter resultant data into the Victorian Biodiversity Atlas.The two year project is finishing in June, so if you would like a chance to see a Greater Glider or Powerful Owl click on spotlight-on-species/ and scroll through the calender to pick a date that suits. 428 observations added to VBA from camera trapping surveys (total of 984 records added to VBA’s as result of SOS project to date). A component of the Spotlight on Species grant is teaching interested groups how to use the remote sensing cameras.They are fantastic for discovering what lives in your patch and can help motivate members to look after it.The UCLN has ten camera’s and interested groups can contact Brad Blake on 0421823998 or brad@proconpest.com for more details on how to become involved. 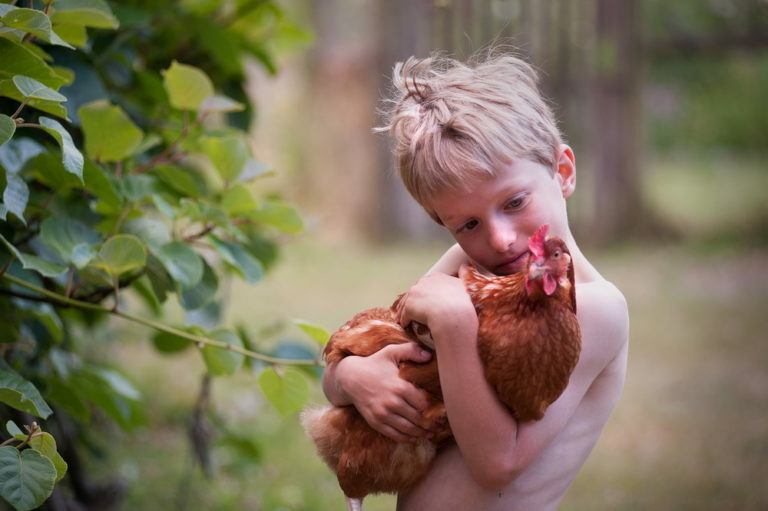 Learn all about how to care for chickens at this great Pipers Creek Landcare event. New UCLN Committee member Nat Cursio and son Coen. Nat is a member of Trentham and District Landcare and the Friends of Trentham Creeks and Reserves and is doing a Bachelor of Environmental and Conservation Science at Federation University in Mt. Helen. We also welcome new committee members from Glenlyon Upper Loddon Landcare group Joy Durston and Margret Lockwood, who bring with them a wealth of knowledge in working with community and Landcare. 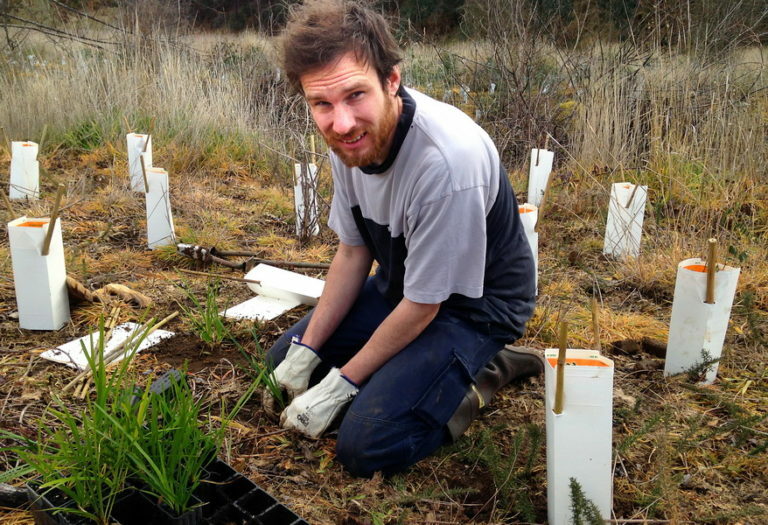 David is widely regarded as one of the most experienced and successful revegetation practitioners in Australia .He is now retired and is keen to pass his knowledge to community members who want to improve their outcomes from revegetation. The talk will cover :-The reasons (“Drivers”) for and development of large scale revegetation techniques. Site preparation for transplanted nursery grown seedlings and Direct Seeding. Species selection – what plant and why. Provenance, origin of term and what genetics are telling us. Seed treatments. 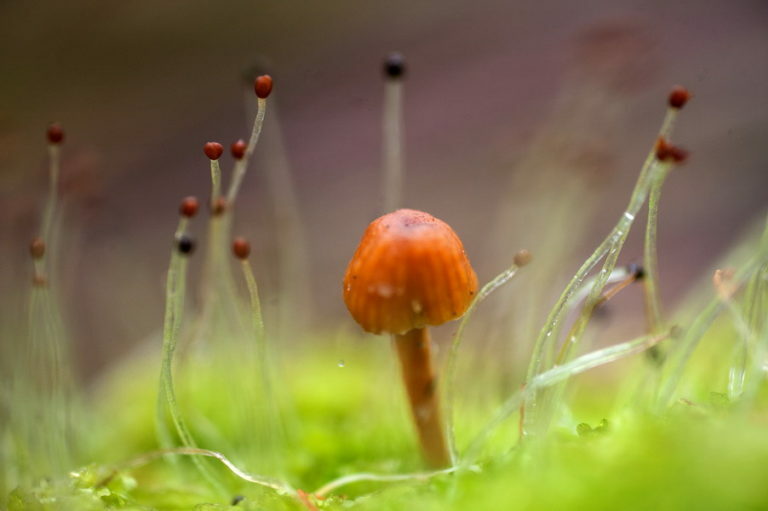 Overview of how to maximise germination. Use of smoke, heat, cold and other methods. Research, development and application of live bacteria inoculant for native legumes. 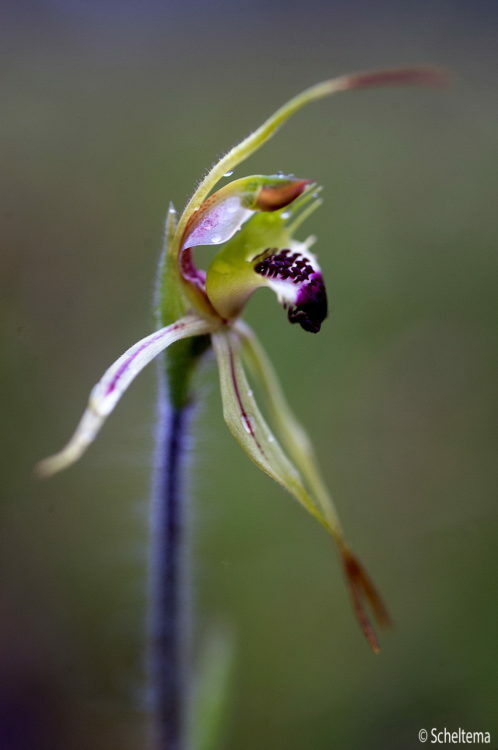 Newstead Landcare are delighted to present a talk by Emily Noble on ‘The remarkable world of wild orchids’ at 8.00pm on Thursday 21st March at Newstead Community Centre. Secretary of the Field Naturalists’ Club of Ballarat, Business Manager of the Ballarat Environment Network, Coordinator of the 540ha Clarkesdale Bird Sanctuary in Linton for Birdlife Australia, and proud owner of a bush block south-west of Ballarat that is home to at least fifty different wild orchids, Emily has ample opportunity to pursue her interest in orchids and their interactions with the co-habitants of their environment. 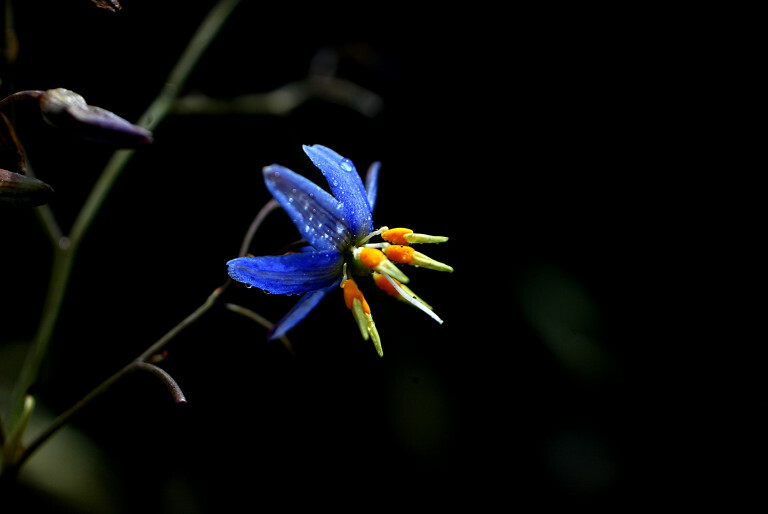 Come along to learn more about these remarkable plants and their fascinating relationships with their world. All are welcome to Emily’s presentation and supper afterwards. There will be no business meeting to sit through. Gold coin donation. What: This one-day Climate Change and Future Landscapes, conference aims to communicate new ecological research to natural resource managers, the research community and those with an interest in better environmental management. 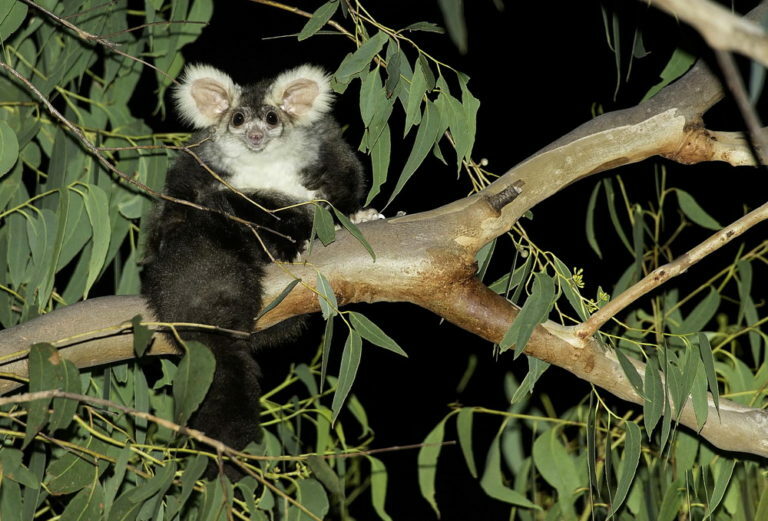 Like to see a greater glider and learn how to protect their habitat? Why not join in the next UCLN Spotlight? The next UCLN spotlighting event is on Saturday the 27th April at Kangaroo Creek,Spring Hill. Dont miss out! Book at link below. 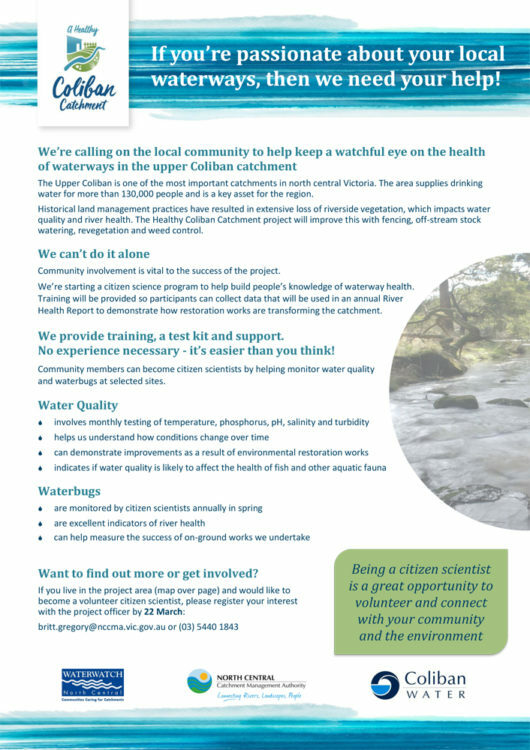 Do you live near the Coliban River?Would you like to be involved in a NCCMA Citizen Science project to help look after it?If so have a look at the attached flyer to find out how. This is a free interactive event that will explore ways to improve knowledge sharing and access to biodiversity data sets. 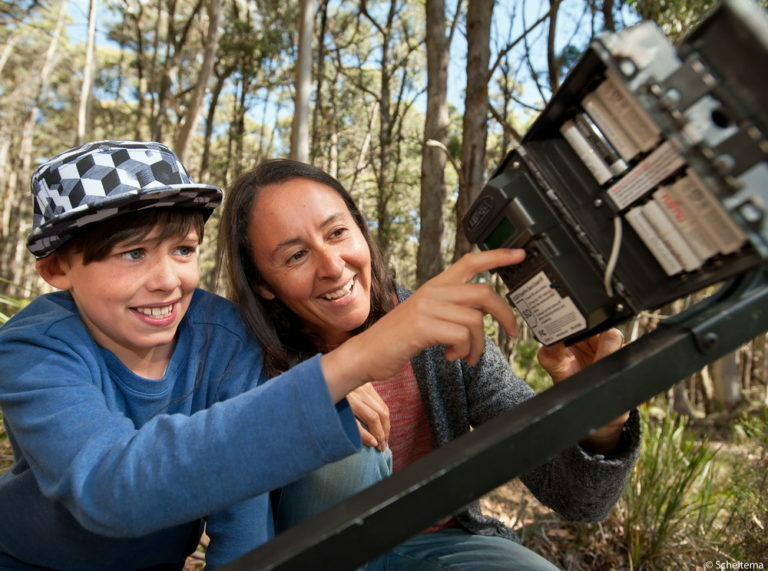 A training workshop to help get more young people involved in landscape management will be held on Monday 6 May (9am to 4.30pm) at the Melbourne Museum in Carlton, Victoria. The workshop is free and is hosted by Ag Vic (as part of the Weeds and Rabbits Project) to support youth participation in invasive species management. Members of Friends groups and others involved in natural resources management are welcome to attend. You can find more information on the workshop here and register your interest in attending here. If you’re unable to access the online form, or would prefer to submit via hard copy or email, please contact Lauren Hull at lauren.hull@ecodev.vic.gov.au. There is also a survey you can complete to help plan the workshop here. March 2019 edition of the North Central Chat featuring some great upcoming events and funding opportunities. 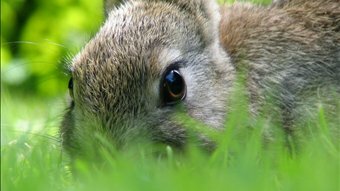 PestSmart – European rabbit: Technical and background information on rabbit control. Peri-urban rabbit control: Advice on integrated rabbit control methods for urban and semi-urban areas. 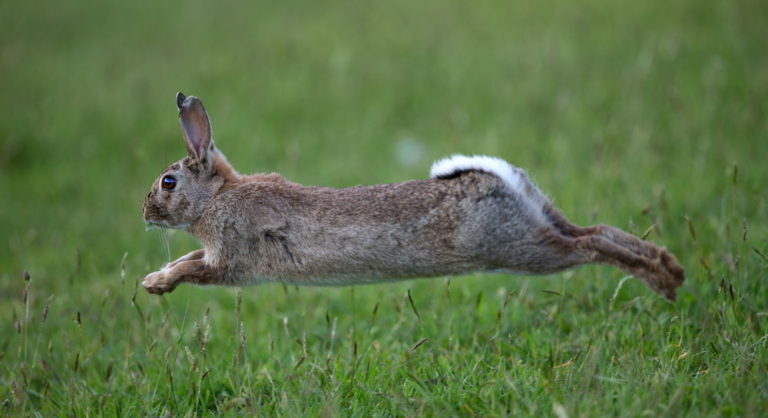 Rural rabbit control: Advice on integrated rabbit control methods for rural and natural landscapes. health. Stories are sought on all aspects of health including group health, physical health, mental health, and of course the heath of the environment we are working to protect, enhance and restore. the contribution deadline) to discuss your story ideas. An interesting read to inspire you to keep planting! Keep an eye out for orange hawkweed. This state-prohibited weed, which is notable for its bright orange flower, has been spotted in the Daylesford, Trentham and Blackwood regions. If you suspect orange hawkweed do not attempt to remove it. Agriculture Victoria will treat, remove and dispose of the weed at no cost to the landholder. Keep your eye out for grant opportunities. NEED HELP WITH A VICTORIAN LANDCARE GRANT APPLICATION? Tess Grieves from NCCMA can help your groups with workshops to support grant applications in May . Welcome to the Winter issue of our ENews. At the UCLN General meeting last week, it was fantastic to see so many groups present and hear about the wonderful work they are doing to protect the natural environment in their area. 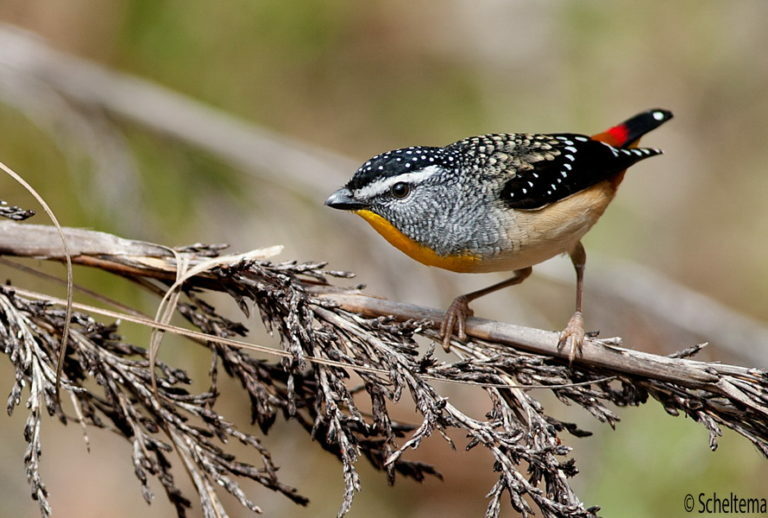 I hope you enjoy reading about our Citizen Science project to look for threatened species, and the inspiring work some of our member groups are doing. 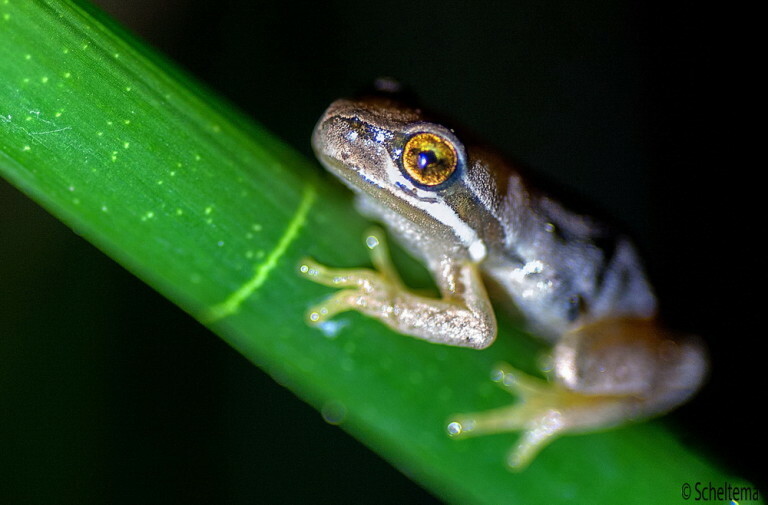 The UCLN Spotlight on Species Project is now six months underway and is getting great results. As a result of the remote camera trapping and evening spotlights we have now recorded 24 Phascogales, four Powerful Owls and thirteen Greater Gliders. This valuable data has been entered into the Victorian Biodiversity Atlas and will help protect the habitat of these precious species. 37 cameras have been deployed at 17 properties over 777 camera trap days with 33 species recorded. 25 – 1 km transects have been surveyed (based on existing VBA records) with 33 Spotlighting events conducted along them resulting in 25 species recorded in the VBA. 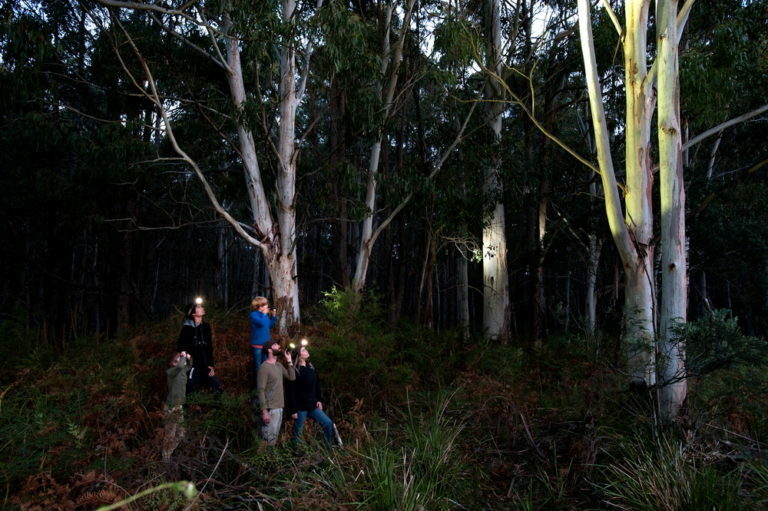 Many people have attended the spotlights and got great joy out of seeing the iconic greater gliders for the first time. 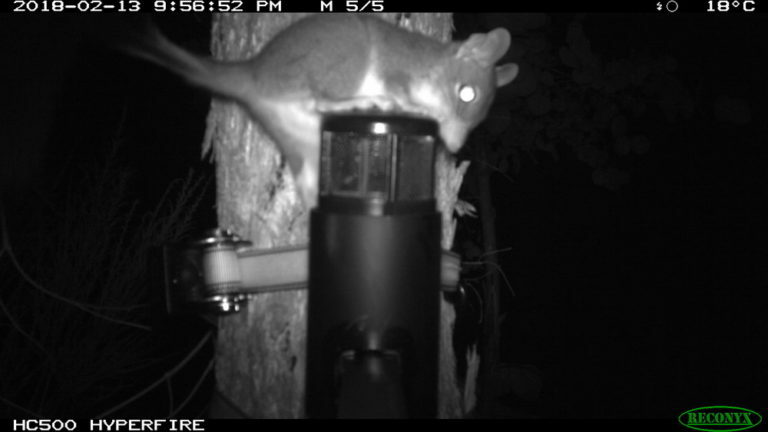 If your Landcare group or members would like the UCLN Threatened Species Officer Brad Blake to install remote cameras to look for species such as phascogales please contact him on 0421823998 or brad@proconpest.com. You can see the dates of upcoming Spotlighting Events by clicking on Spotlight on Species and scrolling down to the monthly calender’s. 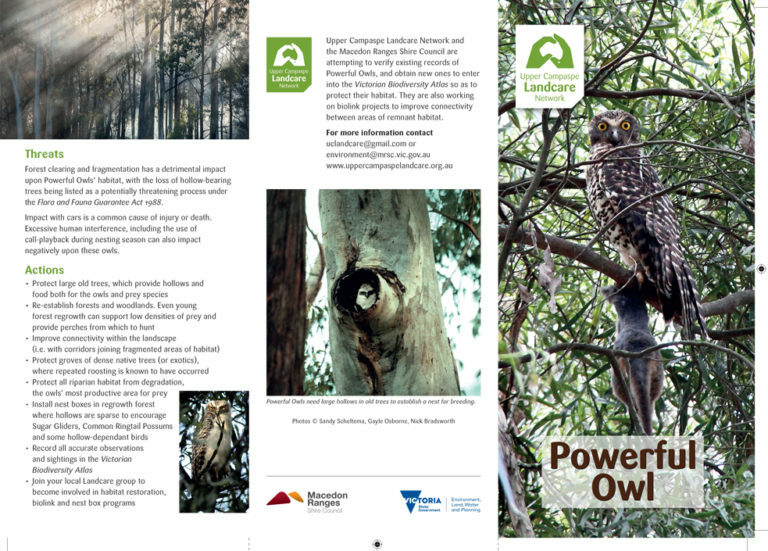 If you would like to learn more about this project click here to read an article in the latest Victorian Landcare Magazine. 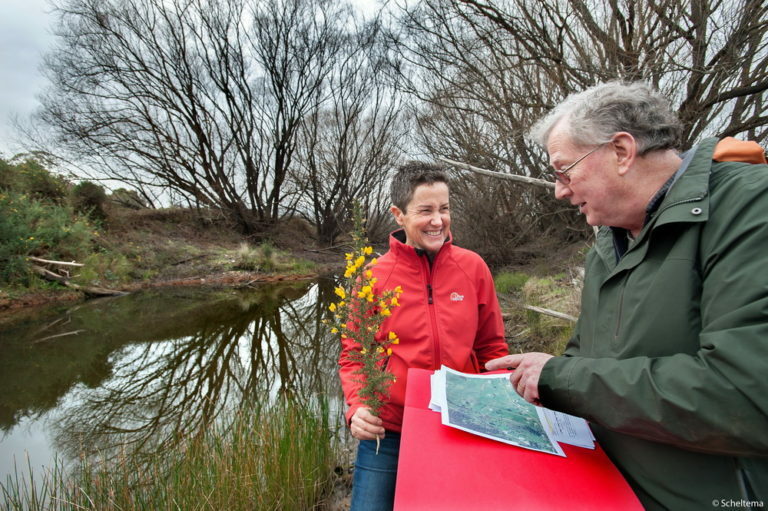 Malmsbury and District Landcare group is continuing its tenacious War on Gorse.The Coliban River flats at Lauriston are badly overgrown by gorse, blackberry and willow which is negatively impacting upon the stream banks and water quality. 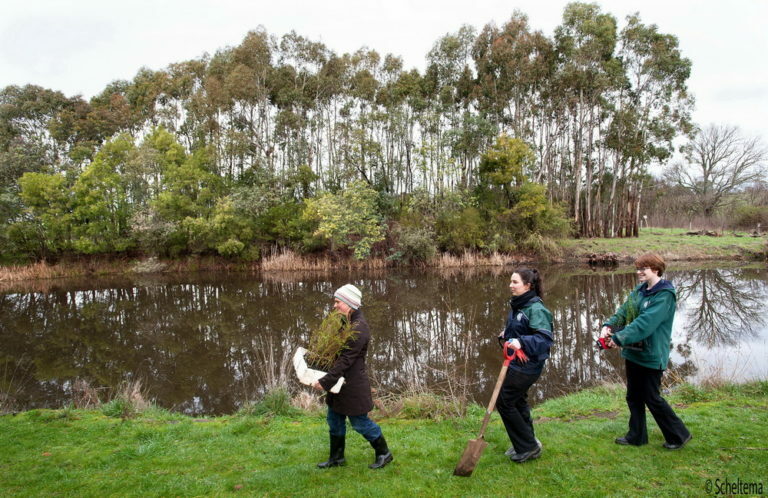 The Malmsbury group’s project RIVER RECOVERY – LINKING LAURISTON TO THE RESERVOIR aims to address the problem by removing the weeds -“for the benefit of all residents, whether human or wildlife.It is viewed by Malmsbury Landcare as a long term project” said President John Walters. 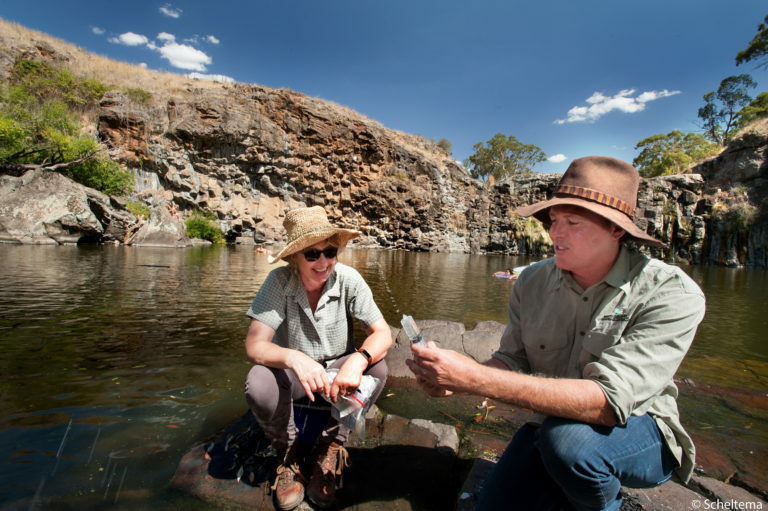 The group received a Upper Coliban Landcare support grant of $30,000 from the NCCMA – designed to support the UCLN Coliban Connections Biolink Project- to undertake the important work. Tylden Landcare and the Friends Of Trentham Creeks and Reserves also received funds as part of this project to continue improving river health on the Coliban River and it’s tributaries. 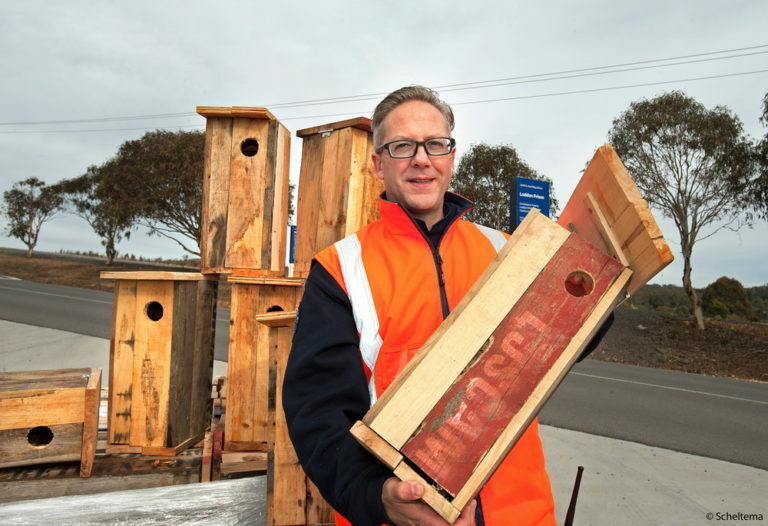 Phascogales in the Barfold area will soon be getting new homes thanks to inmates at Middleton Prison, Castlemaine. The inmates have been hard at work constructing 20 nest boxes for the Campaspe Valley Landcare group suitable for the phascogales, a threatened species found in Central Victoria. The distinctive small creatures, known as ‘Duan’ by the Dja Dja Wurrung people tap their feet when alarmed, and wag their tails when excited. They were found recently near Barfold as a result of the UCLN Spotlight on Species Project. A recent genetic analysis of 435 phascogale tissue samples, four from the Kyneton area, concludes that fragmentation of populations is probably causing limited gene flow.This illustrates the need for better connections in the landscape which is why biolink projects such as those undertaken by the UCLN and its member groups are so important. 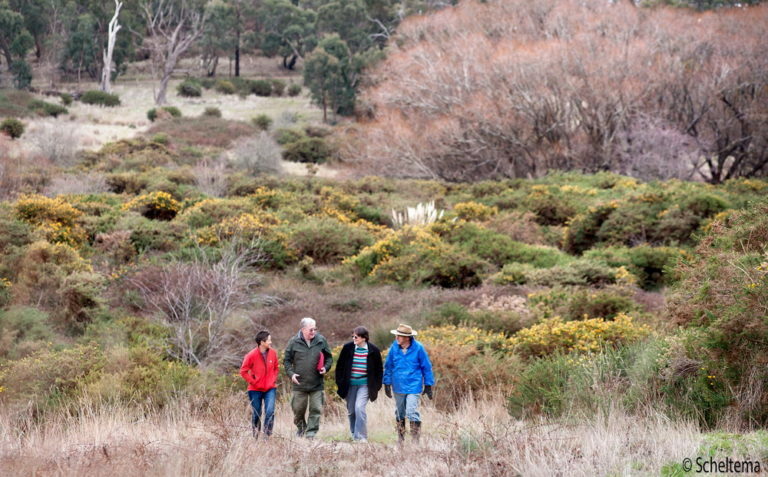 We are very pleased to welcome Taradale Landcare as the latest group to join the Upper Campaspe Landcare Network. 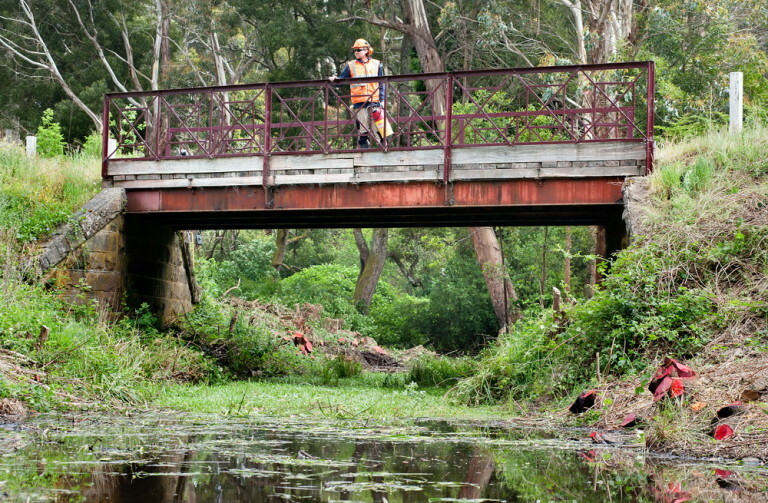 The group is hoping that by clearing and removing willows and other weeds the creek should flow again, and once again be a place for swimming and platypus as it was previously. 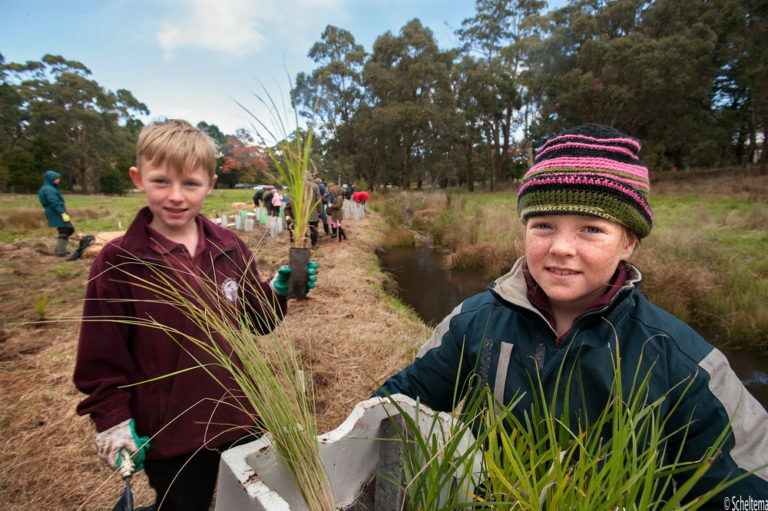 Taradale Primary School is also regularly involved in planting days and uses the creek as an open classroom. In addition the group is working on roadside weed removal with funds provided by Mt Alexander Shire Council. 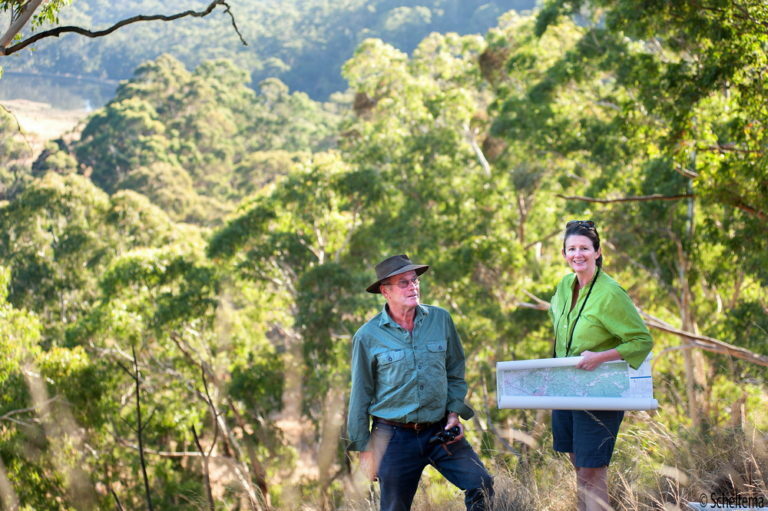 This work is being undertaken at three sites of high biodiversity values that are leading into the forest along the edges of Fryers Ridge Conservation Reserve. 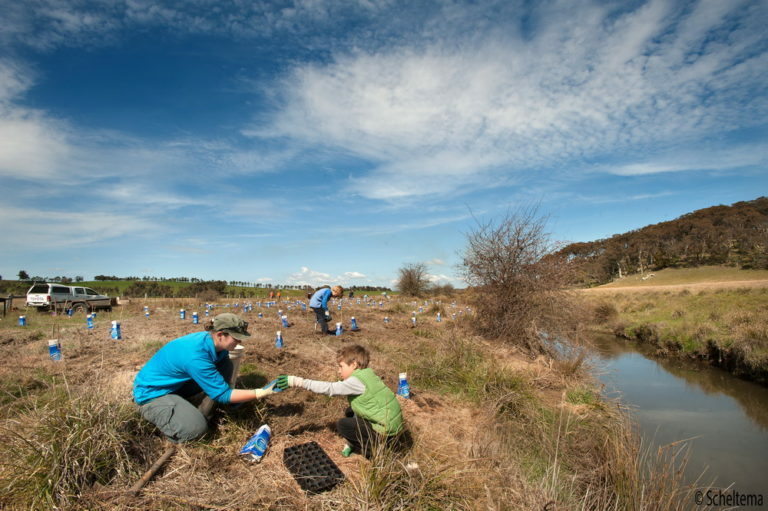 Why not join in with the CRLM group along the Campaspe River in Kyneton on National Tree Day Sunday 29th July to help revegetate the river? 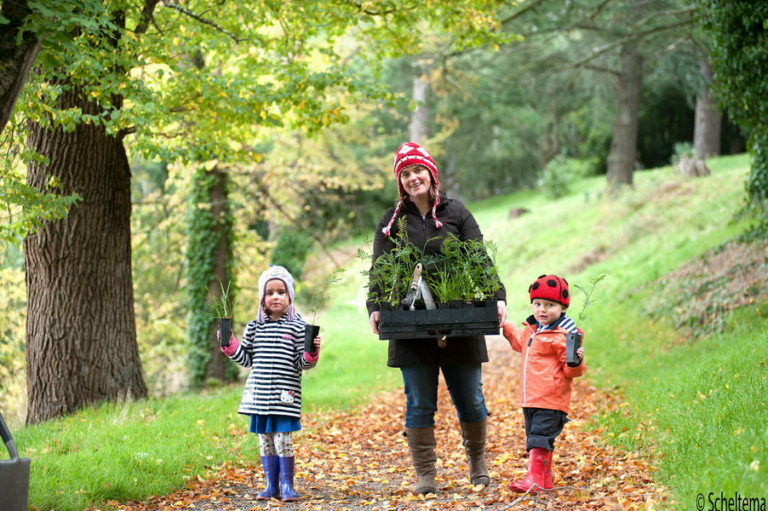 Like to be involved in National Tree Day Sunday 29th July? Why not help CRLM group plant trees and shrubs such as the River Bottle Brush. National Tree Day is Australia’s largest tree planting day. It started in 1996 and since then more than four million people have planted over 24 million trees and plants with the aim of caring for our land. WHY: To help the CRLM group plant out trees and shrubs such as the River Bottle Brush. Morning tea is provided.Wear gumboots, gloves and warm clothes. Tools and a delicious morning tea provided. 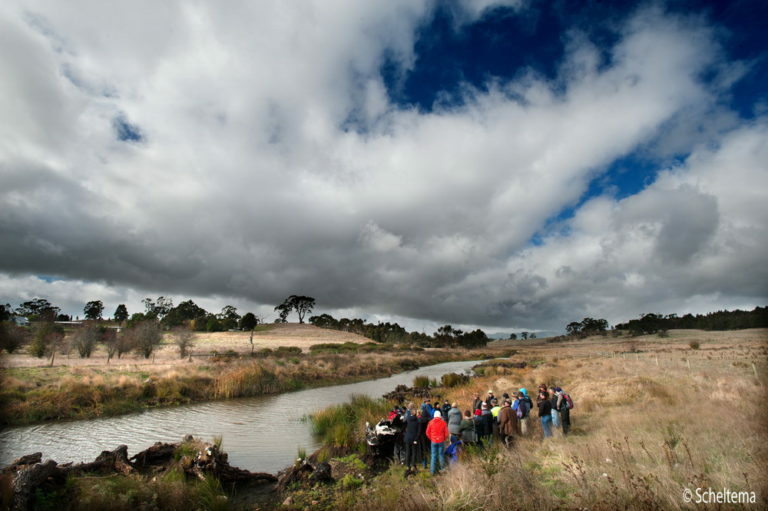 Wild and windy weather didn’t deter prospective River Guardians from walking along the Campaspe River at Carlsruhe at a UCLN River Restoration Field Day in May. 32 people braved the elements to learn from 6 experts in the field how to restore river health. They were inspired by award winning river ecologists such as Damien Cook to protect the rivers and wetlands in their area and learnt some of the skills that would help them do so. Apply before 20 July to ensure your school or group is in the running to secure a $5,000 grant! The early bird catches the worm. The 2018 National Landcare Conference and Awards is your opportunity to contribute to, engage with, and learn from your community and peers. Over three days, you will have the opportunity to be inspired by keynote speakers and informative presentations, take part in fun social events, and experience educational field trips. Issue 72 of the Victorian Landcare and Catchment Management magazine, which is a feature on Landcare and research is now available online. 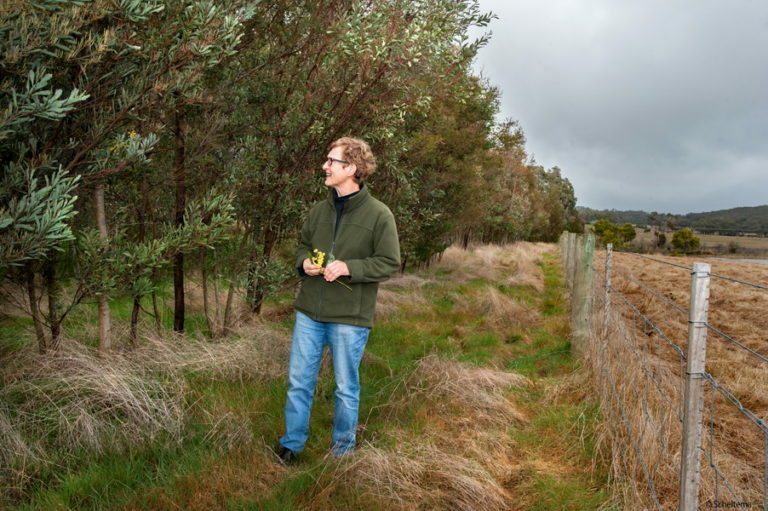 Among the stories in issue 72 are stories on: vegetation quality assessment by smart phone, citizen science, the social return on investment in Landcare projects, alternative fertiliser trials, and gorse and cactus bio control. 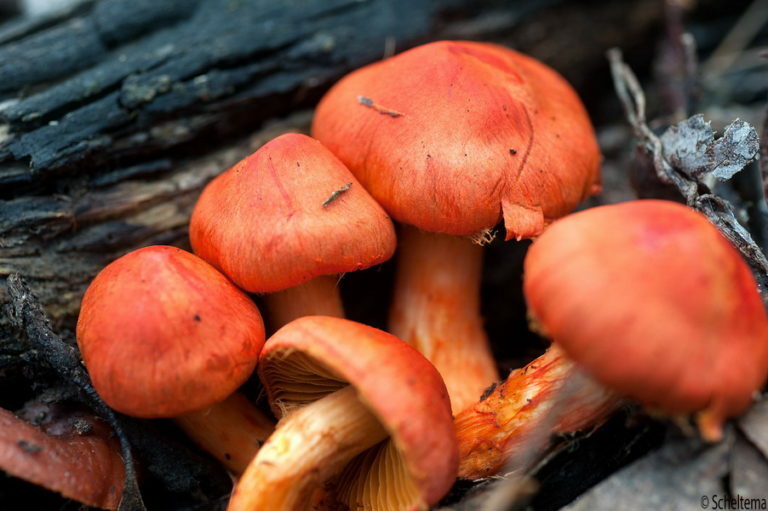 If you are interested in fungi you must read the latest beautiful newsletter from Wombat Forest Care. 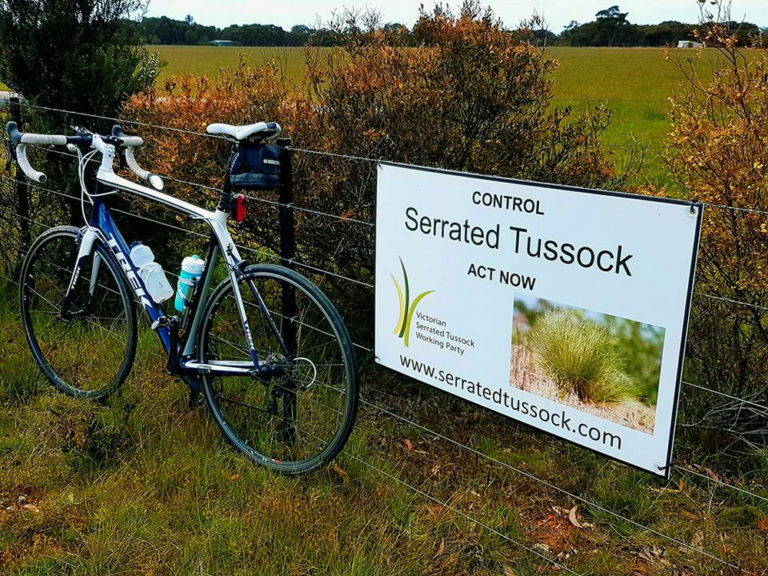 The VSTWP have a number of Serrated Tussock Landowner Signs available for ‘Community Champions’ of Serrated Tussock management in Victoria. The signs are designed to be attached to landowner fences that face a roadside, and help the community deliver key messages on controlling this noxious weed. AUSTRALIAN TAXATION OFFICE HELP SHEET ON SHELTER BELTS. A Forum in Newham in March, attended by over 100 people, launched the UCLN Spotlight on Species Project. Three expert speakers, Dr Todd Soderquist, Dr Ross Goldingay and Jess Lawton shared their wealth of knowledge about the three iconic species we are looking for -powerful owls, greater gliders and phascogales. 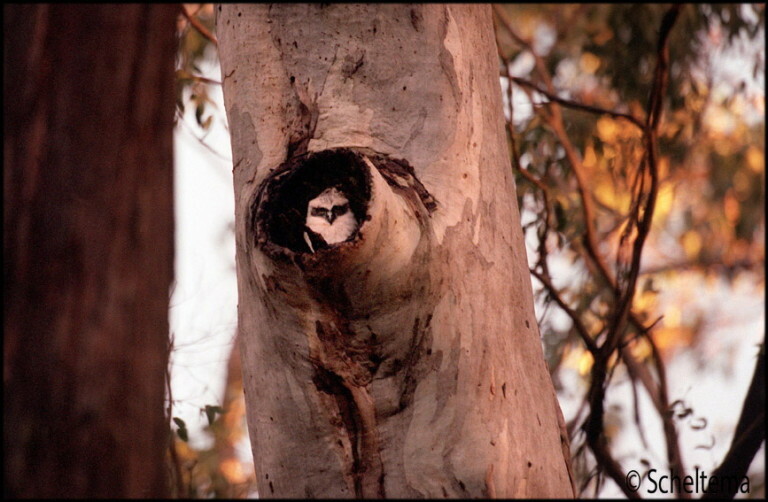 “The distant call of an owl is often faint, and so as you stand in the darkness reaching out to hear it the world falls away in an almost Zen-like moment.” said Dr Soderquist at the Forum, who has over twenty years experience working with phascogales and Powerful Owls. 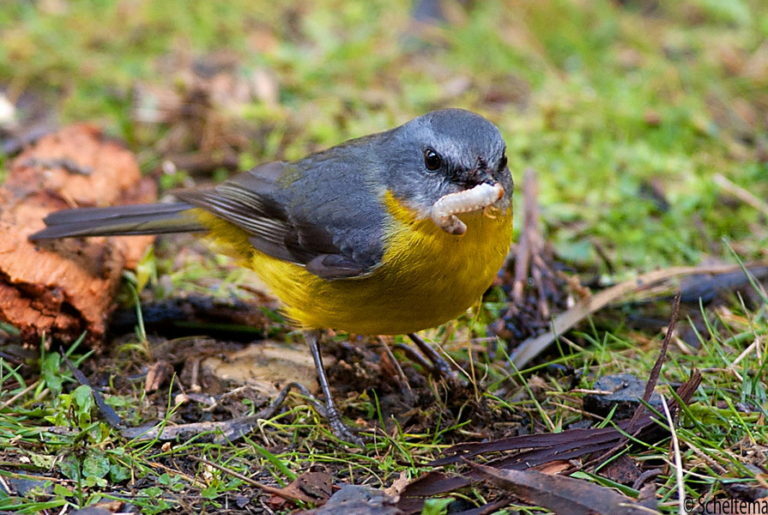 UCLN is working with the Macedon Ranges Shire Council and more than 15 community groups and schools to conduct the surveys looking for the three species and is entering the resultant data into the Victorian Biodiversity Atlas. UCLN Threatened Species officer Brad Blake has been leading the spotlighting events and installing remote sensing cameras on public and private land. 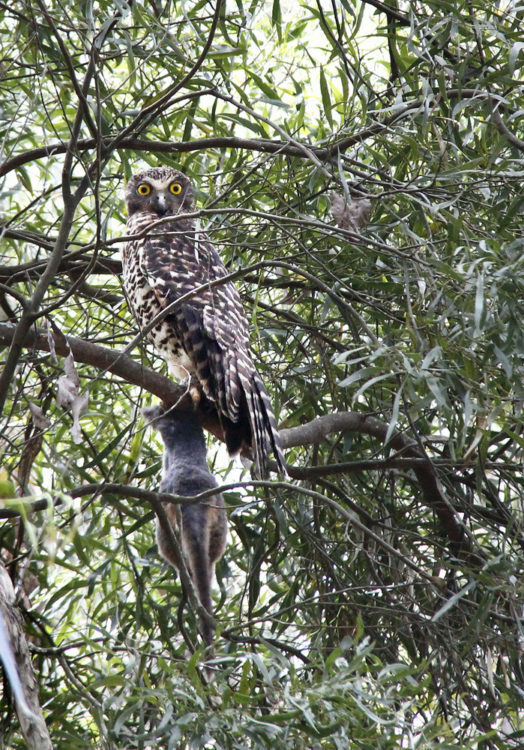 In the last two months 12 phascogales, 2 powerful owls and 5 greater gliders have been recorded. We hope that at the end of this two year project our community will have the capacity to find and identify these species and enter this important data into the scientific record.Knowing the species and feeling connected to them is the first step to protecting the habitat that will ensure their survival. A phascogale attempting to get at the delicious peanut butter bait is photographed by one of the the remote sensing cameras purchased recently by UCLN as part of their Spotlight on Species project. If you would like to join in a Spotlighting survey please go to our website at /about-us/spotlight-on-species/ where you can see the dates and register to attend. We have also produced DL brochures on the three species, so if your group doesn’t have these yet and would like some for their members please contact me. 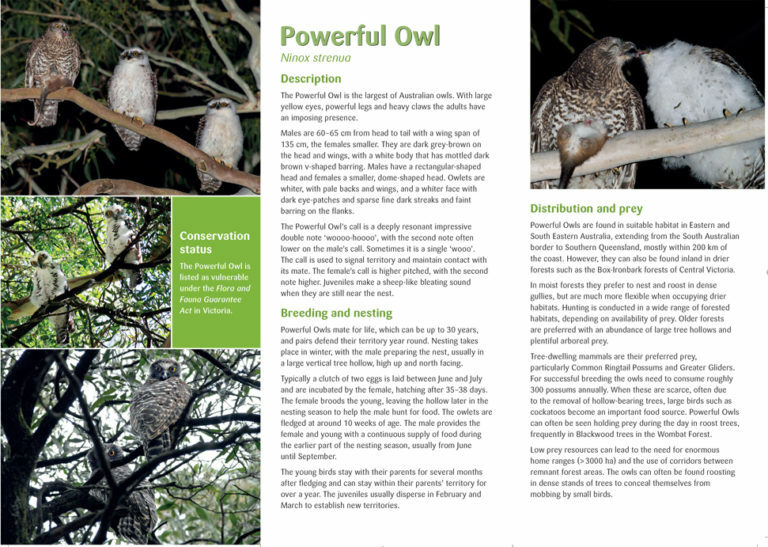 See Powerful Owl brochure below. 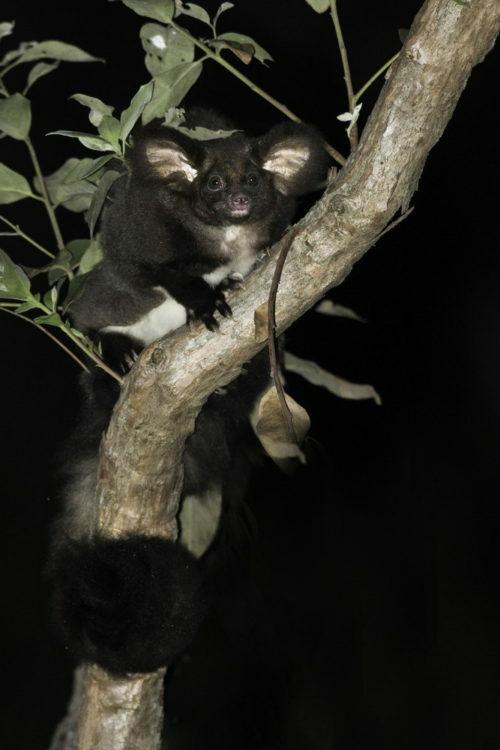 If your group would like to get involved in the remote camera project and discover what critters are around at night, please contact UCLN Threatened Species Officer Brad Blake on brad@proconpest.com or 0421823998 to have cameras installed. 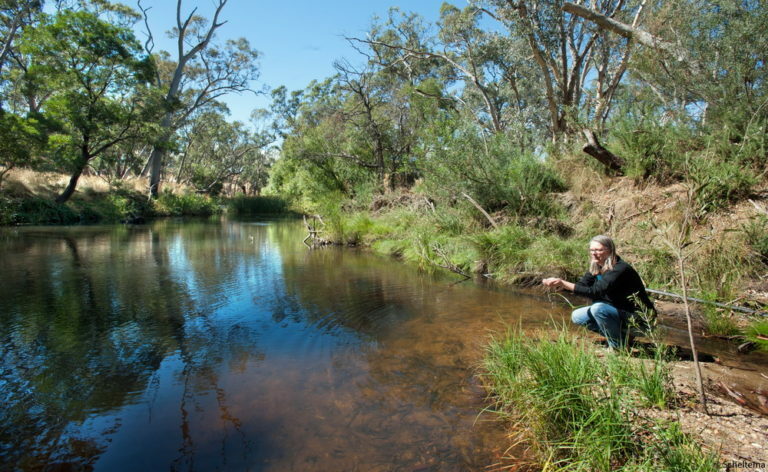 I am delighted to welcome a new group to our Landcare Network – the Glenlyon Upper Loddon Landcare Group.This hard working group has the Loddon River running through their boundaries and shares many of the UCLN goals. In November the group will have an artist in residence running workshops on weaving and sculpture from found materials from the biolink.They have just finished a successful series of “Whats in Our Backyard” workshops, looking at issues such as flora and fauna, water quality, raptors and invertebrates. 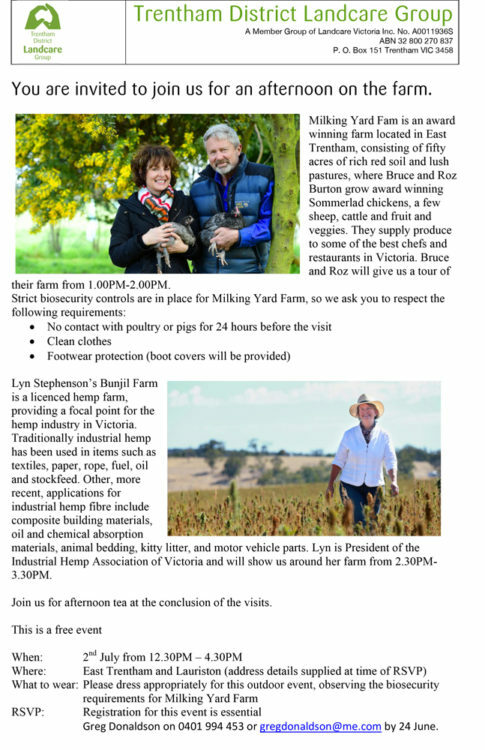 Why not come along to the Kyneton Botanic Gardens on the 13th May, enjoy the beautiful autumn colours and plant a tree for your mum. 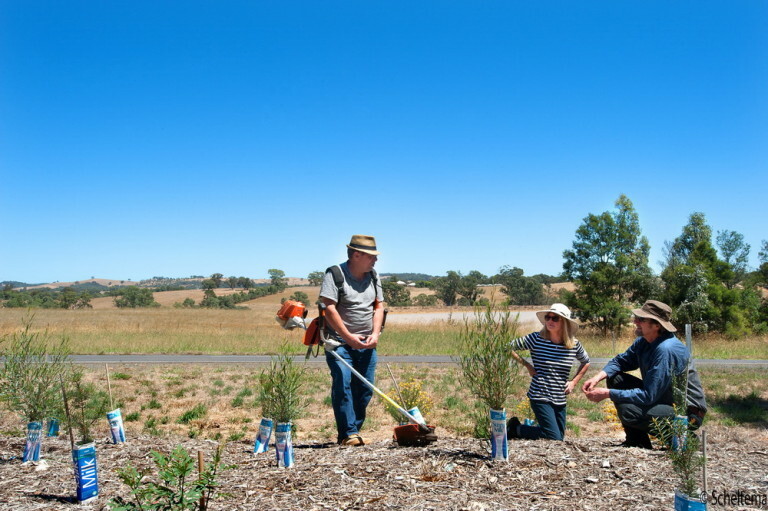 Campaspe River and Land Management Group will be providing River Bottle Brushes for planting along the Campaspe River . 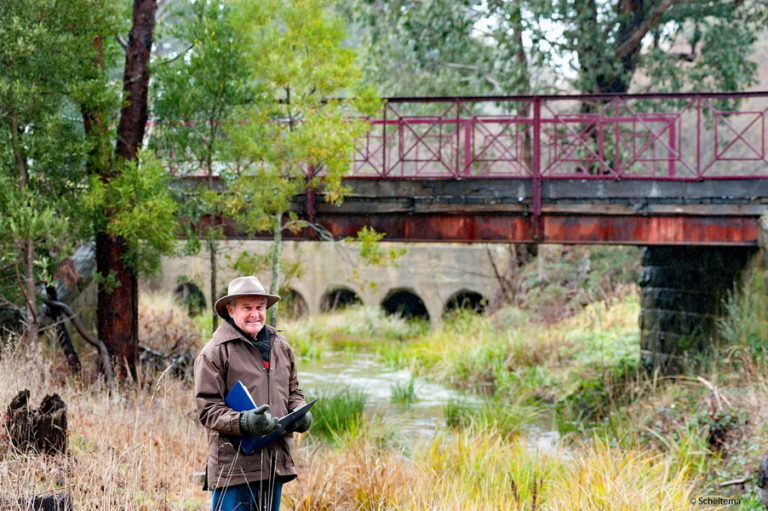 “Why not pay tribute to your Mum and help in our regeneration of the Campaspe River. 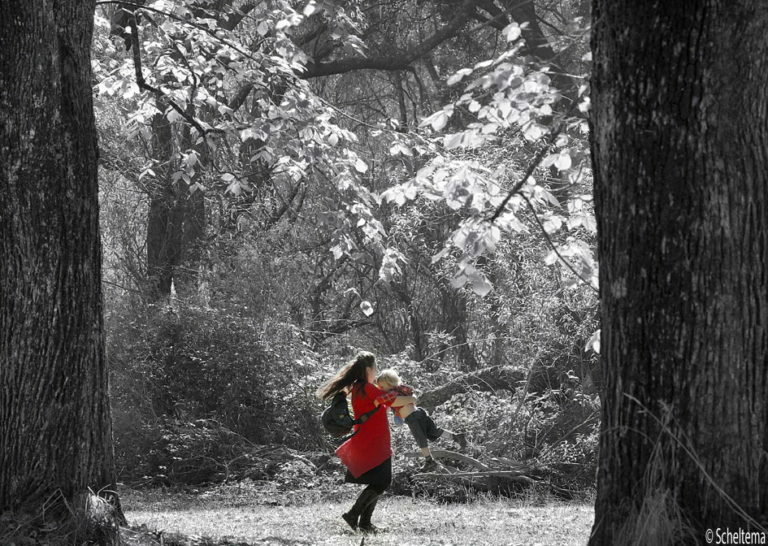 Trees For Mums is a National Celebration of all Mothers. Its a beautiful gesture and a great experience to share with family and friends. 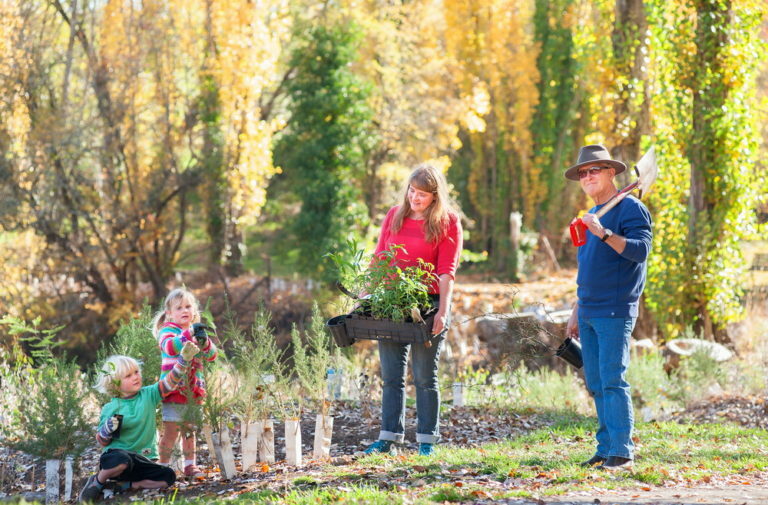 Bring along gardening gloves, a trowel and sturdy shoes and enjoy the autumn colours of our beautiful Botanic Gardens and Campaspe River environment and create a living legacy for your mum. 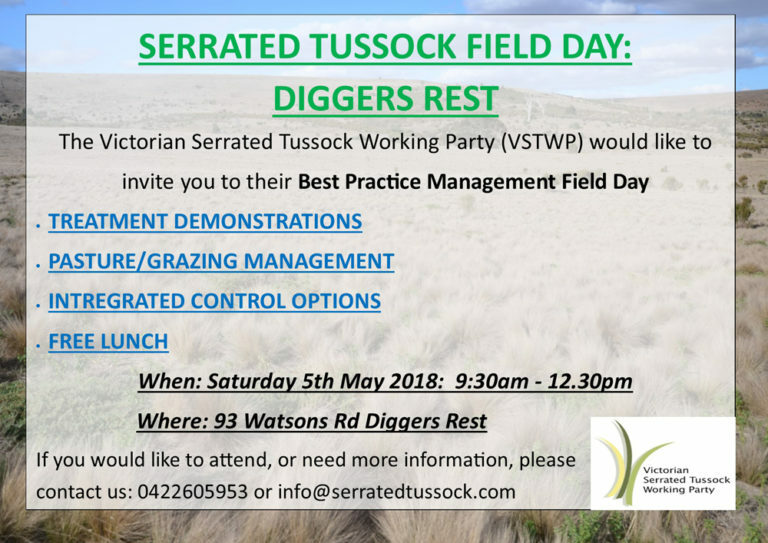 Morning tea will be provided.” said Peter Harding, President of the Campaspe Valley Land Management Group. Trees For Mum first started in Sydney in 2002 by friends and colleagues, Deena Raphael and Lauren Adlam, as a way of paying tribute to their Mums, who they had both lost to cancer. It has grown since then to become a National Event with over 30, 000 sons and daughters planting trees for their Mothers. Students at Tylden Primary School have been hard at work “pricking out” small plants from seedling trays for further growing and hardening off before planting along the Little Coliban River later this year. 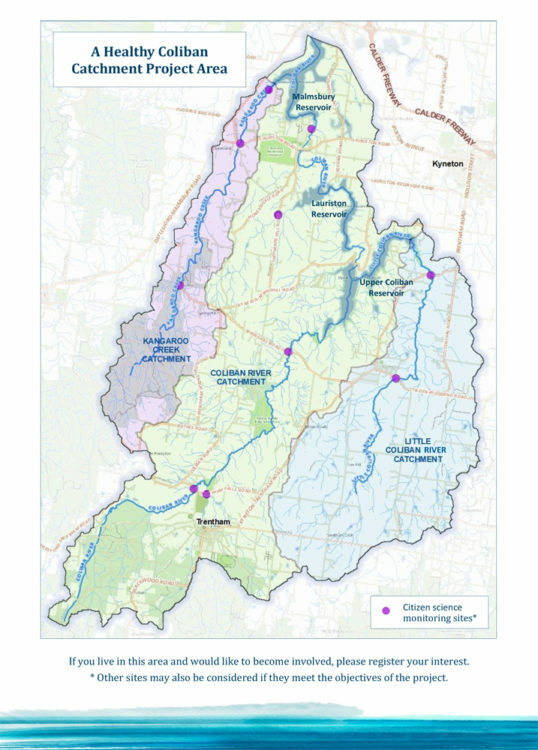 Tylden Landcare is working with landholders along the Little Coliban River and the North Central CMA to protect and rehabilitate the Little Coliban to ensure a healthy water supply for farms and all users of the Coliban water storage system. If you use Facebook and want to be kept informed of UCLN events and activities we now have a Facebook Page. Click here to see more. –UCLN Facebook. The UCLN River Restoration Field Day in March was cancelled due to high fire danger and very high winds and is now rescheduled for 12th May.Please contact me on uclandcare@gmail.com soon if you would like to attend.Only a few places left! Worried you might have serrated tussock on your property and dont know how to manage it? Come along to this workshop to have all your questions answered. 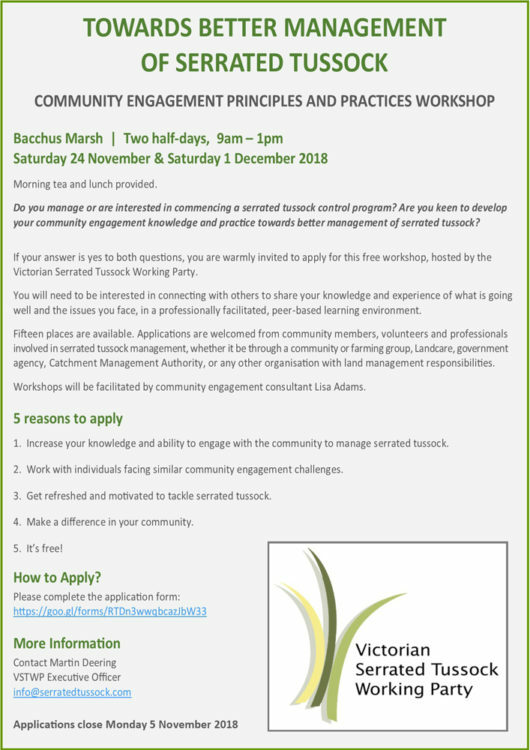 Like to learn from fellow Landcarers in the Corangamite area? 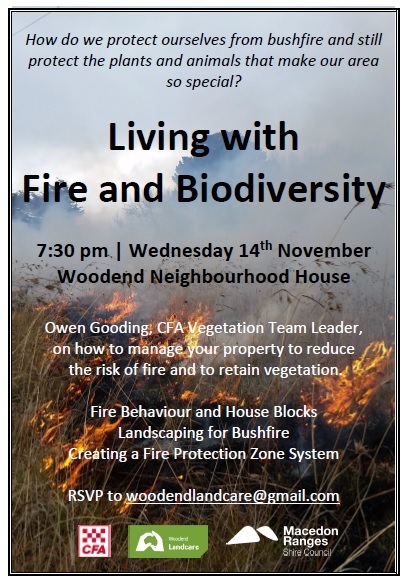 Why not attend the next Landcare Victoria Forum at Queenscliffe. Register at https://www.surveymonkey.com/r/VKYRZ2W and the promotional flier and the draft programme are available here. 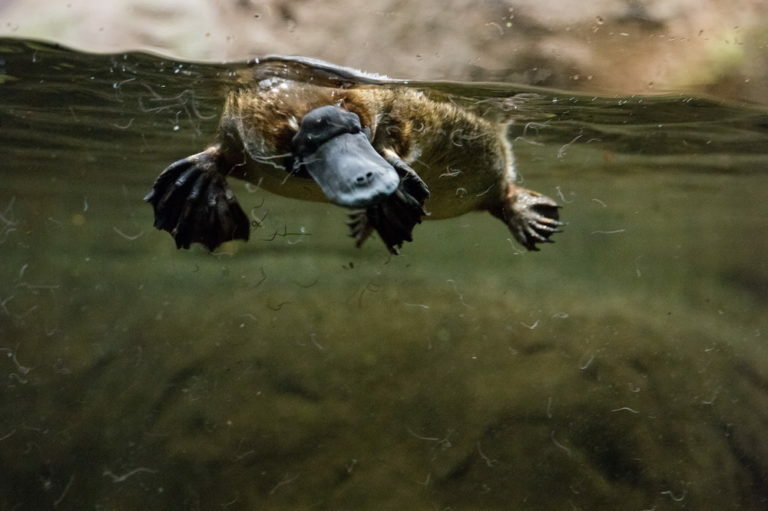 A great resource for any schools involved with your Landcare group – a virtual session on platypus being hosted on World Environment Day. Expressions of Interest are now open to join the Young Farmers Advisory Council from young farmers and those involved in the food and fibre supply chain. Council membership: the Council consists of eight members with a balance of representation by gender, industry and region. Collectively, Council members will have a broad range of skills and experience, including farm management, agribusiness, finance, education, international markets and regional development. Council’s role: council members provide advice to the Victorian Government about practical actions and opportunities to attract and retain young people in agriculture. The council also assists government to better understand the needs of young people in agriculture and helps to develop solutions and shape support for young people on the land. In 2018, the Council will focus on implementation of its Recommendations Report. Council members also act as young ambassadors to attract new entrants to the state’s agriculture sector and help to shape future support for young people on the land. EOIs close: Expressions of Interest to join the Council close on 11 May 2018. Young farmers in Victoria can access scholarships of up to $10,000 to help boost skills and implement new on-farm initiatives.Up to $10,000 is available for farmers and farm workers aged 35 years or under to help them with professional development and career progression. This includes $5,000 for study, backed by a further $5,000 to invest on-farm or in professional development activities to help put new skills into practice. in agriculture. The Program recognises that in the future, young farmers will need a broad range of skills so they can embrace new technologies, respond to a range of challenges and capitalise on emerging opportunities. Entries in the 2018 Victorian Premier’s Sustainability Awards – which recognise individuals, communities, organisations and businesses that are leading the way to a sustainable future – have been officially opened. Application Process Diagram – these are the questions that will appear in the on-line application. Can you Apply page – more details on eligibility. Please don’t waste your time filling in the EOI – see if you are eligible first. Frequently Asked Questions – your question might get answered here. Dates for applying – we have four rounds every year. Apply here – here is the online application form, which only appears live when a grant round is open. 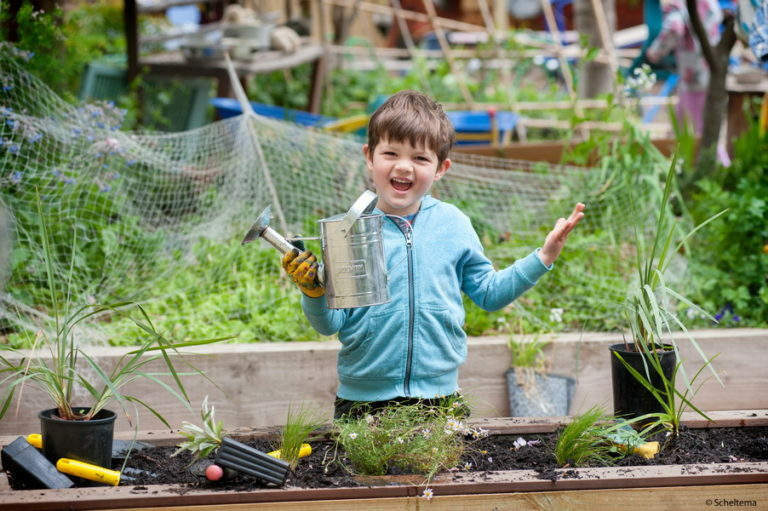 Pick My Project is a new community grants initiative, with $30M available to fund local projects. Come up with an idea, vote for your favorites and make your community an even better place to live. Project ideas: Victorian residents are encouraged to submit ideas for projects that could benefit their community. Ideas could include sporting/recreation infrastructure/activities, community arts or culture projects, improvements to community facilities, and improvements to the local environment etc etc. Choosing projects: eligible ideas will be put forward for community voting. During voting, applicants will work with their networks and encourage their community to vote for their project. Local projects will be chosen by local residents. Communities will get to vote for the projects they think are most important. Sponsor organisation: as part of the application process, Victorians will need to identify an eligible organisation to sponsor, or support, their idea and to administer funds through a registered ABN. Eligible organisations could include a local community organisation or school, local council, or other eligible group. More information on eligible organisations will be made available in May 2018. able to help deliver the project. Guidelines: there will be no restrictive guidelines – meaning many local priorities that fall-between the cracks of other grant programs will be eligible for funding. 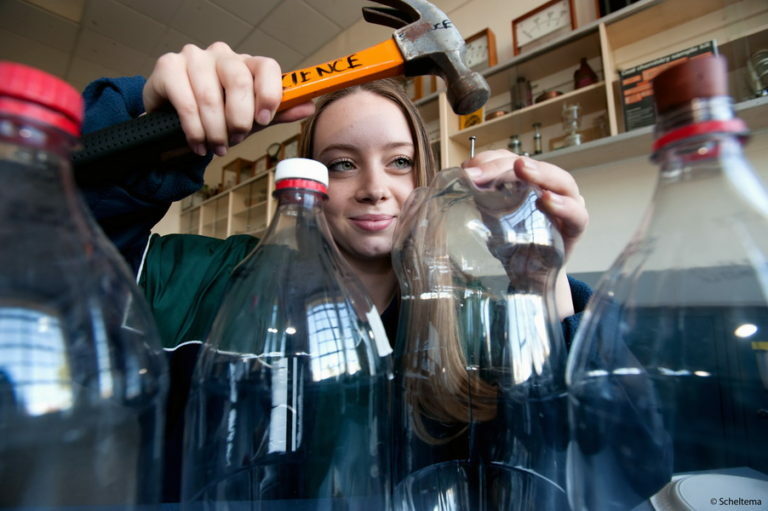 Who can be involved: all Victorian residents aged 16 and over will be able to submit their idea for consideration under the program. For participants under 18, parent or guardian approval will be required. Funding for projects: projects can cost $20,000 and $200,000. Funding will be spread across the state, giving every community the chance to benefit. When: the initiative will start in May. Winning projects will be announced in September 2018. Welcome to the summer edition of the UCLN ENews. Scroll down to the Events and Resources section and you will find a wealth of interesting events on offer – from Social Media training, a Sustainable Soils conference, a Forum to launch our Citizen Science project and much more. I would like to welcome Brad Blake to the UCLN. 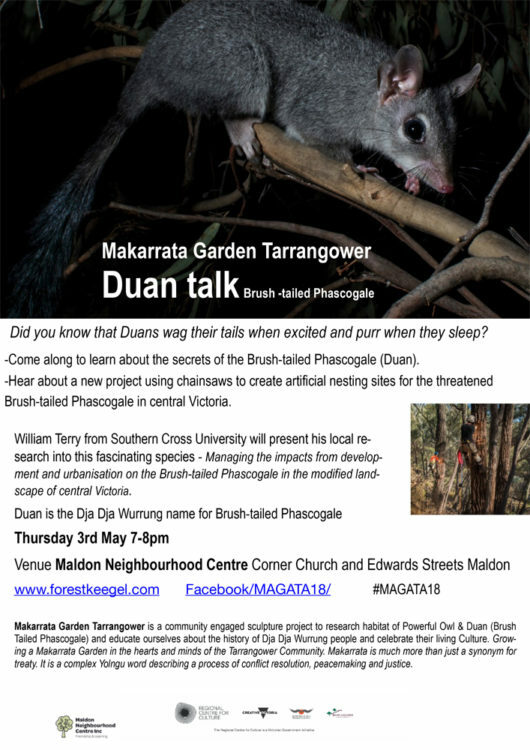 He will be leading surveys for three threatened species – the Powerful Owl, Phascogale and Greater glider – in our area in conjunction with our Landcare community. 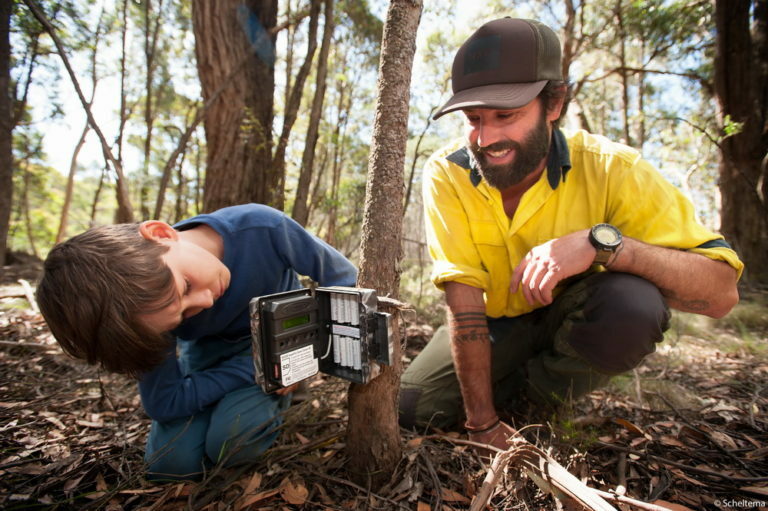 Brad brings with him a wealth of experience in threatened species monitoring. 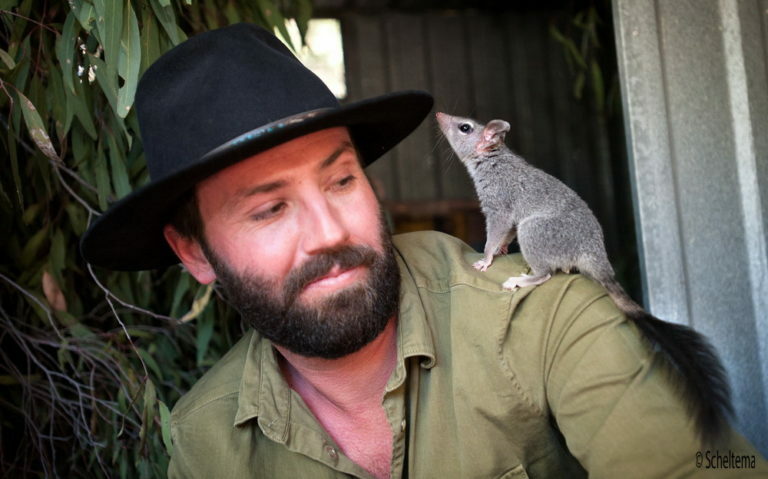 He has worked across Australia in various roles protecting native species and engaging communities in order to raise awareness of Australia’s declining biodiversity. 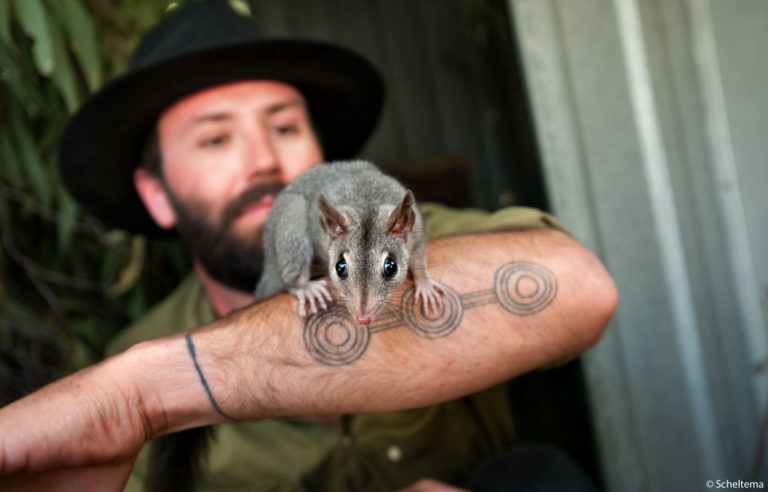 Over the past 2 years Brad has surveyed forests for threatened species across Victoria, in particular Greater glider, Powerful owl, Barking owl and Spotted-tailed quoll. 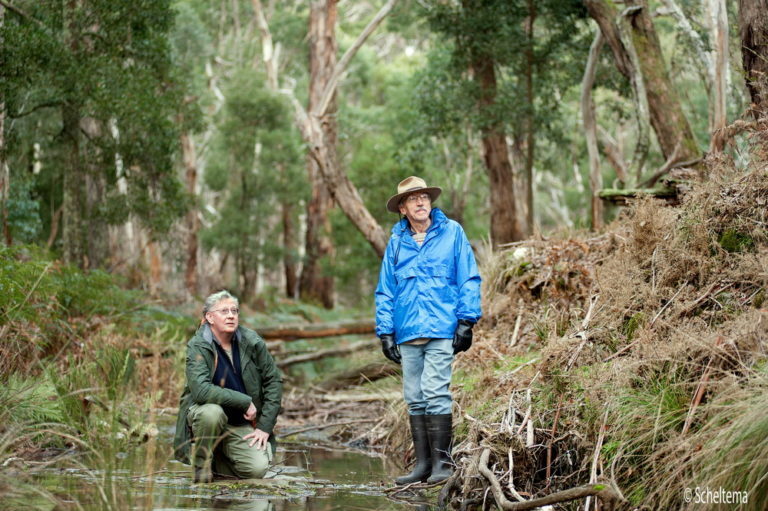 He has recently uncovered new populations of Greater glider and Long nosed bandicoot in West Gippsland and has confirmed several old records of Greater glider in the Wombat State Forest. 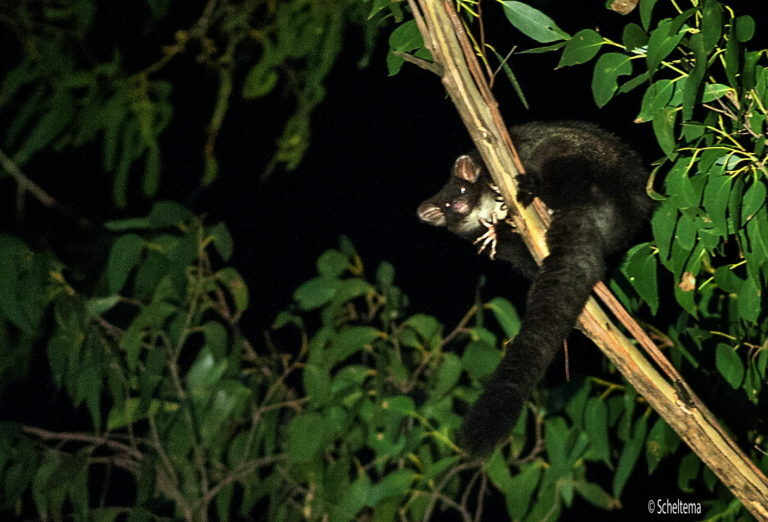 Greater Glider, one of the species the UCLN will be surveying as part of our Citizen Science Project. Pic Matt Wright. 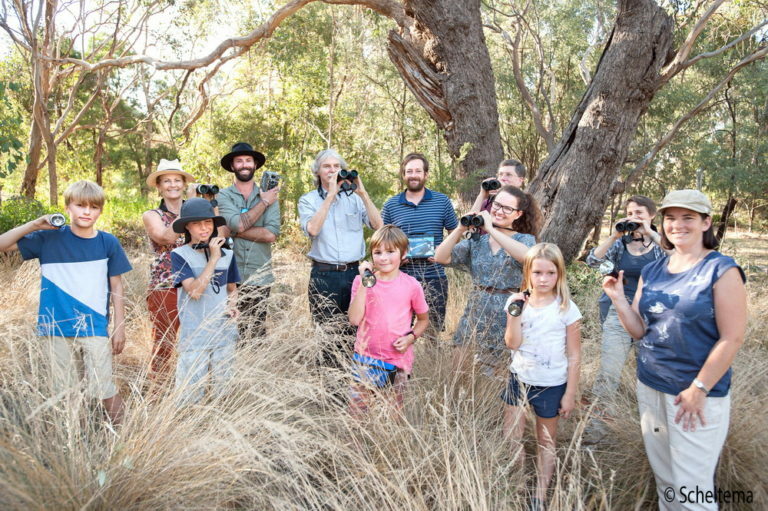 “I’m looking forward to engaging the community and helping them learn the techniques required to survey their local area for these iconic threatened species.” said Brad. As part of the funding from the Biodiversity on-ground Action Grants the UCLN has purchased five remote sensing cameras to help us photograph and record threatened species.Our Threatened Species Community Project Officer Brad Blake has already begun installing cameras on some sites. If you think you may have phascogales in your area, or have seen them dead or alive please contact Brad at brad@proconpest.com or 0421823998. Also if you have been hearing the distinctive Woooo-wooo of the Powerful Owl, or have seen their pellets (which are regurgitated possums or birds bones and fur or feathers) please contact myself or Brad. Another clue that you may have them in your area is finding possums tails which the owls often pull off and discard when feeding. 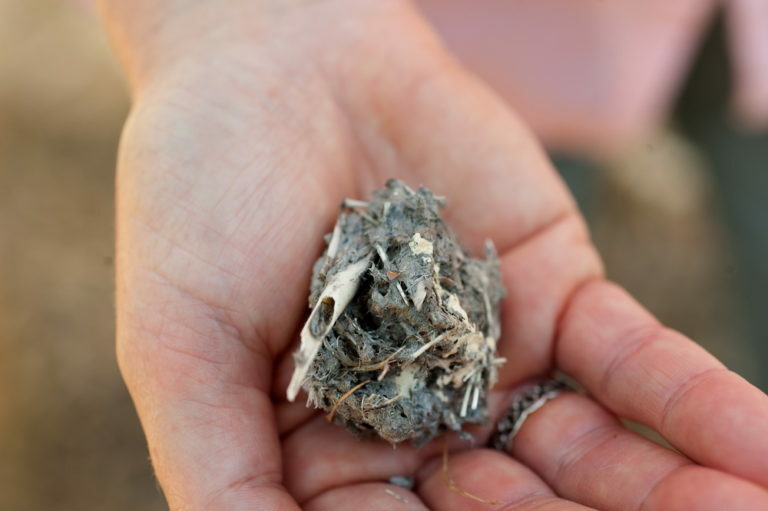 Powerful Owl pellet.If you have seen these can you please collect them and contact Brad or myself. 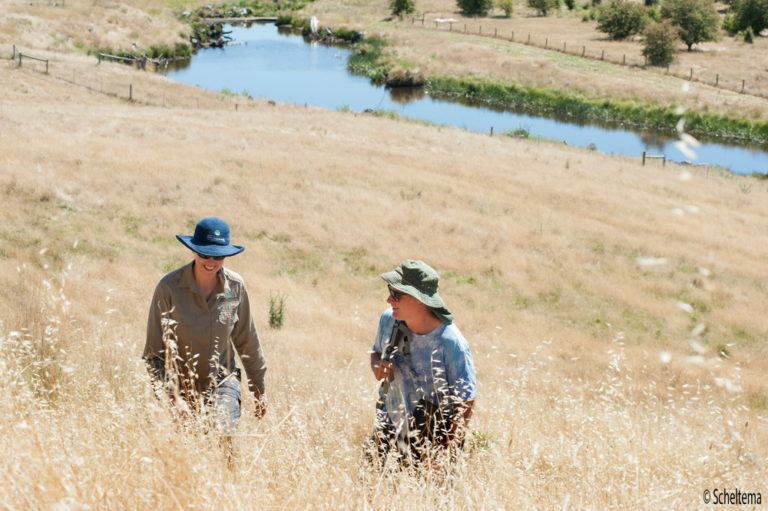 The Friends of Bald Hill Reserve are working on increasing the mid story vegetation at the Reserve as a result of their recent successful Biodiversity On Ground Action grant. Members of the Friends group were recently collecting seed at the Reserve guided by Matt Comer and Ash Elliott from Goldfields Revegetation. As a result of their successful Biodiversity On-ground Action Funding, Ashbourne Landcare is working on a project to create individual sections of biolinks to link remnant patches of vegetation across the Ashbourne Landscape.The project brings together 11 landowners who are dedicating parts of their properties to support biodiversity with the aim of improving habitat area and connectivity across the landscape. This is just one of the many great projects being undertaken by UCLN member groups working hard to protect our environment. Using phones at Bald Hill Reserve to enter data on species. Pic Scheltema. Before using the App you first need to register with the VBA which you can do on the link above. The UCLN has been working with DELWP to trial the new App.We will be holding further workshops on using it at a later date.Interested? Watch this short video about the App featuring Carolyn Robb from Friends of Bald Hill Reserve and myself. For those of you in the Macedon Shire, Council is inviting feedback on its new Biodiversity Strategy that will guide Council and the community to work towards a healthier environment and better protection for our native plants and animals. Online feedback on the Biodiversity Strategy finishes on 12th of March. For more information on the Biodiversity Strategy call Krista Patterson-Majoor on 5421 9503. Thursday 15 February, 5pm-7pm, Room 3 at Kyneton Mechanics Institute, 81 Mollison Street, Kyneton. Monday 12 February, 6pm-8pm, Lancefield Neighbourhood House, 8 Hamilton Street, Gisborne. Wednesday 21 February, 6pm-8pm, Lancefield Neighbourhood House, 78 High Street, Lancefield. 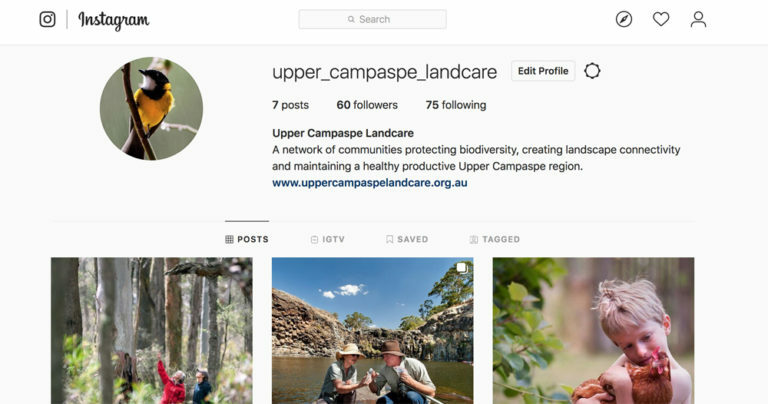 Krista will be following up with individual Landcare and Friend groups to gain their input soon, and will attend the next UCLN General meeting. 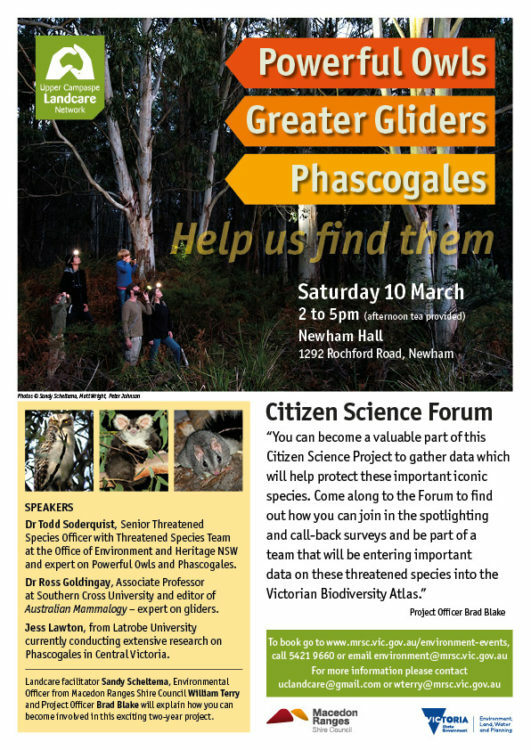 Come along to the Forum to see how you can become a valuable part of this Citizen Science Project to gather data which will help protect threatened species in our area. 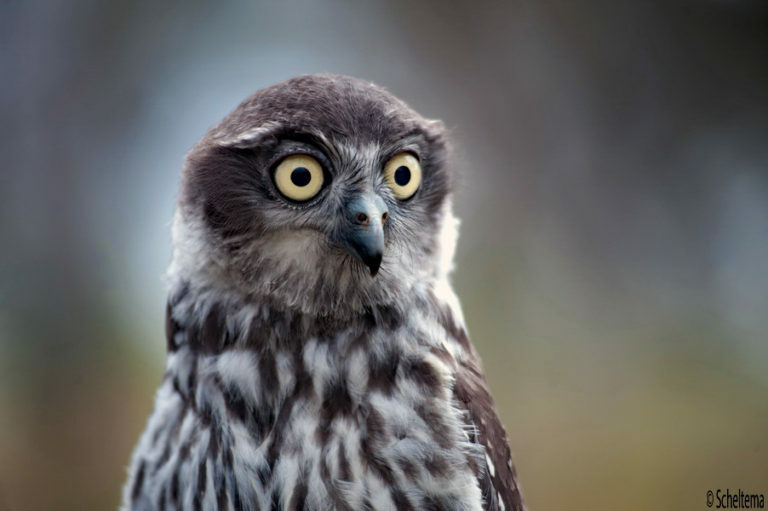 Senior Threatened Species officer from the Office of Environment and Heritage NSW Dr Todd Soderquist will be sharing his knowledge gleaned from many years of researching and radio tagging Powerful Owls and phascogales in Central Victoria. 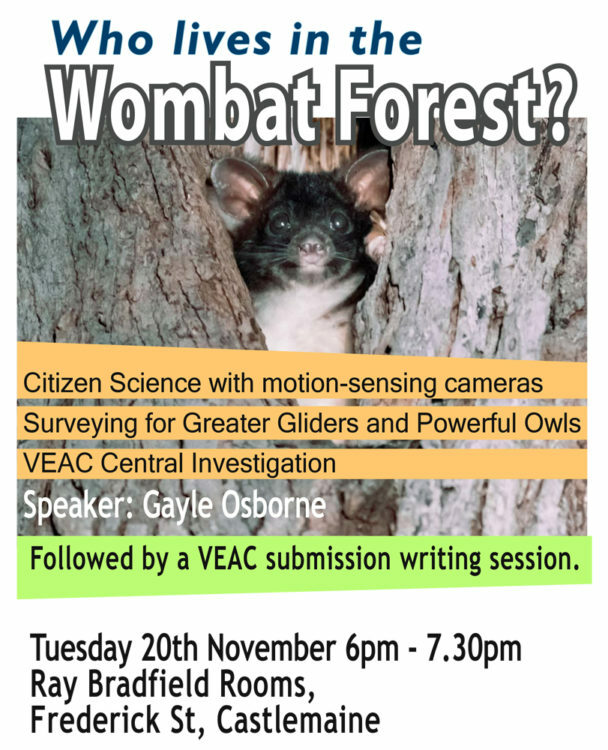 Also presenting will be Dr Ross Goldingay, an expert on gliders from Southern Cross University and editor of Australian Mammalogy. Ross has pioneered a successful method for gliders to cross major roads safely. 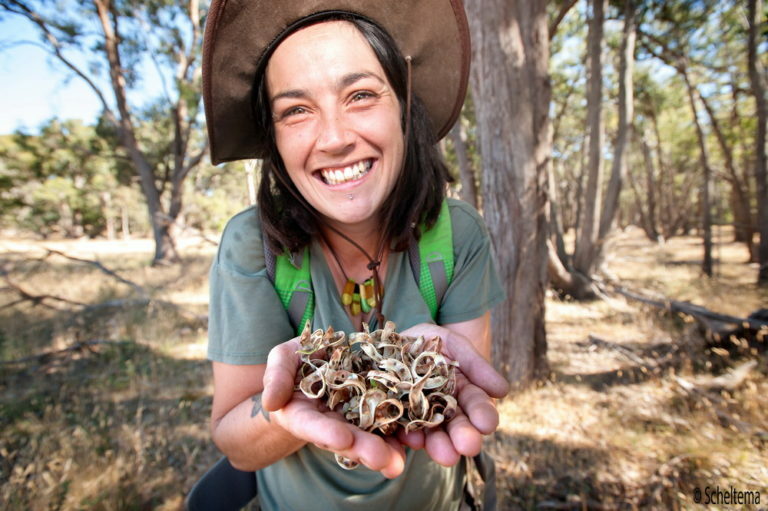 Jess Lawton, PhD student from Latrobe University who is currently conducting research on phascogales in Central Victoria will also be on hand to share her extensive knowledge. We are hoping landowners who have heard or seen any of these species on their properties come along to the Forum to find out how their presence can be verified and entered into the Victorian Biodiversity Atlas to ensure their protection. Do you have a river, creek or wetland on your property? Would you like to learn from experts how to restore and rehabilitate it? Why not come along to the free River Restoration workshop being held at the beautiful historic Degraves Mill in Carlsruhe. 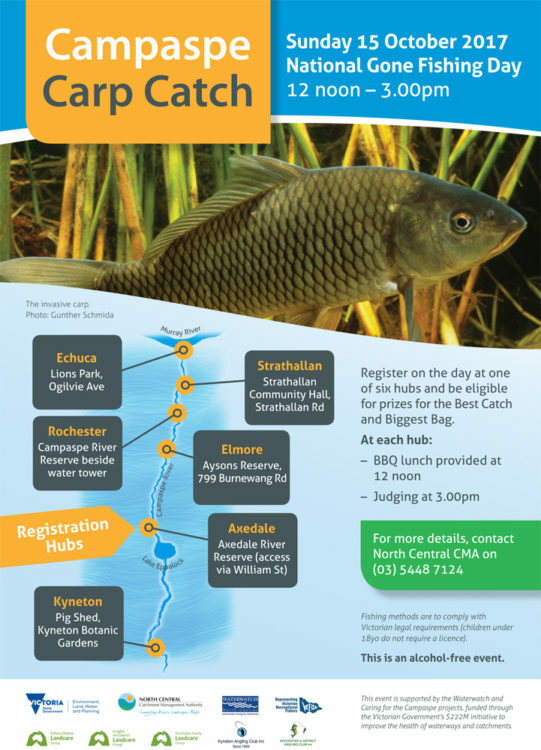 Angela Gladman, Caring for the Campaspe Project Manager from the North Central CMA will be discussing techniques and strategies for improving waterway health. 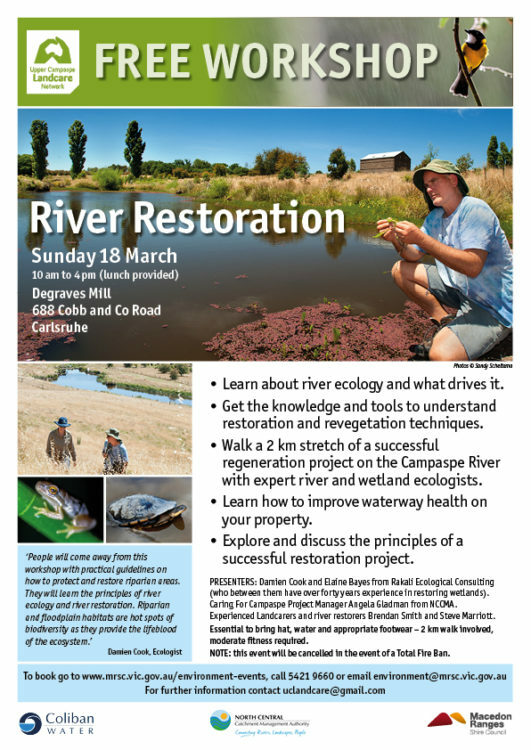 The theoretical component of the workshop and lunch will be held in the beautiful historic bluestone Degraves Mill, and participants will walk a 2 km stretch of the Campaspe River on the property to discuss the successful regeneration techniques that have been employed. Participants must have a moderate level of fitness and bring hats, water and appropriate footwear. • How to create engaging video. • Content planning and best practice. Do you want to learn the skills and confidence to safely and effectively use a range of herbicides, including some targeted herbicides for controlling specific weeds? Then you might be interested in doing a Chemical Users Training course. Please let me know as NCCMA will be offering one soon. Martin Hamilton from Ag Vic is looking to run some sessions on Farm Water Supply. The session details how to calculate how much water you have and how long supplies are likely to last as well determining pipe sizes, friction loss as well as demand. If anyone would be interested in knowing more about the above please let me know. Metcalfe, Langley and Malmsbury Landcare have worked with the Tarrangower Catus Control Group (TCCG) on a project producing brochures about weed control. Five brochures were created, one specific for each of the five wards within Mt Alexander Shire. The brochures highlight problem weeds in each ward and encourage landowners to manage their weeds by providing essential information.They also provide information about the responsibilities of landowners to manage weeds, the best control methods to use and where to find more detailed information.A digital version is available by clicking on this link – COLIBAN-Weed-Brochure-2018 . Hard copies available from the Mt Alexander Shire Offices. If you have a neighbor that is not being responsible about their weeds, maybe you could put one in their letter box? 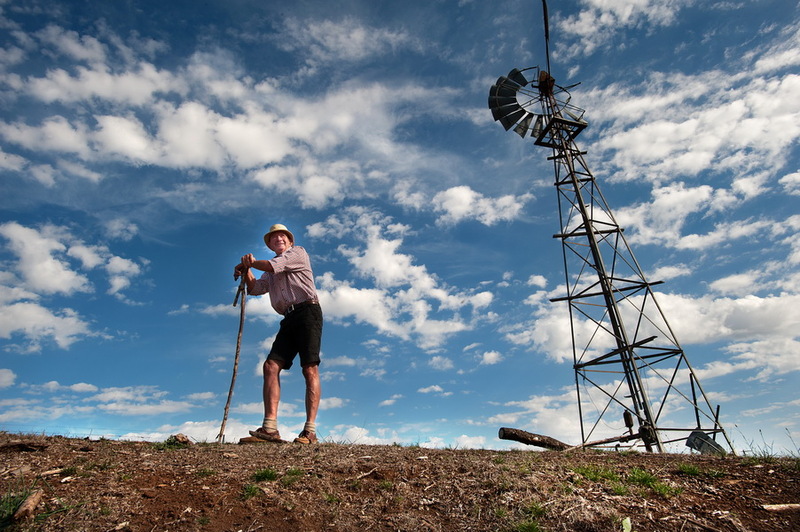 VICTORIAN LANDCARE MAGAZINE LOOKING FOR STORIES ! Contributions for the winter 2018 issue of the magazine should be sent to the editor by Thursday 29 March 2018. 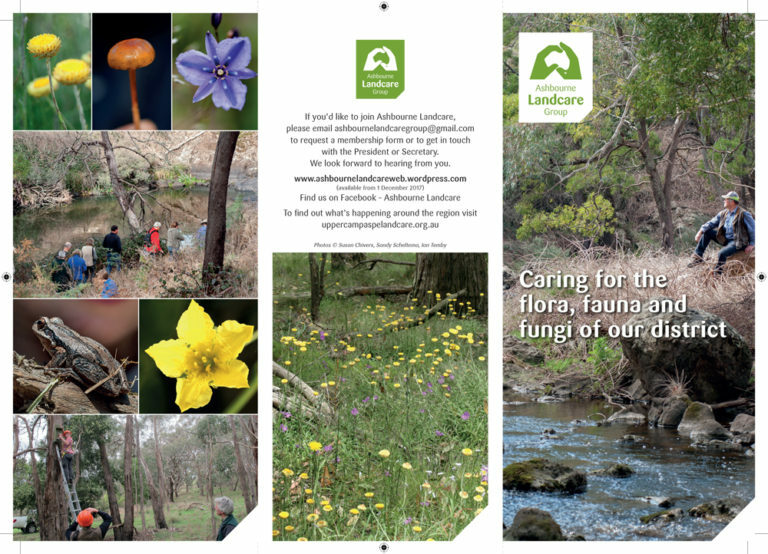 CLICK HERE for more information on the contribution guidelines for the Victorian Landcare magazine. Applications are now open for Council’s Community Grants Program. Grants of up to $3,000 are available to incorporated and not-for-profit community groups and organisations to support local community-based projects and initiatives that align with Council objectives. Applications will close on 23 February 2018 at 4pm. For additional information about the Community Grants Program, please call 5471 1744 or email grants@mountalexander.vic.gov.au. Community groups are encouraged to apply for funding for events, programs, projects and equipment. Grants can be sought for amounts up to $2,000. Prospective applicants must contact a Council Officer prior to submitting an application – refer to guidelines for contact details. The Small Community Grants Scheme supports community projects that are unlikely to be funded through annual funding schemes.They are open throughout the year, except in the lead up to a Council election.More info at this link NextWho can apply? 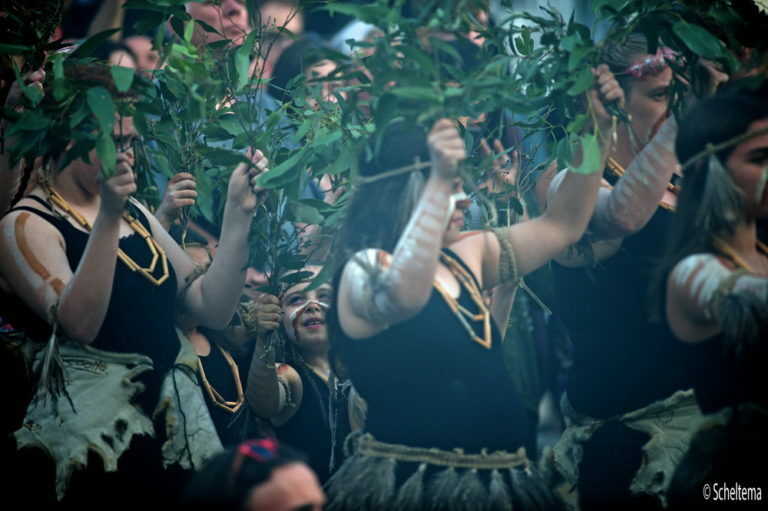 Aboriginal communities’ connection to country is basic to their sense of identity and cultural continuity.Victoria’s waterways are an important part of country that have been damaged by the development of the state’s water resources. There are opportunities to restore this damage and in doing so enhance Aboriginal communities’ well-being. Also, improving Aboriginal Victorian’s access to water resources on country offers important opportunities for economic development. Find out more below.closes Wed. 7 Feb.
1. Download and read the Application Guidelines (PDF, 401.8 KB). 2. Complete the application form online. Welcome to our Spring Edition of the UCLN ENews. 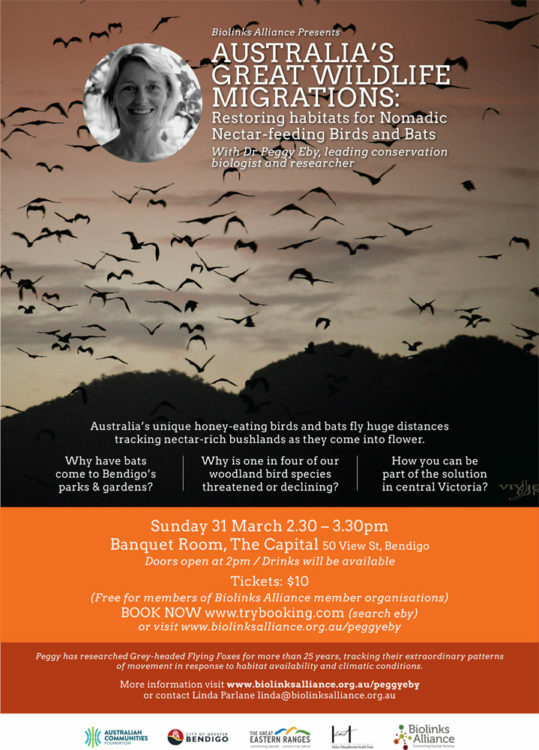 As usual, as the chill of winter fades and the spring wildflowers appear there are many events and workshops on offer in the Landcare community, from a wonderful talk on birdsong to an open day on Holistic Farm Management. I hope you enjoy reading about some of the UCLN member groups achievements, and find something that interests you to attend this spring in our beautiful region. 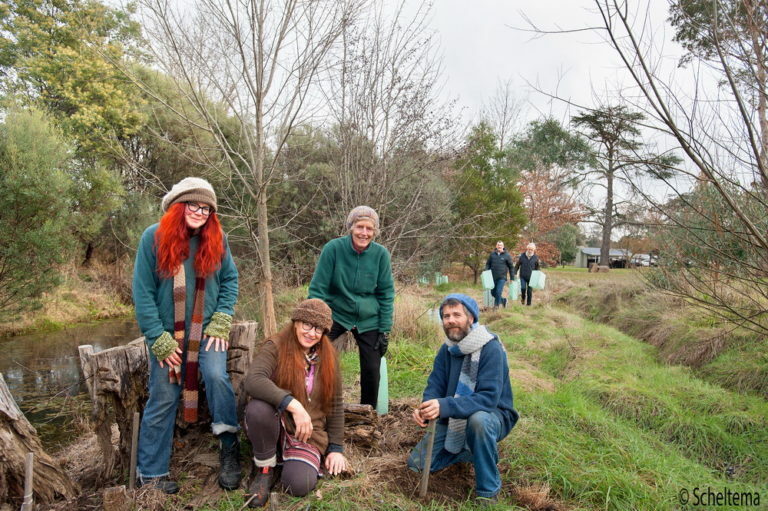 Kyneton Secondary College students took part in National School Trees Day and joined the Campaspe River and Land Management Group to plant about 500 trees and shrubs along the Campaspe River. 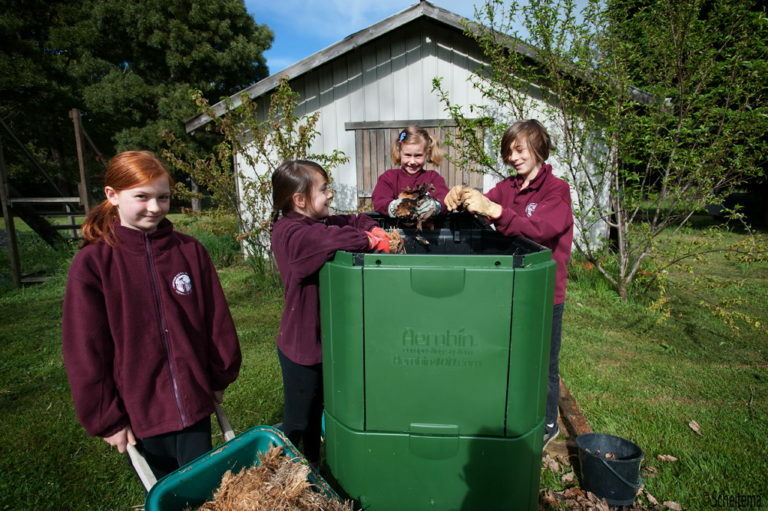 Teacher Anwyn Chapman said it was a great opportunity for students to leave their desks, get outside and learn how to care for our environment. 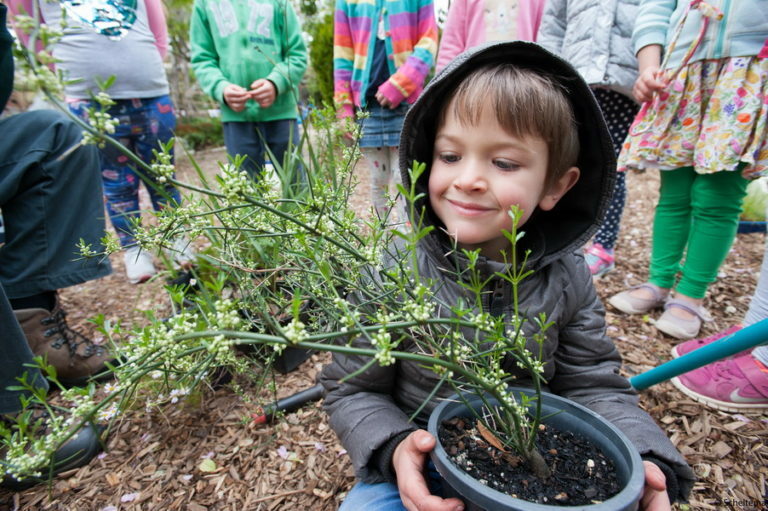 “By taking part in activities such as this, they learn about the important role nature plays in the life of our planet and why we must protect it. As Albert Einstein said, ‘Look deep into nature, and then you will understand everything better’.” Ms Chapman said. 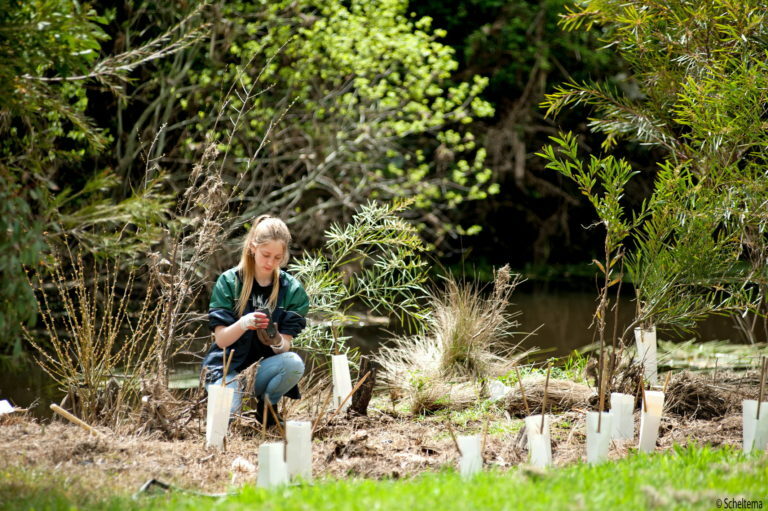 More than 2500 schools get involved in School Trees Day each year, Australia’s largest tree planting and nature care event. 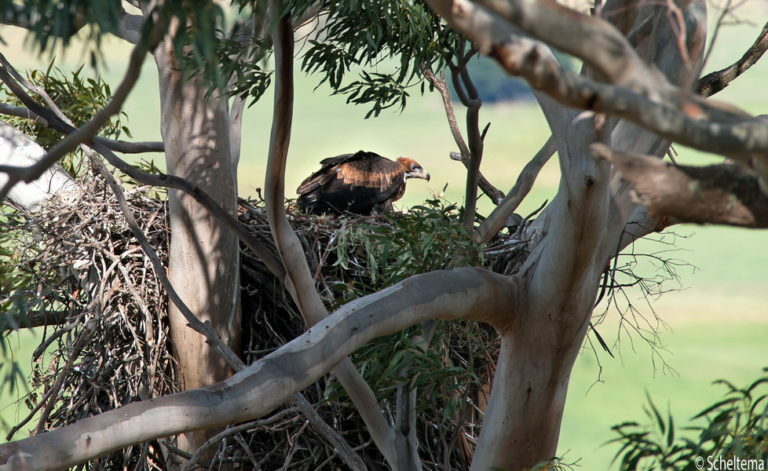 The Victorian Landcare Awards were recently announced. 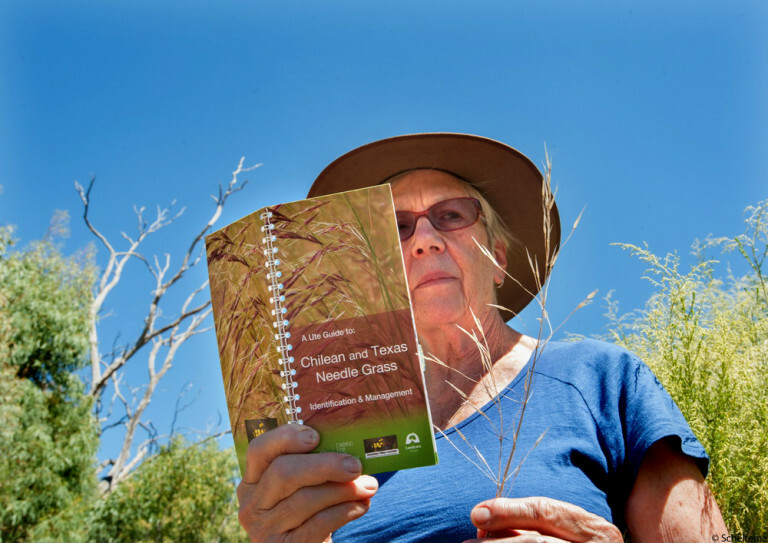 We congratulate the tireless Penny Roberts for her wonderful work with Newham Landcare for being commended in the Australian Government Individual Landcare Award. 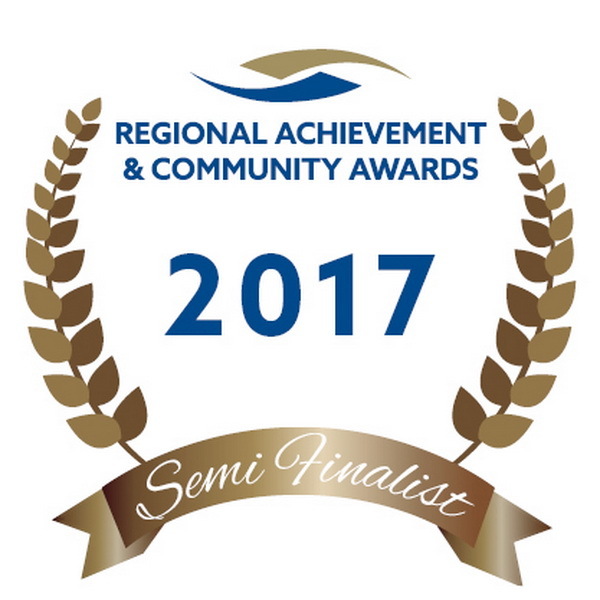 I am pleased to announce that the UCLN was a semi finalist in the 2017 Regional Achievement and Community Awards for the Environmental Sustainability Awards. Well done to all of the volunteers who work hard to achieve their groups goals. Trentham and District Landcare recently received $18,000 from the NCCMA for the continuation of weed removal and regeneration works on the Coliban River. 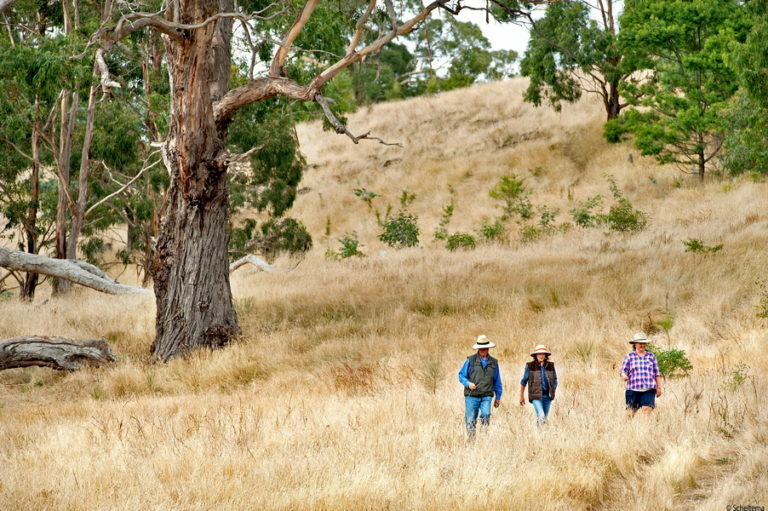 The work is also part of the Upper Campaspe Landcare Network biolink strategy which involves seven Landcare groups in the district working together on landscape scale projects. 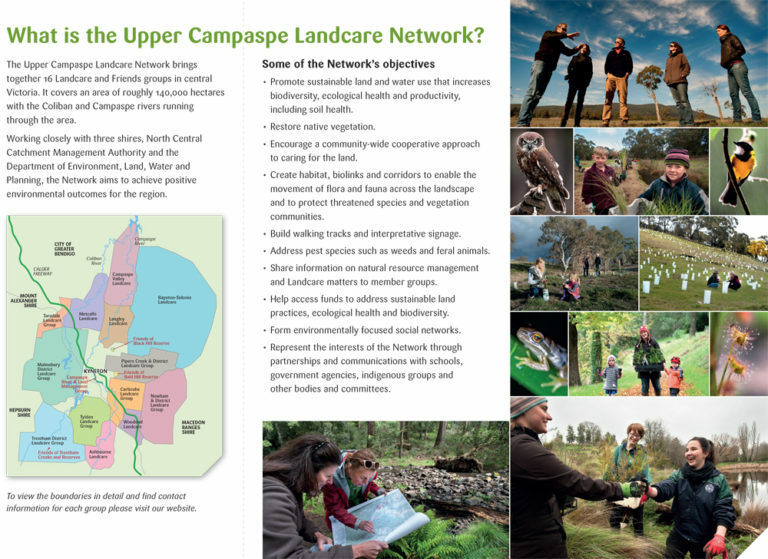 NEW UCLN AND ASHBOURNE LANDCARE BROCHURES OUT. As a result of a Macedon Ranges Shire Council Grant, UCLN has recently printed brochures explaining who we are and what we do. They are being distributed in places like Community Centres, Libraries, Shire Offices, Neighborhood Centres etc. If your group would like some to hand out at events please contact me. Your group could also create a single page insert with your relevant details on it. Or, if you need hep creating your own, please feel free to contact me. 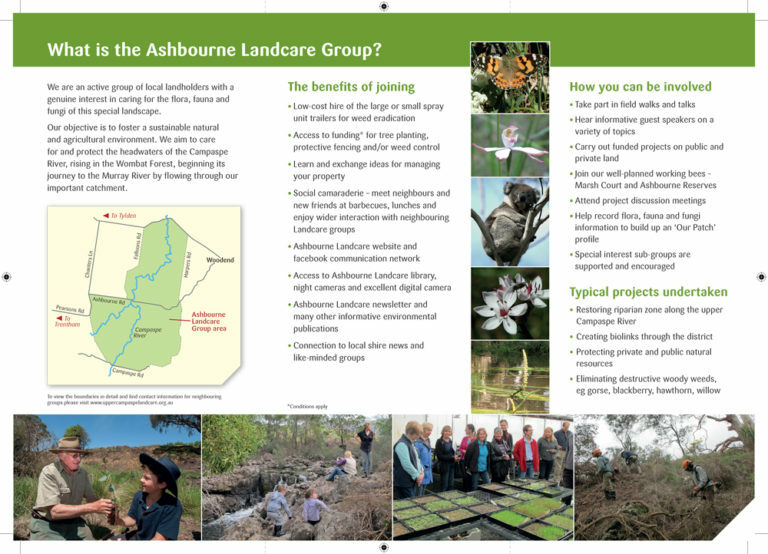 Here is the recently completed excellent Ashbourne Landcare brochure. Thanks to a Victorian Landcare Grant Tylden Landcare has been busy carrying out river rehabilitation works along the Little Coliban River in conjunction with Bendigo TAFE students, Tylden Primary School Students and community members. The project has a clear objective: to improve the quality and extent of native vegetation along the Little Coliban River. 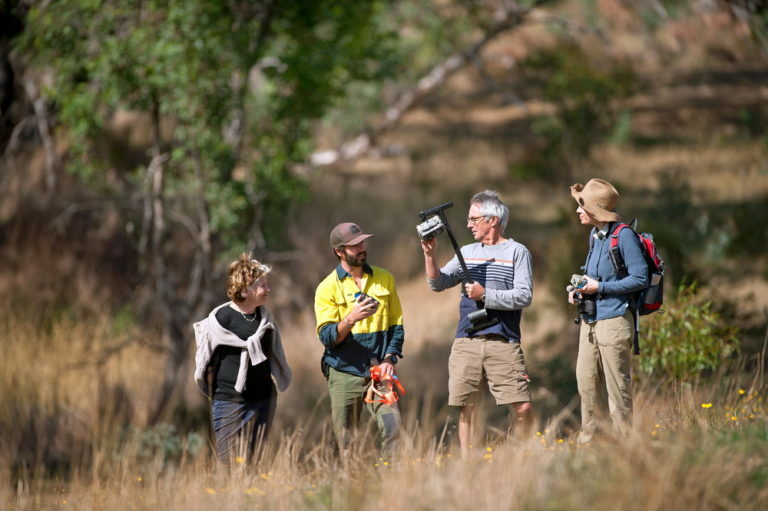 This project also aligns with the UCLN Coliban Connections Biolink project, involving Trentham, Malmsbury and Tylden Landcare working to restore connectivity between areas of remnant vegetation . TAFE students have been helping to rehabilitate the area, with students writing a management plan for the site. 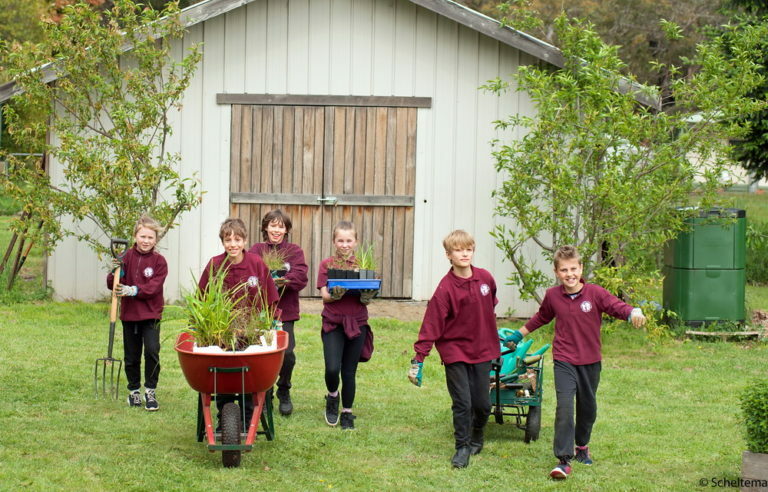 Tylden Primary School Students have been propagating and planting tube stock, and alongside community members helping to weed and plant along the river. 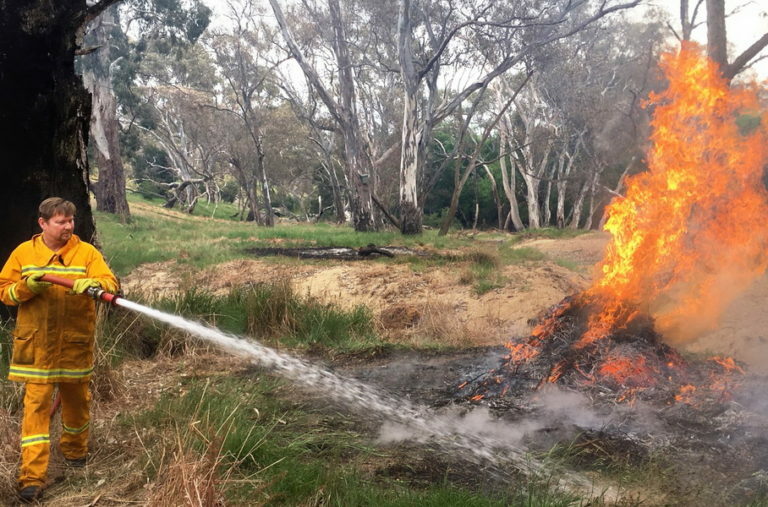 Bendigo TAFE student James Stewart was at the river recently to assist with re vegetation and said – “The Little Coliban River is facing threats from a lack of native vegetation and invasive species such as Crack Willow, Blackberry and Gorse. These impact river health and are a high priority to repair”. “This is a rehabilitation project rather than a restoration project. It will take decades to become a self-sustaining ecosystem. 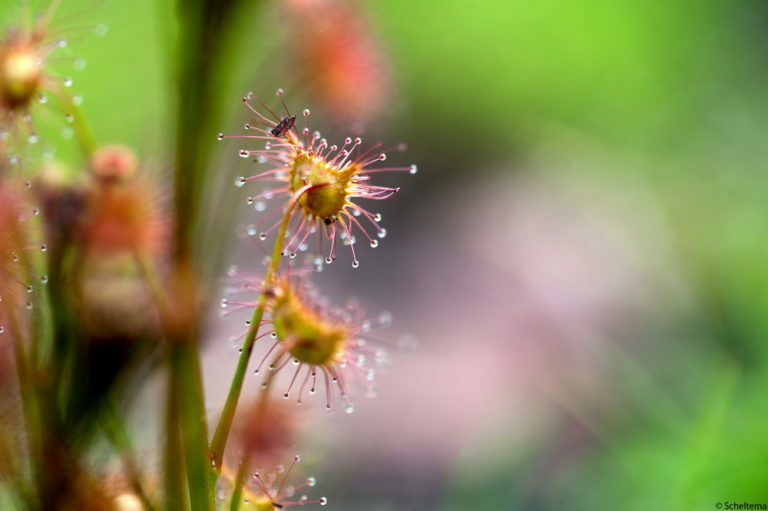 A local threatened species- the Hairy Anchor Plant is establishing well and bank stability has also increased”. James added. 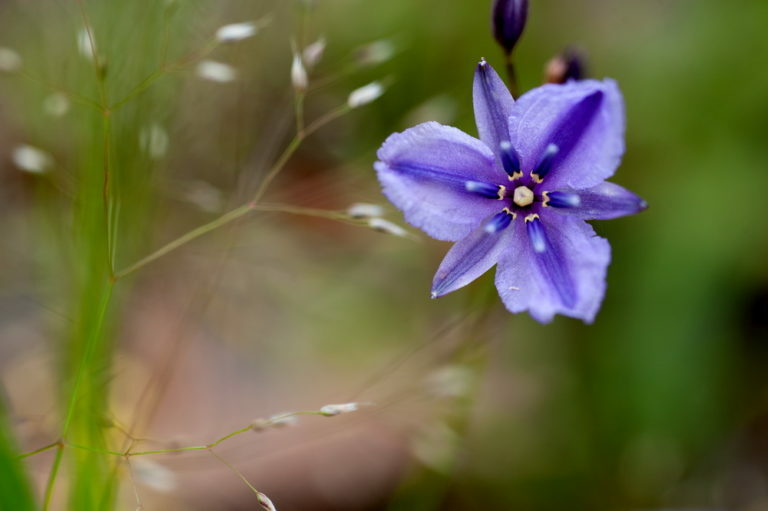 Tylden Landcare has been prioritising woody weed control and revegetation programs to increase the density of native vegetation and encourage native fauna. Camp Seed, Stuart Mill, St Arnaud 6th – 8th October 2017. An enthusiastic band of North Central landcare members have worked with LVI to organise two full days of sharing and learning. The event will feature a poster display and discussion of landcare activities from across the region and state, and the option to join a bus trip on the Saturday afternoon. 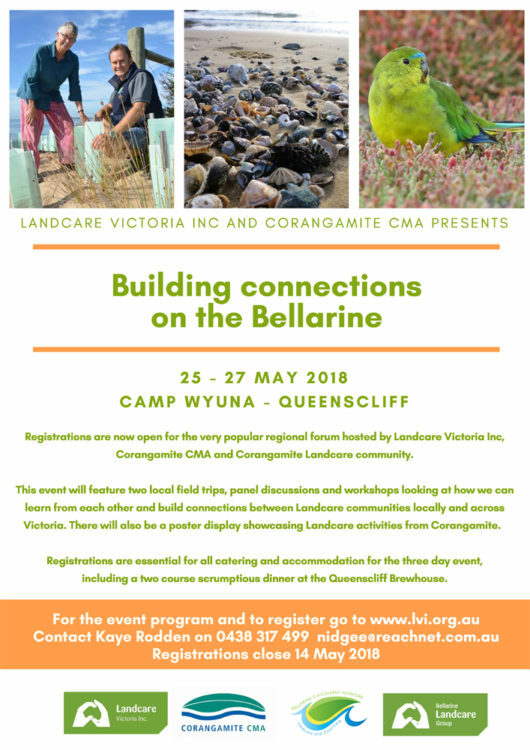 This is a great opportunity for networking within the Landcare community, and its free! 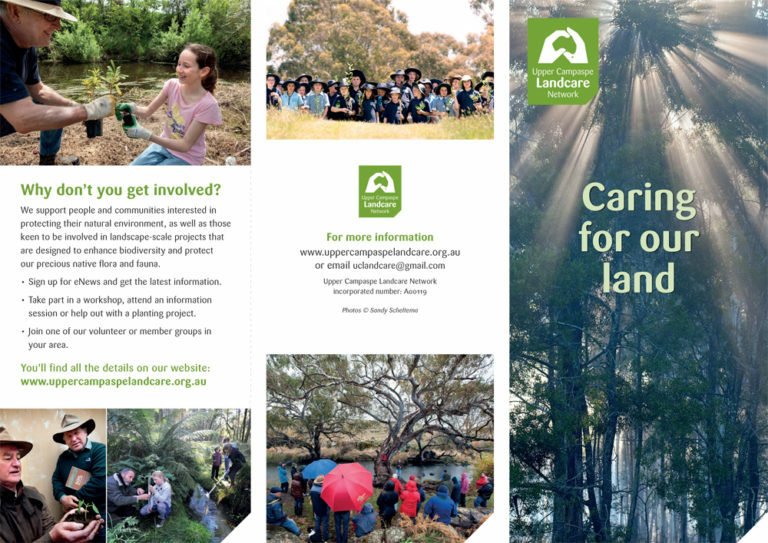 If your group wishes to share their landcare stories as part of the poster display please let me know. Click here to register for the forum now. Contact Kaye Rodden (LVI – Dep Chair) at nidgee@reachnet.com.au for more information. Ever wanted to get up close and personal to a raptor? If you come along to the Raptors Display at Metcalf after the UCLN AGM on 31st October 2017 you can. 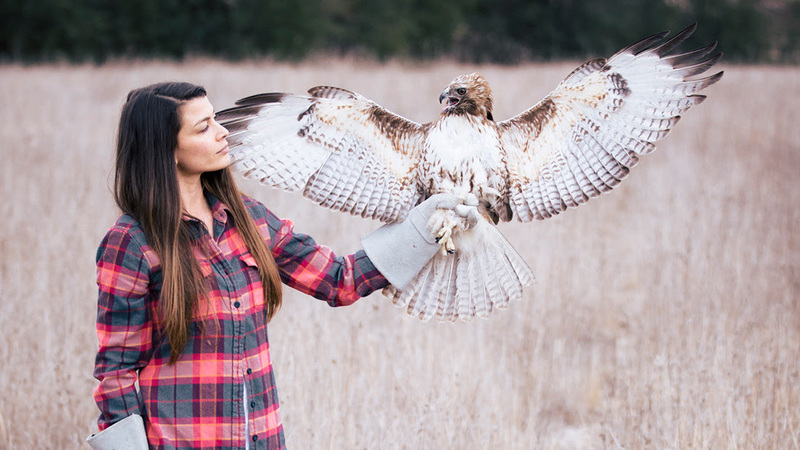 The Leigh Valley Hawk and Owl Sanctuary will give a one hour presentation introducing approximately 5 Birds of Prey and will discuss the need for conservation, prevention of extinction and sustainable living. Meet at the Metcalf Hall at 2.15. You are also welcome to attend the UCLN AGM at 12.30. Learn how to successfully use the new RHDV1 K5 virus to eradicate rabbits with John Mathews from DEDJTR. Contact RabbitBook , 5421 9660 or Send Email to book. Chilean Needlegrass Workshop Saturday November 11th Carlsruhe CFA Three Chain Rd Carlsruhe 10 am -2 pm. Learn how to identify and control this high impact agricultural and environmental weed from an agricultural scientist. 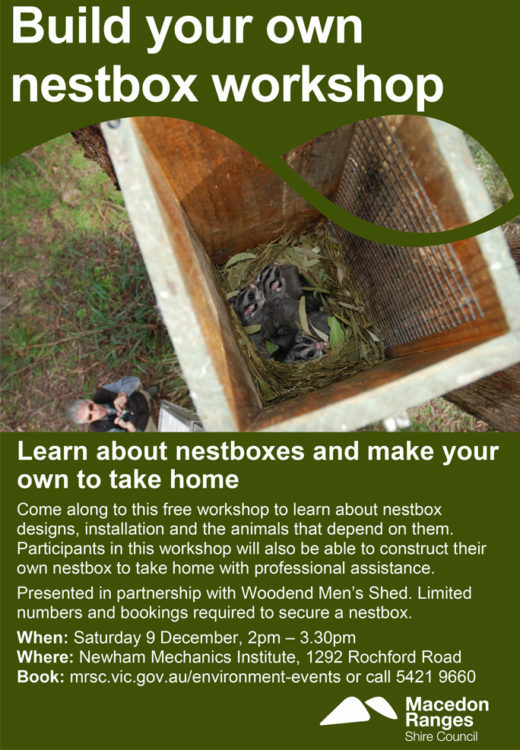 Presented by Macedon Ranges Shire Council in partnership with Carlsruhe and Newham & District Landcare Groups. Lunch provided. Contact NeedleGrassBook , 5421 9660 or Send Email to book. Come along and meet fellow Landcarers and speak to the public about how to get involved in Landcare in the district. We are looking for volunteers to help with the UCLN stall so please let me know on uclandcare@gmail.com if you are able to help. Wildflower Walk 10 am 19th November. Conglomerate Gully Riddells Creek. 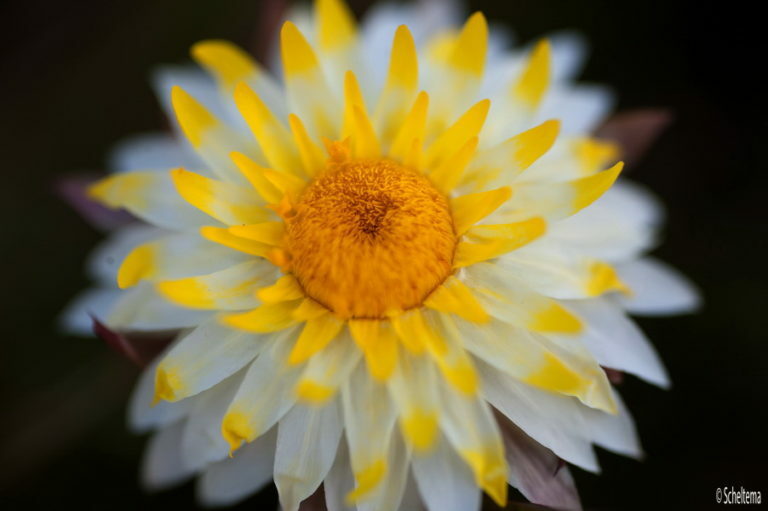 NDLG Roadside Management Group invites members and guests to spend a couple of hours in the morning to discover the wildflowers in a contrasting environment to that typical of the Macedon Ranges. The walk will conclude with tea and cake. Dogs are welcome on leads only. Sturdy footwear is essential. Please indicate if you are interesting in attending by contacting Sue Massie smassie@ozemail.com.au for directions. 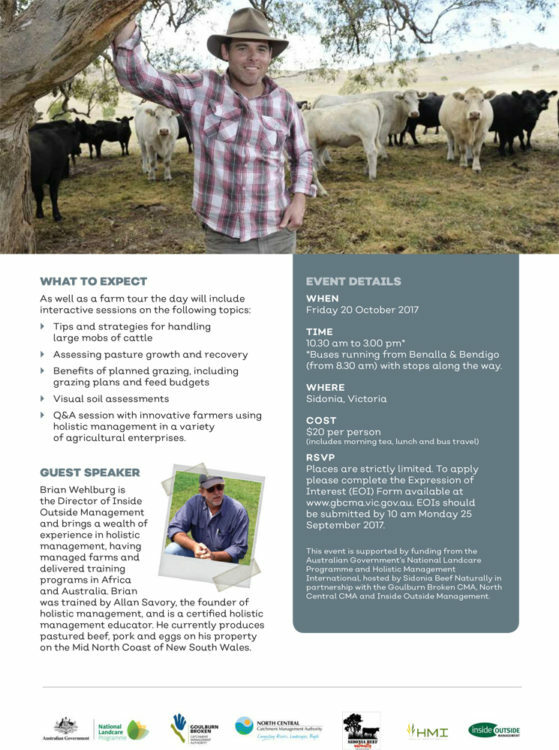 Native Pastures for Grazing – 22nd November 2017, 10 -3 pm Newham Hall. Learn from Greening Australia’s lead Scientist Dr Paul Gibson-Roy about native pastures for grazing. Lunch and field trip provided. Contact Pasturesbooking or Send Email to book. “What can we learn from listening to nature?” November 24th 2017 Evening presentation by Andrew Skeoch of Listening Earth (www.listeningearth.com ) on birds and birdsong. Newham Mechanics Institute. 7 pm for 7.30. Supper follows. RSVP to Sue Massie smassie@ozemail.com.au or tel.5427 0795. Join the experts on an olive plantation at Langley to learn how to gain a better understanding of soil on your property. Learn how to evaluate the condition of your soil and apply appropriate management practices to improve soil health. Presenters Martin Hamilton (EcoDev DEDJTR), Rebecca Mitchell (co author of the Soil Health Guide), and Helen Haydon (Soil Microbiologist from Dep Ag Melbourne). Lunch Provided SoilHealthBooking 5421 9660 or Send Email to book. 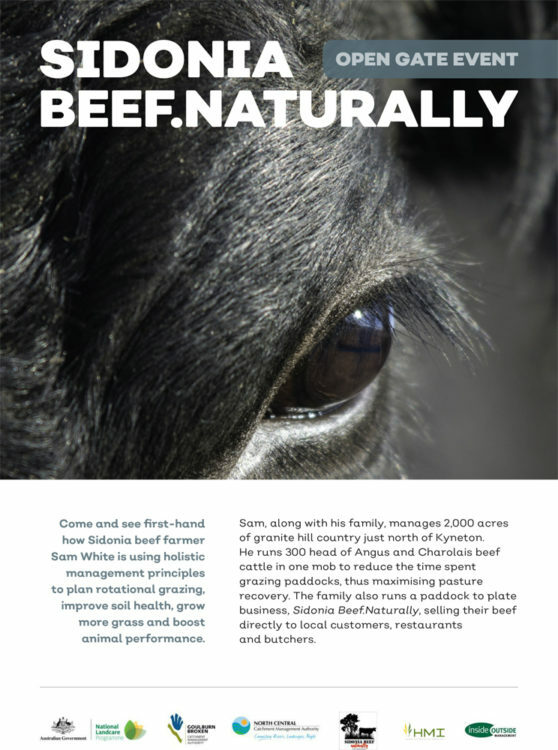 Come and see first hand how Sidonia Beef Farmer Sam White is using holistic management principles to plan rotational grazing, improve soil health, grow more grass and boost animal performance. 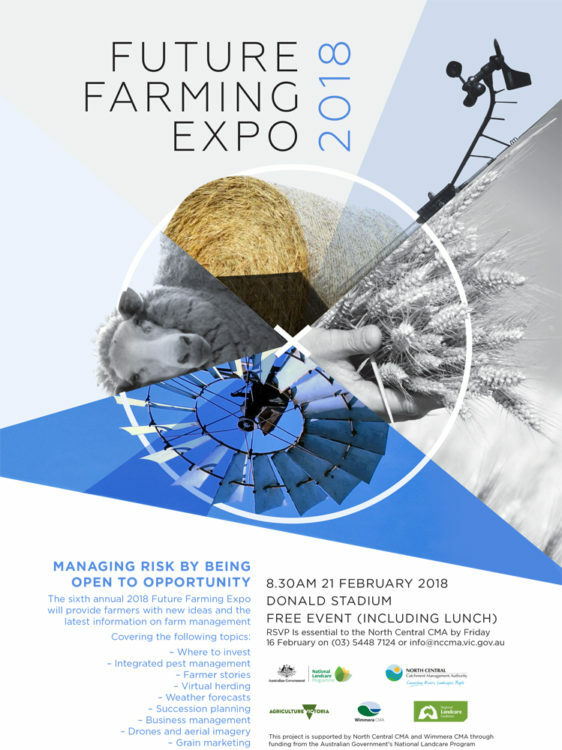 This event has limited numbers.To apply please complete Expression of Interest Form available at www.gbcma.vic.gov.au or contact Darren Bain Regional Landcare Facilitator on 03 54401893 or 0419560348 or darren.bain@nccma.vic.gov.au . EOIs to be submitted by 10 am Monday 25th September. River Restoration – March 18 2018, 10-2 pm, Degraves Mill Carlsruhe. 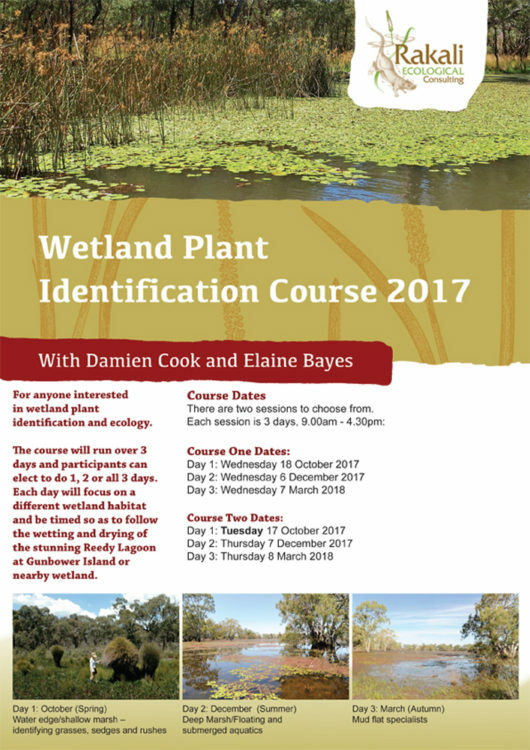 Registrations are now open for Rakali’s popular wetland courses commencing October 2017 through to March 2018. The courses are presented by SERA 2016 award winning ecologist Damien Cook and Elaine Bayes. Don’t hold off as the NEW courses may be a once off depending on level of attendance and it’s the last time the Wetland Read more..
Baynton Sidonia Landcare has asked me to let you know about the upcoming Alternative Technology Association’s Sustainable House Open Day Sunday, September 17, 2017 10.00am – 4.00pm at Clearwind (between Kyneton and Heathcote). If you enjoy fishing why not come along to this family friendly fishing event organised by NCCMA . Lily D’Ambrosio, Minister for Energy, Environment & Climate Change recently announced the availability of $600,000 in grant funds for Community Skills Development projects. The grants are intended to enable volunteer groups and networks to invest in training and development to increase their collective skills. The Minister’s Media release can be found here communityskillsgrants and details of the grants, including the guidelines, here grantdetails/guidelines . Applications close on 12th October 2017. The Small Environmental Grant Scheme will provide support for people undertaking projects that will make a positive difference to the natural living environment, in land, sea or air, rural or urban. 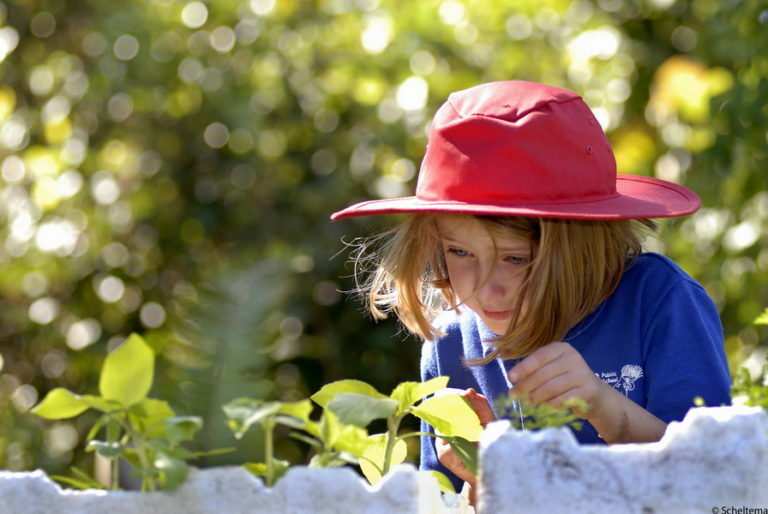 Please click here Junior Landcare if you are interested in Junior Landcare information. This issue features an article by Regional Landcare Facilitator Tess Grieves on “How can Landcare attract new people, and free up more time for our current, overworked members” which raises some interesting points. Welcome to our Winter Enews. 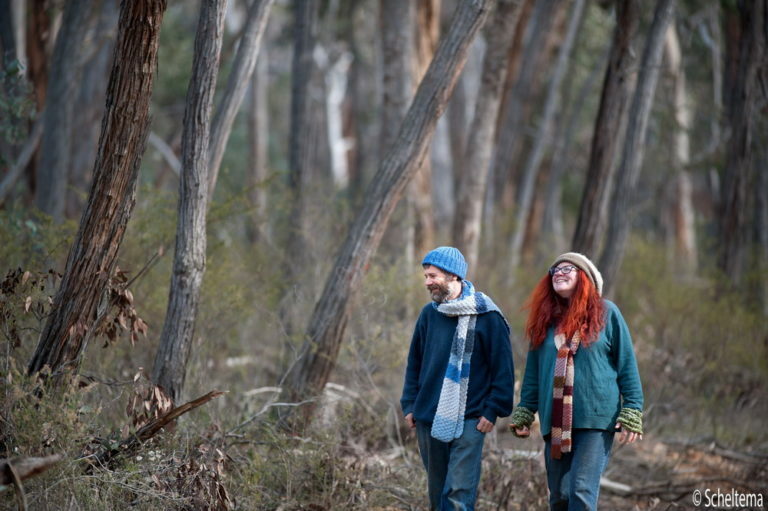 So many fantastic Landcare projects have happened because people got together and had conversations. Read about some of the great work happening in our Network in this ENews. Dont forget to have a look at resources available and some wonderful events coming up. FOTCR COMPLETES THE WOMBAT LOOP. SAVE THE DATE ! 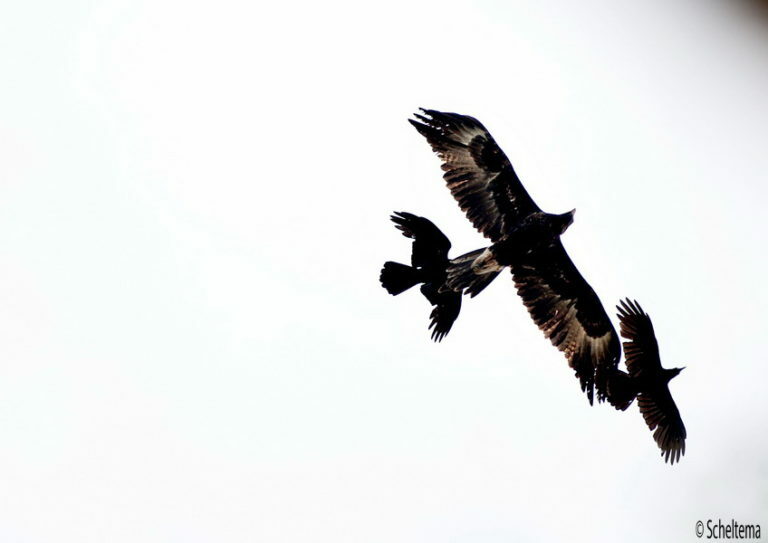 BIRDS OF PREY AT THE CASCADES. Approximately 850 trees and other plants were planted by UCLN member groups on Mothers Day, a wonderful way to commemorate mums. 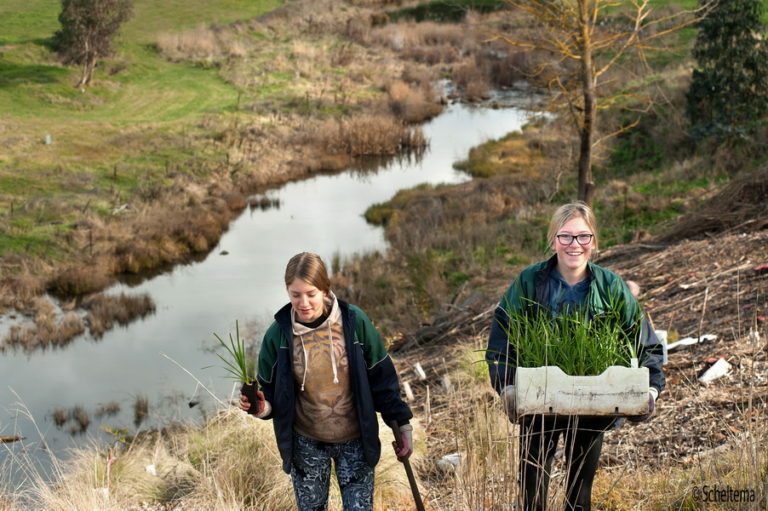 Over 400 plants went in the ground at a recent planting day on the Campaspe River with Kyneton Secondary College students assisting the CRLMG. 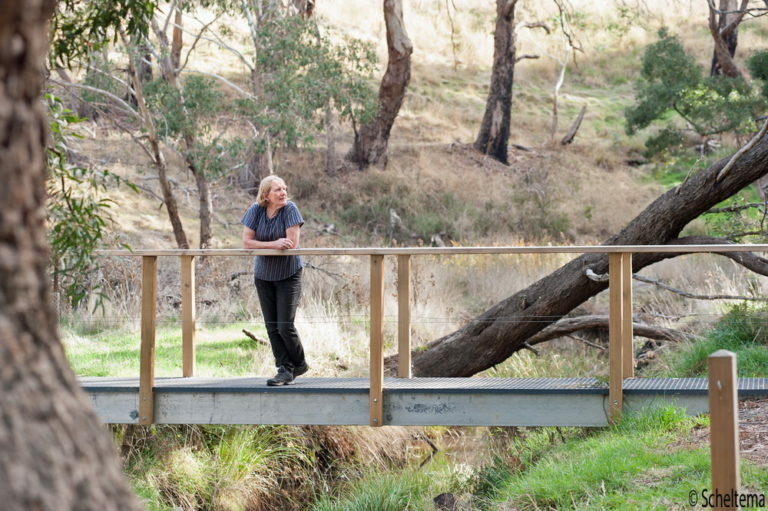 And more news from the river at Kyneton – “Following the 22 years of work the Campaspe River and Land Management Group has put into preparing the ground for a rudimentary gravel path along the Campaspe River, council has recognised the value of The River Walk for the community. The new cement paving designed to replace the gravel along part of the existing River Walk will be constructed as part of the Council’s Healthy Community Objectives.This will enable the entire community to use The River Walk for cycling, running, walking and general enjoyment of the Campaspe River environs.” said President of the CR+LMG Peter Harding. The excellent River Detectives program has begun at Trentham Primary School thanks to volunteer Lois Blackhirst. Said Lois “The Trentham students are so lucky to have a stream running right past their school. Even though it looks a little muddy our school scientists found it to be a healthy waterway. We even identified a couple of waterbugs which is a sign of a living and well balanced environment”. River Detectives volunteer Lois Blackhirst helps out Cooper with a sample from Trent Creek Trentham.“River Detectives is such a valuable program that allows schools across the state to head to their local waterway, engage with their local environment and learn skills in testing water quality which they report through an interactive portal.” said Brad Drust , NCCMA CEO. 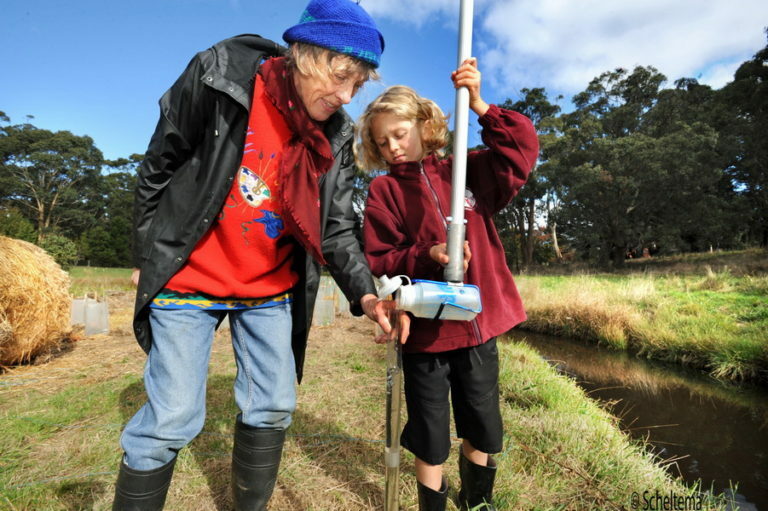 Malmsbury Landcare is also involved with the excellent River Detectives Program at their local Primary School. Students were anointed as ‘river detectives’ after they were introduced to a new program allowing them to keep track of the health of our waterways. The keen students are now able to take readings on the water quality and the habitat from their local waterways and log the data on an interactive portal. 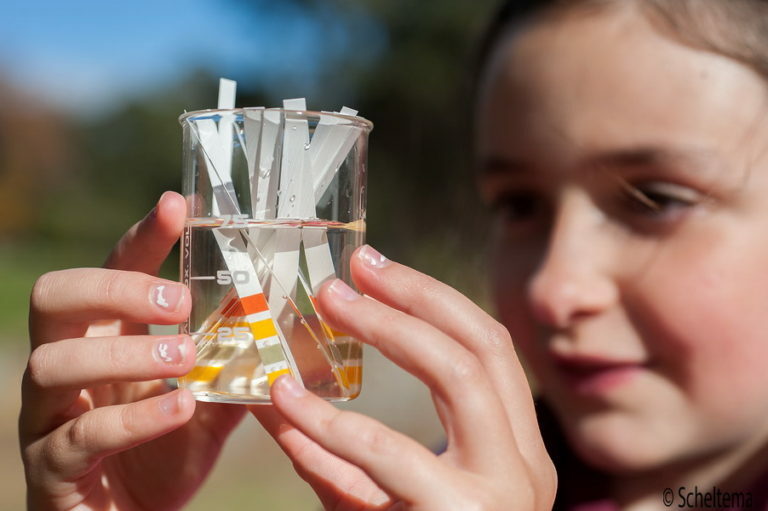 Through that online portal, the budding citizen scientists have been teaching themselves about waterways and the effect poor river health can have on the greater environment. A student tests water quality at Trent Creek as part of the River Detectives program. 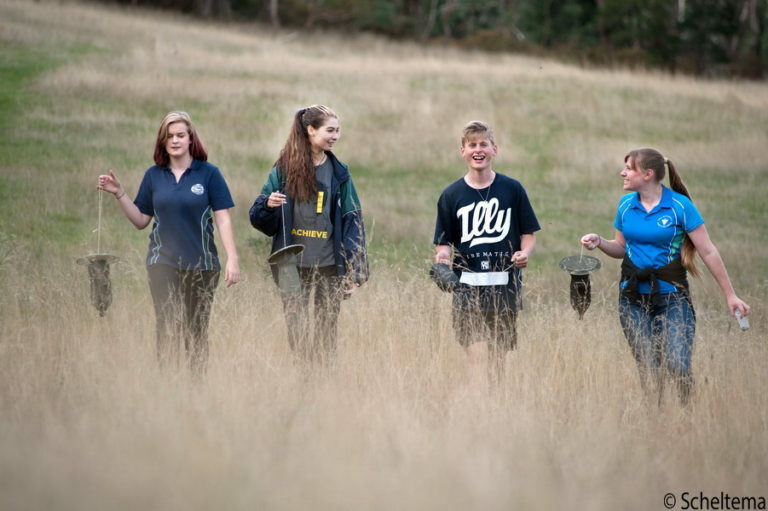 Students from Kyneton Secondary College collecting insect traps they installed at the Bald Hill Reserve. 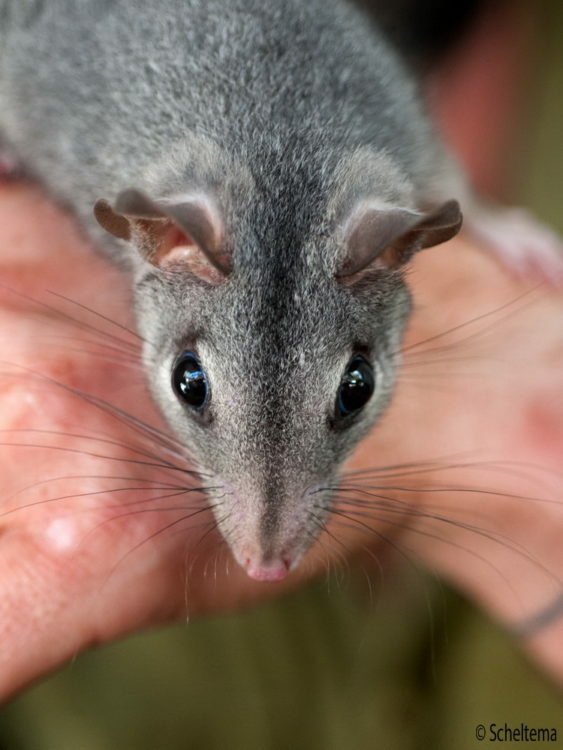 Their work is part of a joint project between MRSC, UCLN, and the Friends of Bald Hill Reserve to find out more about the food source of phascogales at the Reserve. 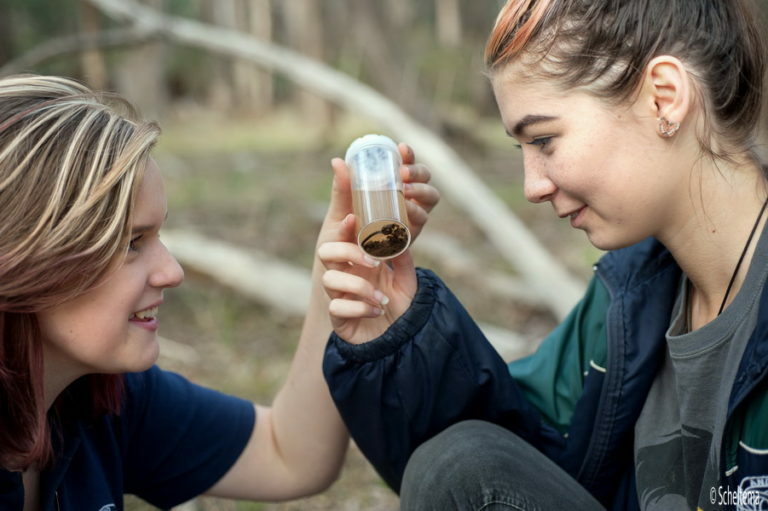 Kyneton Secondary College students visited Bald Hill Reserve recently to collect insect traps that they installed at the reserve. 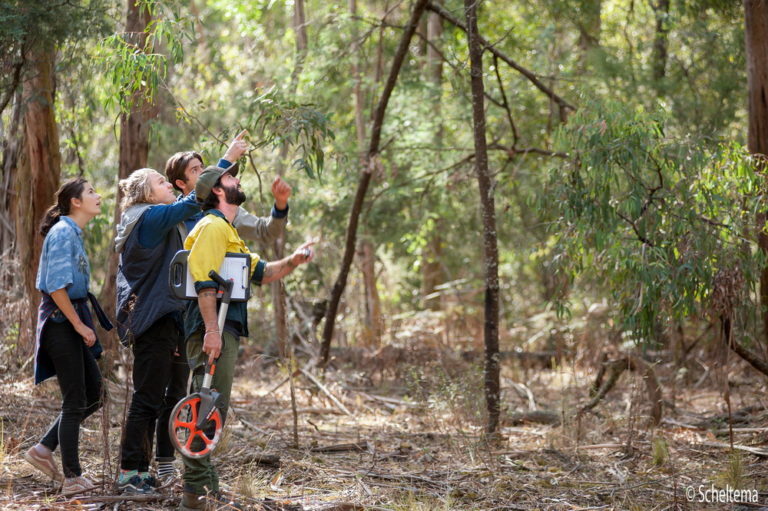 The project is part of a collaboration between the Upper Campaspe Landcare Network, Macedon Ranges Shire Council and the Friends of Bald Hill Reserve to conduct field studies on insect populations, the major food source of the vulnerable phascogale which is found at Bald Hill Reserve. The students designed, built, and installed the insect traps in order to collect data regarding the availability of the phascogales food source at Bald Hill Reserve. Phascogales are a ‘keystone’ species at Bald Hill Reserve, which means they give an indication of the health of the ecosystem there. 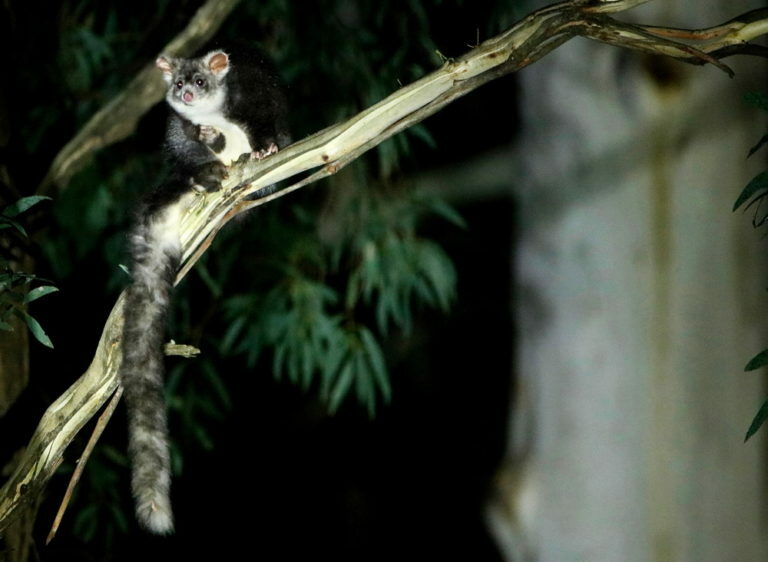 The destruction of native forests and woodlands in Central Victoria has led to the decline of many native animal populations, including the phascogale. The students will be analyzing the data and working with a visiting entomologist to better understand the role insects play in the ecosystem at Bald Hill Reserve. 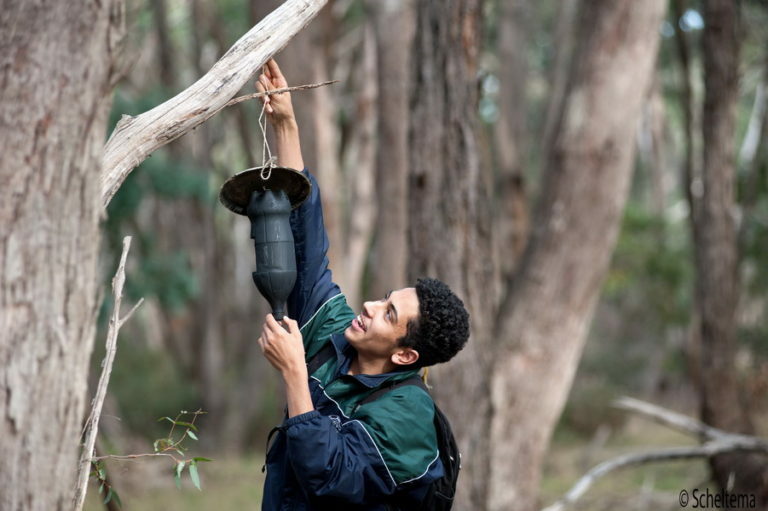 Sam Habib checks a insect trap students from Kyneton Secondary College installed at Bald Hill Reserve. An exciting find was made recently at Bald Hill Reserve -a Brown Toadlet (listed under the FFG as a threatened species). It has been predicted that the Brown Toadlet is in significant decline, at a rate of less than or equal to 30% over ten years (IUCN 2006). 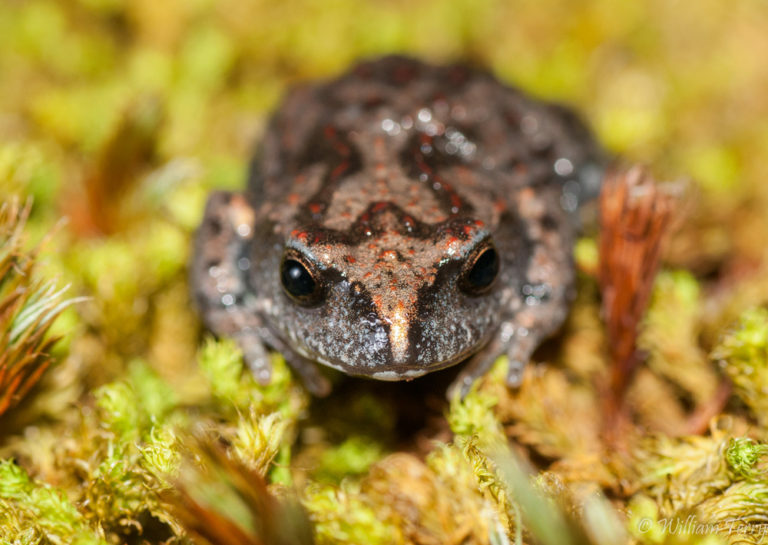 Detection of the Brown Toadlet at Bald Hill Reserve was significant as it had not been recorded in the area for over 20 years. Lets hope the Friends of Bald Hill is successful in their recent grant application which will help this and other species. An exciting find at Bald Hill -The endangered brown toadlet. Pic William Terry. 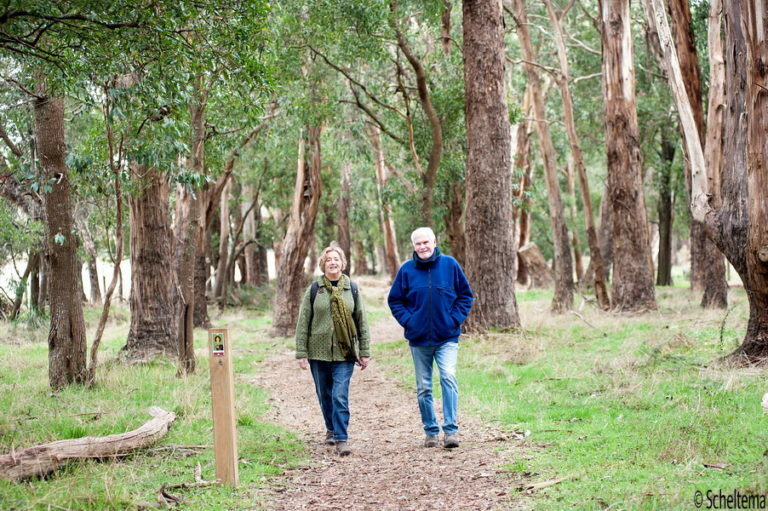 The wonderful Wombat loop is now open, completing the Wombat Trail, an initiative of the Friends of Trentham Creeks and Reserves (and the Trentham Public Reserves Committee of Management). The group received funding three years ago through a DEWLP Local Landscape Enhancement Grant.Why not take a walk amongst the blackwoods alongside the creek this winter and enjoy this delightful trail. Brochures are available from Trentham Neighborhood Center, the Tourist Information Center and shops in town. SAVE THE DATE! 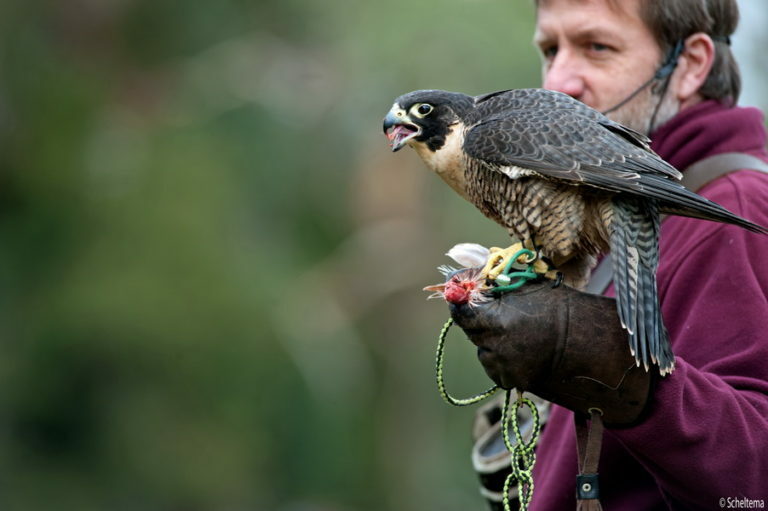 BIRDS OF PREY AT THE CASCADES FOR UCLN AGM. Come and learn about these magnificent creatures on October 31st at the UCLN AGM at Metcalf. Save the date on October 31st and come along to our AGM event at the Cascades in Metcalf. 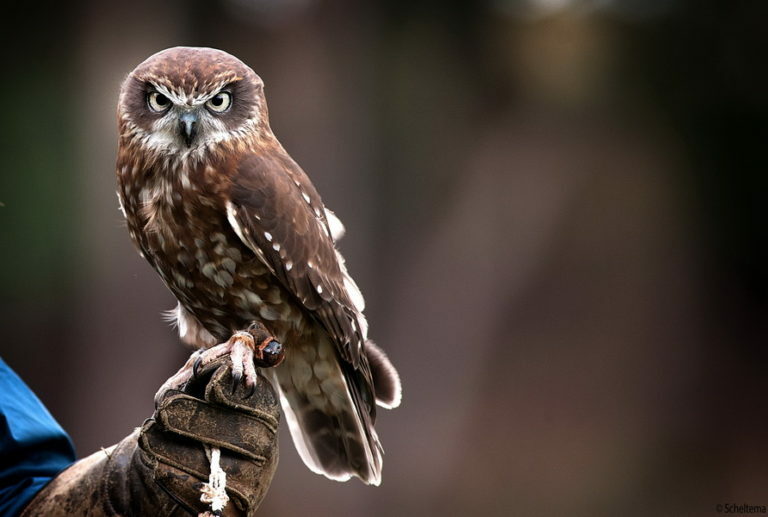 We will be having a wonderful demonstration by the Leigh Valley Hawk and Owl Sanctuary. Their aim is to provide inspiring demonstrations based on the principals of ecology and environmental science, emphasising the urgent need for the conservation of biodiversity, the prevention of extinction and sustainable living. 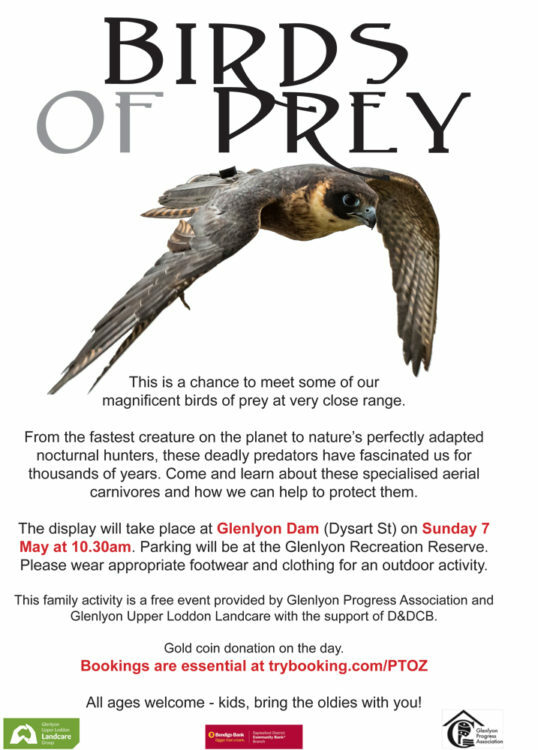 Come and learn about the adaptions these remarkable creatures utilize in their predatory way of life. More info closer to the date. Vials of K5-RHDV1 calicivirus for release are available from the NSW Department of Primary Industries, Elizabeth Macarthur Agricultural Institute. To order the K5 vials you just need to send an email to Alison Jugow (alison.jugow@dpi.nsw.gov.au), Ph 02 4640 6012, letting her know how many vials, delivery address and contact details. The cost of the RHDV K5 vials is $120.00 per vial and the cost of freight is $50.00. These prices are GST exclusive. You then put it on the bait in a populated area (this amount might be enough for a few properties),and re bait a couple of days apart. It is best not to use when rabbits are lactating -which is apparently now. They suggested starting early next autumn. It needs flies to spread it. Best not use with young rabbits as they are immune to it.Best not too use spring, or summer. The UCLN will be holding an information session with John Mathews on October 20th so put it in your diary if you want to learn more about how to effectively control rabbits on your property. 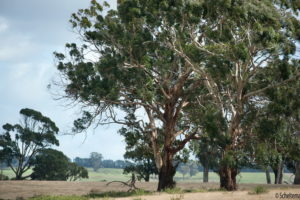 Round Three of the Australian Government’s 20 Million Trees was launched on 19 June. This is the final round of the 20 Million Trees Competitive Grants. 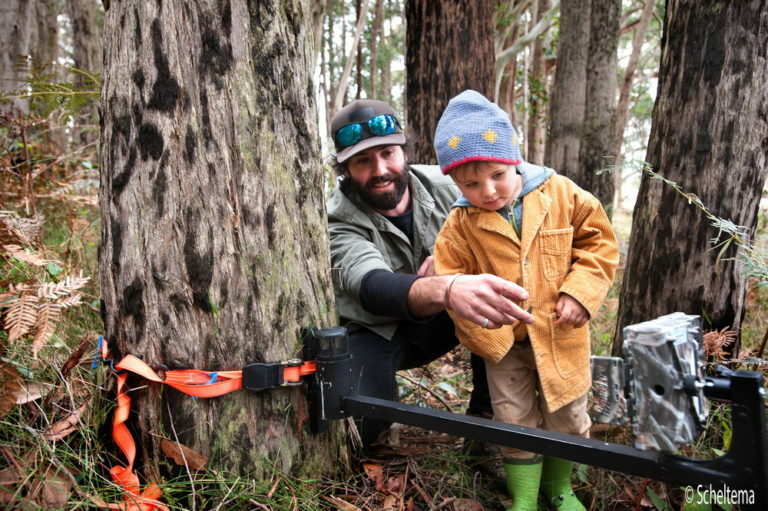 $6 million is available for grants between $20,000 and $100,000 for tree planting projects that will support EPBC listed Threatened Ecological Communities and Threatened Species. Individuals and groups can apply for projects on both public and private land. Applications close: 15 August 2017. Guidelines, application form and other useful information is available from the Australian Government’s website. The current round of Norman Wettenhall small environmental grants is now open. The grants provide support for groups or individuals undertaking projects that will make a positive difference to the natural living environment, in land, sea or air, rural or urban. A community grants program that provides financial support to new, emerging or small not-for-profit organisations that contribute to humanitarian, environmental, and animal welfare efforts in Australia and abroad. Supporting projects between $10,000 – $20,000 that deliver tangible outcomes in alignment with the organisations charter. Up to $10,000 towards training or study (upskill) to invest on-farm or in professional development (invest), putting new skills into practice. If you are interested in Wetland Ecology and Management you may be interested in these courses. Greg Fletcher, Goulburn Broken Catchment Management Authority. See website for session outline, field guide provided, evaluations etc. 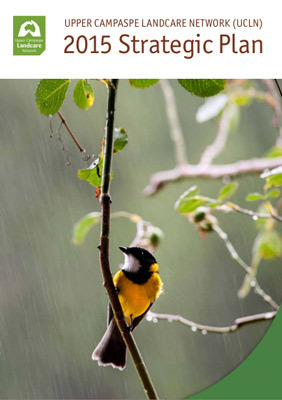 CLICK HERE to view Issue 69 of the Victorian Landcare and Catchment Management magazine, which is a special feature on climate change. There’s lots happening in the region, even in the winter months. Click here to view the June 2017 edition of the North Central Chat and find out more about who is doing what in our region. The Climate Ready Natural Resource Management Planning portal provides a common platform to access climate change adaptation planning for natural resource management across Victoria and was funded by the Australian Government. This project developed spatial tools to assess climate change vulnerability across the state, pioneered adaptation pathways planning in the state, undertook extensive engagement with the community and key stakeholders on climate change adaptation, and produced the most comprehensive natural resource management climate change adaptation planning to date in Victoria. The work also provided guidance on carbon farming priorities within the regions. For short sharp seasonal forecast outlooks go to www.agriculture.vic.gov.au From there you can subscribe to The Fast Break newsletter which will give you rainfall and temperature predictions as well as other information.It also has links to monthly YouTube clips summarizing Victorian rainfall and giving seasonal outlooks.The YouTube clips cover stored soil moisture levels, crop growing conditions and the latest climate risk information for Victoria. In a recent survey 90% of farmers said these resources had improved their ability to manage seasonal variability and risk. Not-for-profit Law regularly runs webinars on a variety of topics that affect community organisations. You can attend this training using your computer from wherever you may be located. Registering for each webinar is essential. For more information or to register click here – webinars. Slides from previous sessions are also available. This webinar will cover the key legal issues your organisation needs to consider when working with volunteers and other types of unpaid workers, and give you some useful tools and tips on how to meet your obligations. 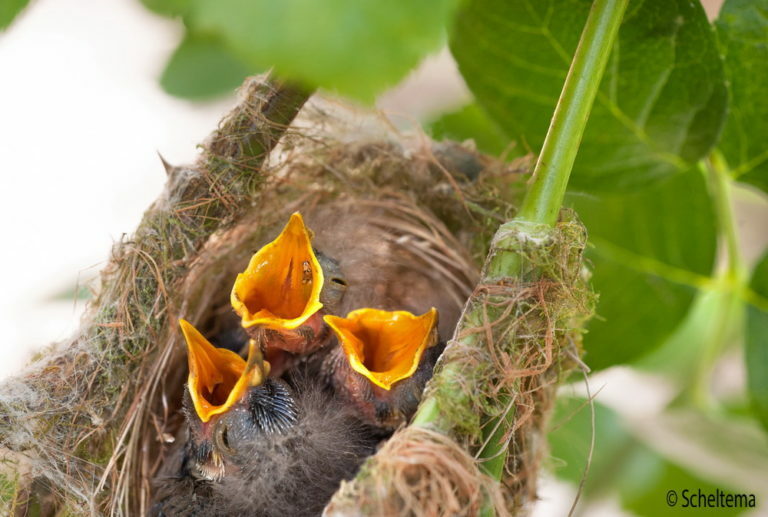 Welcome to our April ENews. 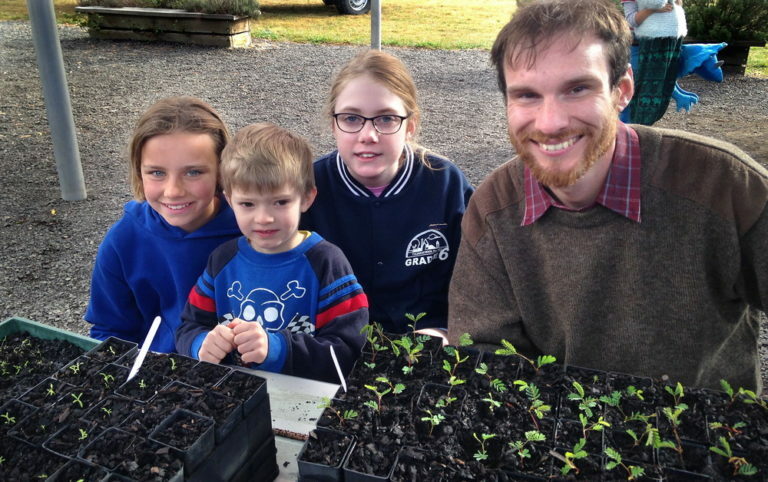 It’s wonderful to see the beautiful autumn colors in the Central Highlands, and the recent heavy rains have soaked the ground well for the planting many of you will be doing at this time of the year.This ENews has lots of fantastic events plus news from our member groups and grant opportunities. “Very great change starts from very small conversations, held among people who care.” said Margaret Wheatley. I know many of you are translating those conversations into action on the ground, creating a better environment for all of us. 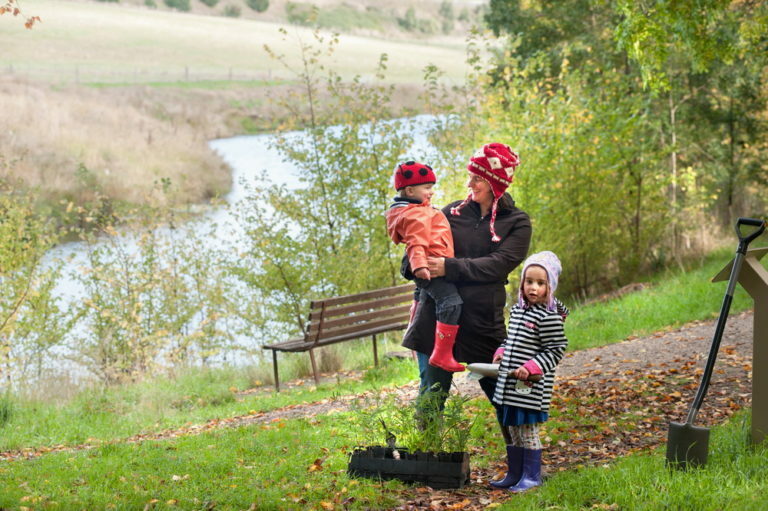 Plant a tree this Mothers Day to honour your mum.You can join in with Woodend Landcare or the Campaspe River and land Management groupon the 14th May. 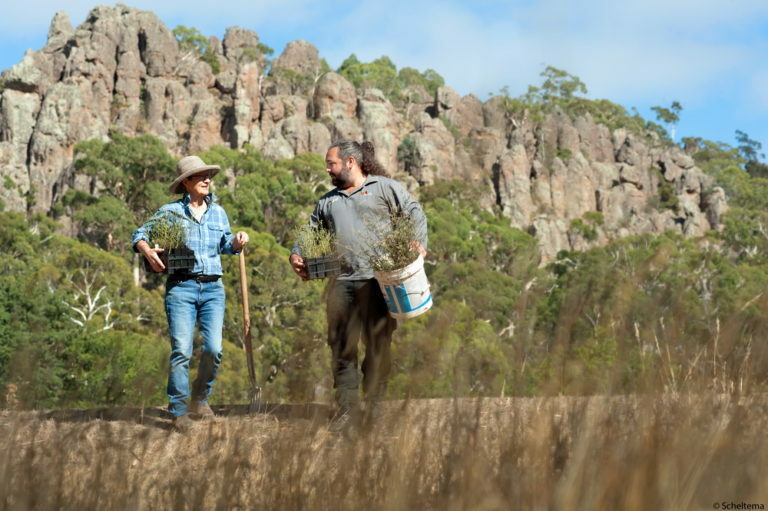 What better way to honour your mum this Mothers Day than to leave a living legacy in the form of an indigenous plant. 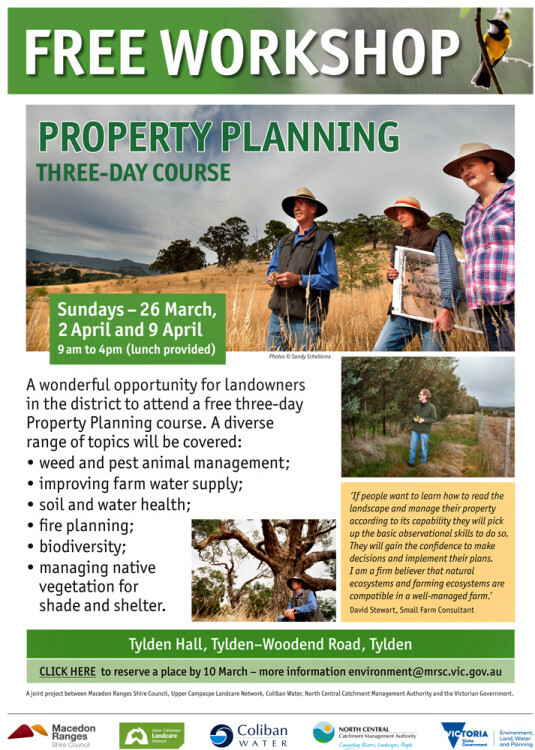 You can do so by joining in with either Woodend Landcare or the Campaspe Land and River Management Group on the 14th May.Bring waterproof shoes and gloves. WHEN:Sunday 14th May 9.30 to 12.00pm (stay for 30 mins or 2 hours). MORNING TEA PROVIDED TO SUSTAIN PLANTERS AND MAINTAIN ENERGY! contact Angela Van Dam for more info on 0409 373 010. Metcalf Landcare has been busy improving the health of the beautiful Coliban River at the Cascades by undertaking ongoing woody weed removal and creating habitat and nest boxes for phascogales. 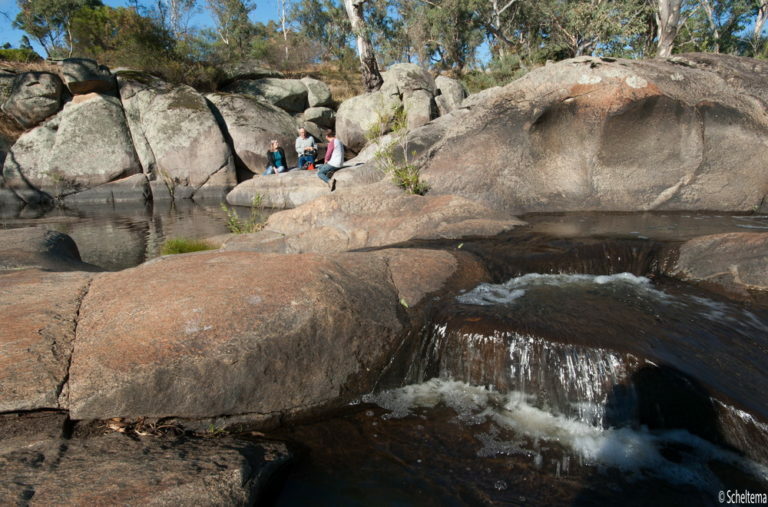 “The Cascades are special to the Metcalfe locals and visitors “in the know”, with its massive granitic rocks and the seasonal ebbs and flow of the Coliban. After heavy rains it becomes an awesome torrent. At quieter times it a favorite swimming and children-safe play area. It offers shade, sandy spots and picnic areas. 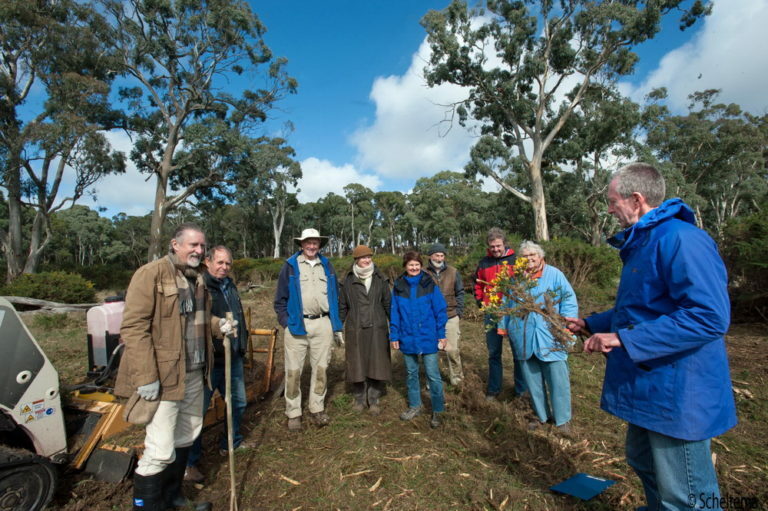 The Metcalfe Landcare Group tackle the endemic woody weeds and willows to allow native trees and grasses to flourish. The Group has already won grant monies to clear weeds and this year is beginning to replant the Cascades proper and extend the area of restoration downstream towards the bridge, working with willing property owners on the way.” said Metcalf Landcare President Michael Nott. 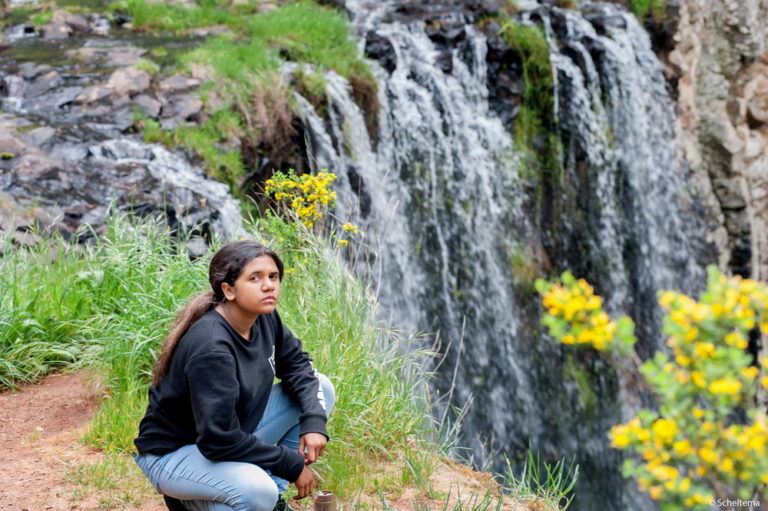 This is a rare opportunity to hear from a leading authority on native plant recovery. 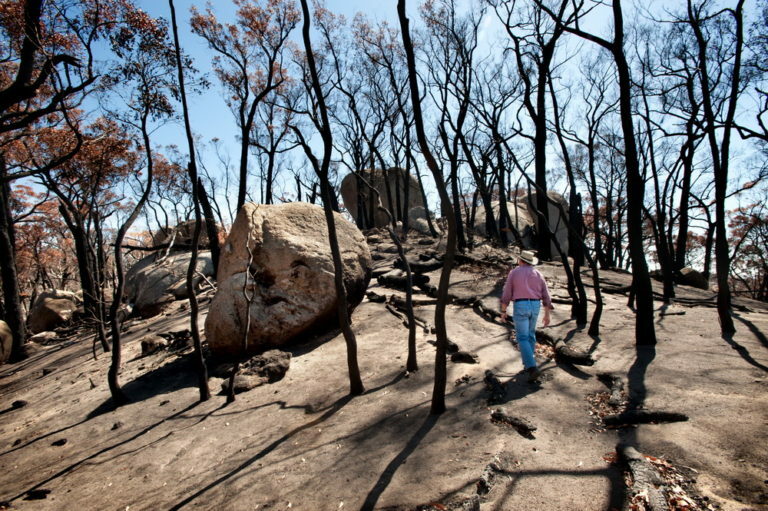 Neville Walsh, Senior Conservation Botanist at the Royal Botanic Gardens Victoria, will talk to the Friends of Black Hill regarding post fire recovery and other matters. 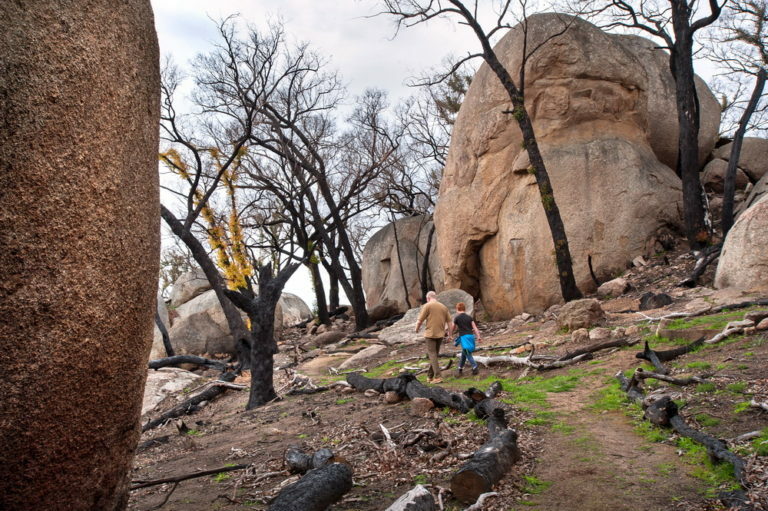 Neville will talk about recovery of various plant species from fire, especially high-plains and alpine tree species after the fires 15 years ago, as well as unusual species that only appear post-fire. Neville started working at the National Herbarium of Victoria in 1977. 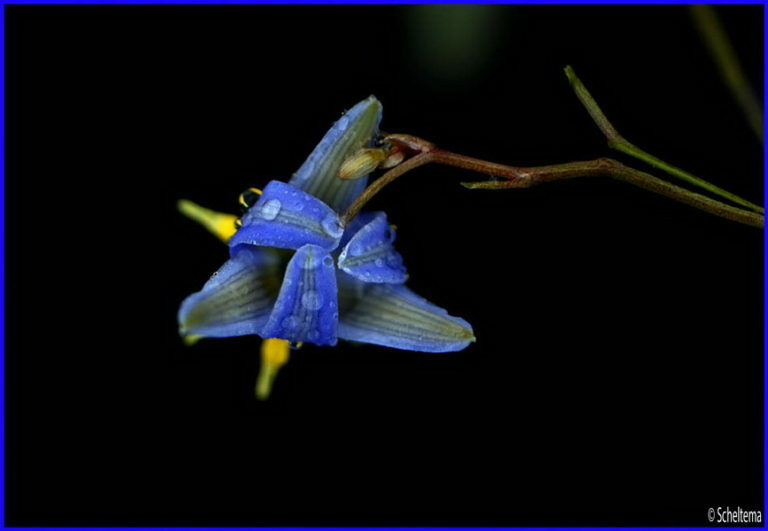 Lobelia and its Australian relatives in the Campanulaceae. 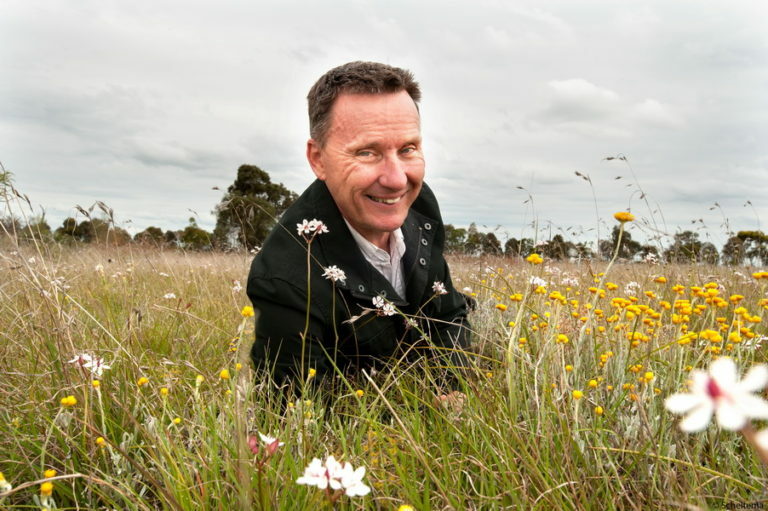 Neville manages the Victorian Conservation Seedbank since 2005.He specialises in the taxonomy and ecology of alpine species is seeking to understand the nature of invasion of non-native species in alpine areas around the world. An impressive number of Australian plant species like Pomaderris Walshii strut their stuff with his name attached . Please contact Alan Todd at alan_todd@westnet.com.au or 0400502325 for more info. 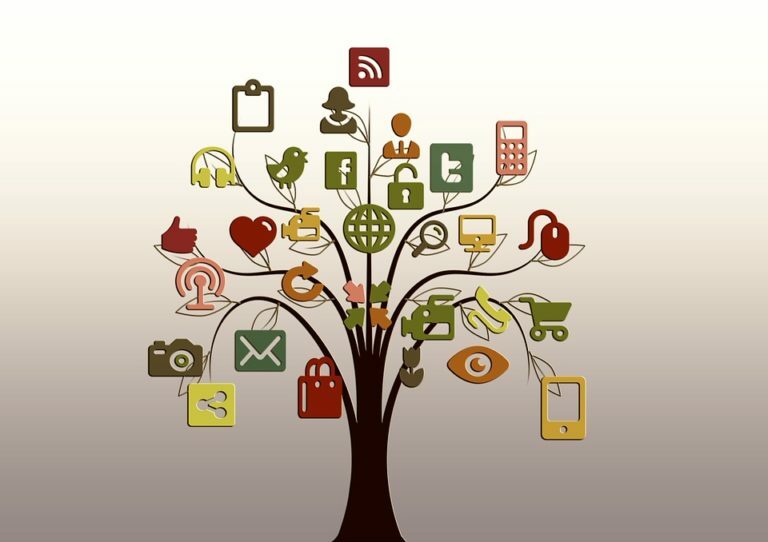 UCLN MEMBER GROUPS JOIN FORCES ON BIOLINK PROJECT. 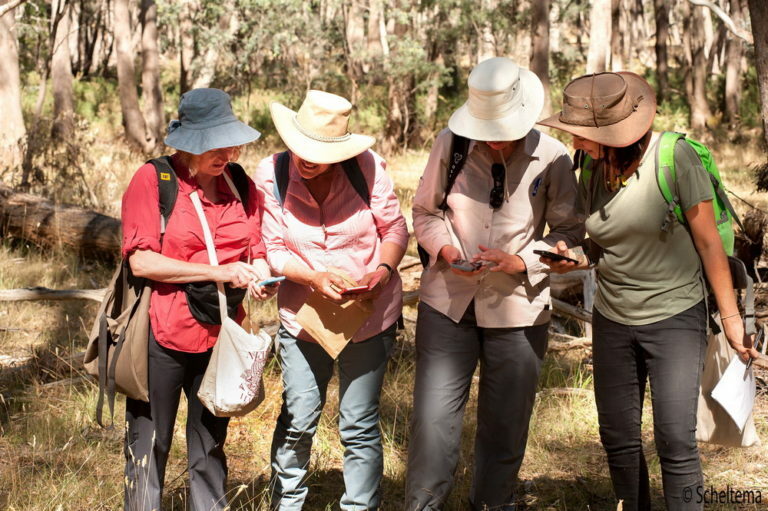 Progress is continuing on the UCLN Biolink projects seven Landcare groups (Ashbourne, Malmsbury, Trentham, Tylden, Carlsruhe, Woodend and Newham)beginning planning. The groups aim is to restore connectivity between areas of remnant vegetation so as to create corridors for the movement and protection of indigenous plants and animals. President of UCLN, Alan Denehey, said they were trying to reverse the degradation of the natural environment that had occurred in the past. For the latest media on this project go to biolink. and Advocate. On a cold and blustery day in Trentham this week when the mercury didn’t rise much over 7 degrees 40 primary school students, teachers and parents from Trentham Primary School joined forces with the Friends Of Trentham Creeks and Reserves to plant over 180 indigenous plants at Trent Creek. The children had a great time getting muddy whilst planting and learning about the importance of protecting the riparian health of our environment. Friends Of Trentham Creeks and Reserves received funds recently as a result of the Regional Riparian Action Plan Program to clear weeds and plant in the area. 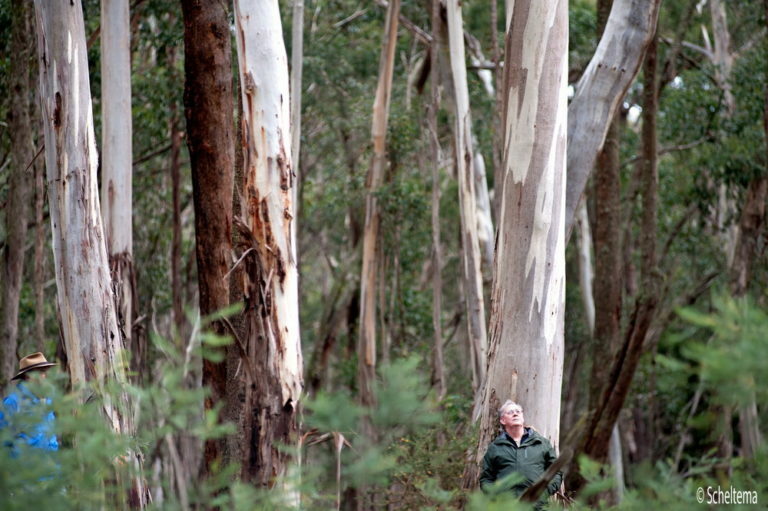 The area has two species listed as ‘rare’ in Victoria – the Brooker gum –Euccalyptus brookeriana , and the Floodplain Fireweed -Senecio campylocarpus, and riparian forest (EVC18) listed as vulnerable in the Central Highlands Bioregion. Tylden Landcare recently held a Field Day to inform property owners about the Victorian Gorse Task Force Program and demonstrate a gorse grooming machine with integrated herbicide application.Participants were interested to watch how the Ecoblade (operated by Regional Vic Farm Services), cuts, mulches and poisons gorse and other woody weeds. They learnt the advantages and disadvantages of the works and how different tools can be used in the rehabilitation of our local paddocks and landscapes. The Field Day was held on the 148 acre property of John Ford. “We met Brendan at the farm gate -he was a gorse evangelist! He spoke about the program and the 50 % rebate and told us about an information session at Tylden Hall with Tylden Landcare. I went along and thought – this is a fast and effective way to get rid of gorse.This is a daunting patch of about 2 hectares infestation.We are addressing it under this program and are paying half the cost of the gorse eradication as a result of this grant.” said John. The Macedon Ranges 2017 Community Funding Scheme for grants of up to $6000.But hurry,it closes May 1st! Info here – MRSC If you’re wishing to apply for funding for an event or festival, refer to Council’s Events & Festivals Grant Program.If you have a community project which requires funding of $1,500 or less don’t forget about MRSC Small Community Grants Scheme which is open all year and involves a simple online application process. Landcare Australia’s Sustainable Agriculture Grants 2017. All the information can be found at: sustainableaggrants. 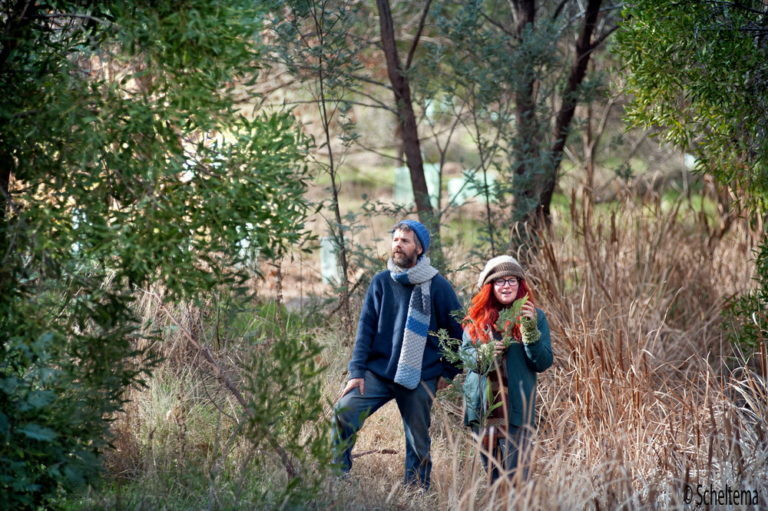 The Victorian Government has recently released Protecting Victoria’s Environment – Biodiversity 2037,For more information or to view the new biodiversity plan visit https://www.environment.vic.gov.au/biodiversity/biodiversity-plan . 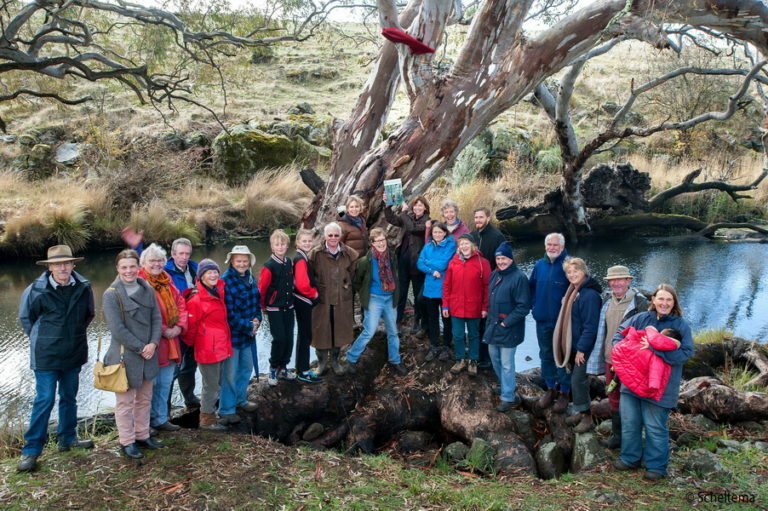 It has also announced $1 million in funding for Community & Volunteer Action Grants.Grants will support communities in efforts to conserve their local biodiversity and threatened species.The Community & Volunteer Action Grants are offering funding for projects between $5,000 and $50,000.More information → Applications close 10th May. 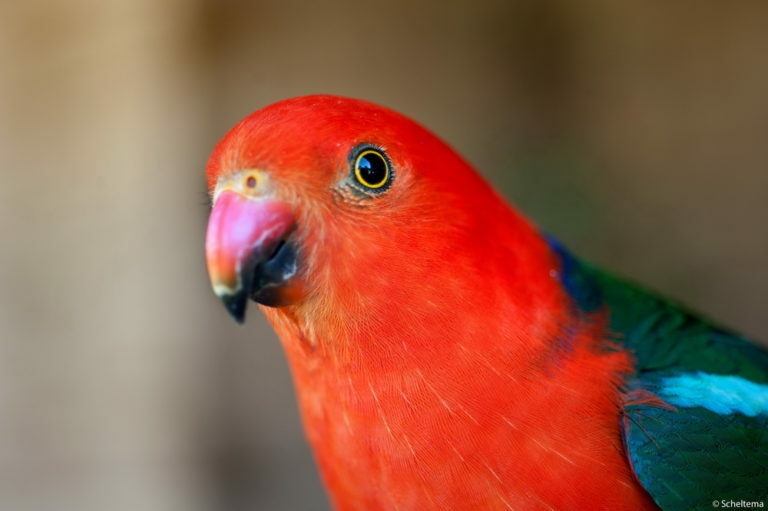 However whilst our governments announces its latest biodiversity strategy Australia has quietly added 49 species to the threatened and endangered lists. Patagonia funds only environmental work. They are most interested in making grants to organisations that identify and work on the root causes of problems and that approach issues with a commitment to long-term change. Because Patagonia believe that the most direct path to real change is through building grassroots momentum, their funding focuses on organisations that create a strong base of citizen support. Grants typically range between $2,500 – $15,000. SUEZ believe strong communities build a better future for us all. Since 2013, the SUEZ Community Grants program has provided more than $400,000 to inspiring organisations and projects across Australia. They offer individual grants of up to $15,000 to fund social and environmental projects that contribute to a stronger community and healthier environment. 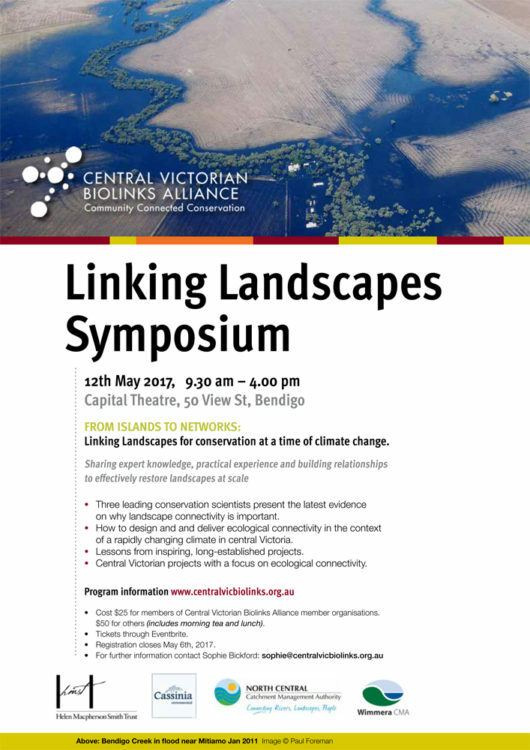 For those groups working on biolink projects dont miss this LINKING LANDSCAPES SYMPOSIUM , organised by Central Victorian Biolinks. 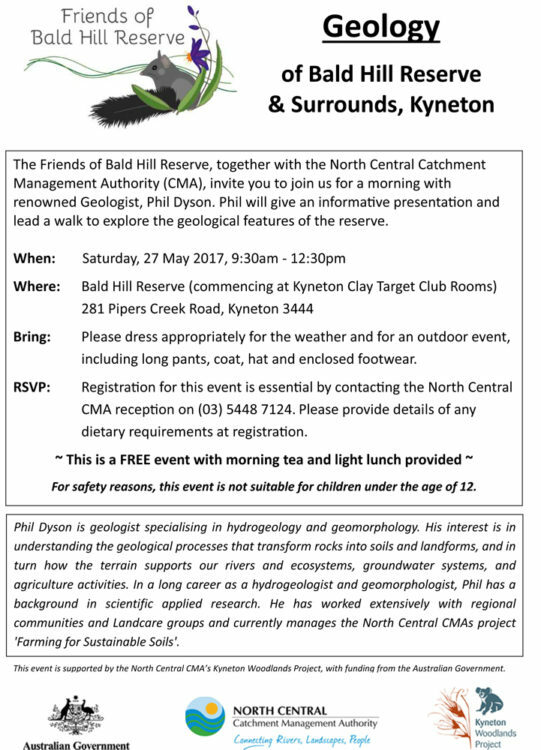 The Friends of Bald Hill Reserve, together with the North Central Catchment Management Authority (CMA), invite you to join them for a morning with renowned geologist, Phil Dyson. Phil will give an informative presentation and lead a walk to explore the geological features of the reserve. Are you looking for some assistance to help improve the biodiversity values of your rural property? 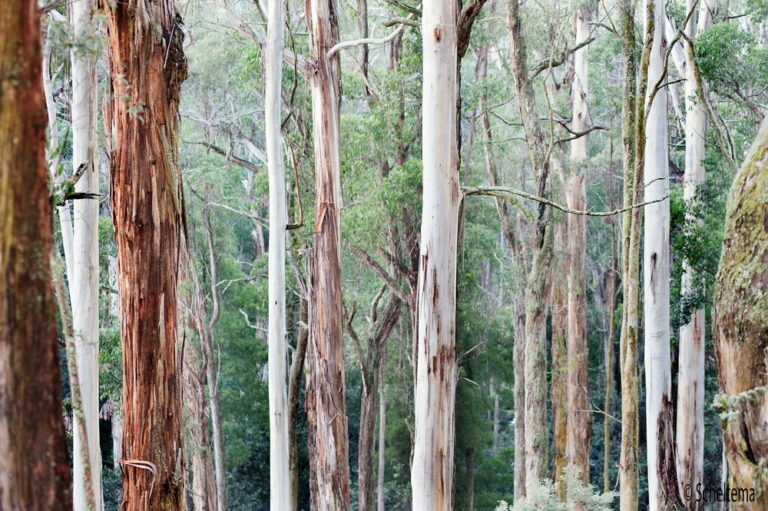 Speakers from Trust for Nature, Land for Wildlife and the Victorian Government’s native vegetation offsets program will answer your questions about the financial incentives and support available to help you protect your bush block. 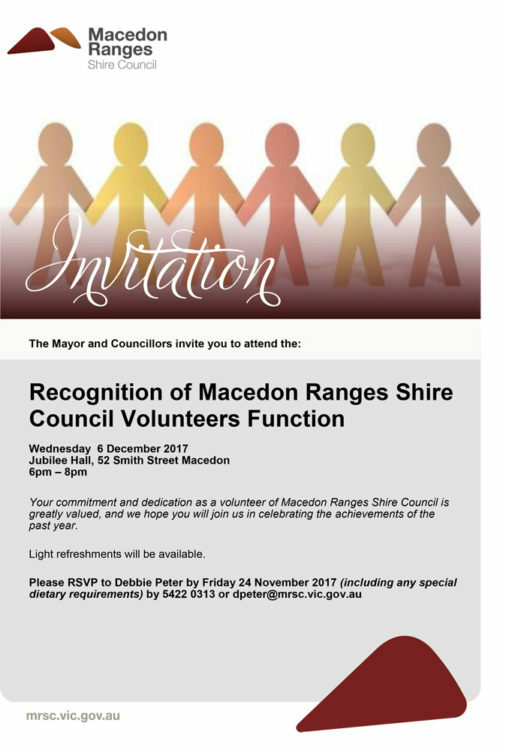 Organised by Macedon Ranges Shire Council and the North Central Catchment Management Authority with funding support from the Australian Government. CLICK HERE to view the April 2017 edition of the North Central Chat. 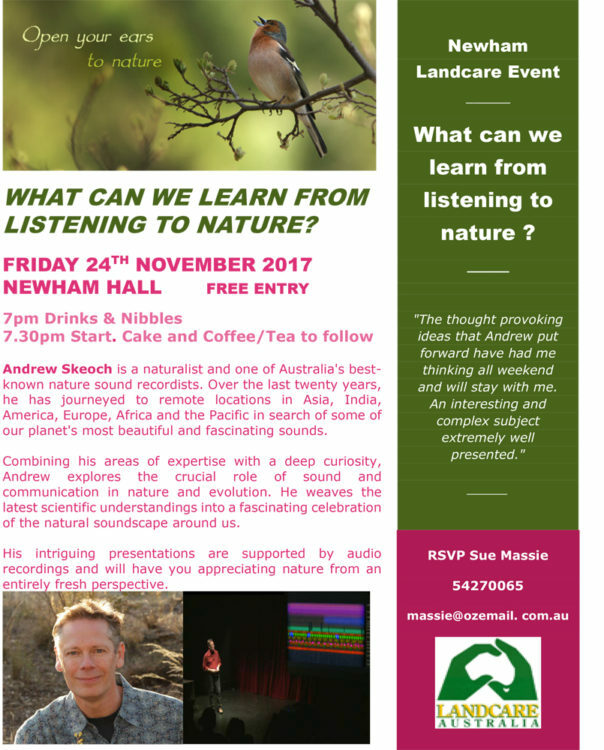 This month’s edition features information, Landcare stories and upcoming events. To see our region’s Landcare report card 2015-16 from Tess Grieves, our Regional Landcare Coordinator, CLICK HERE. 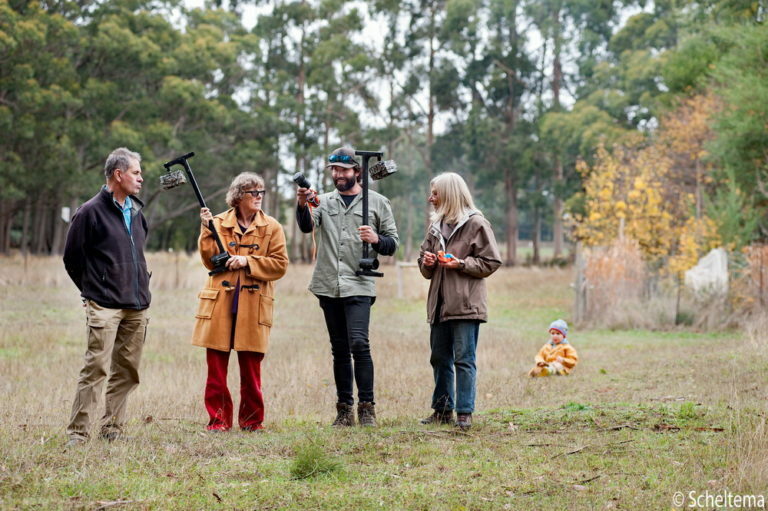 It features our very own Malmsbury Landcare. 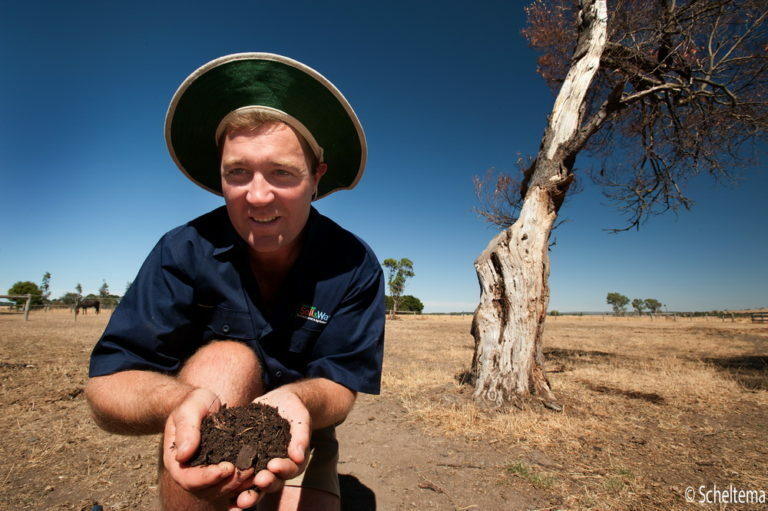 To read the latest Landcare in Focus go to Landcare In Focus. The release of the RHDV1 – K5 (Rabbit Haemorrhagic Disease Virus) took place on 6 March 2017. Agriculture Victoria are coordinating the release of the virus in Victoria. The link below has some videos on RHDV1 – K5 and rabbit control in general. And finally, for those of you that despise feral cats and the damage they cause here is a good article on getting rid of them…..
TWO APPS TO KEEP YOU SAFE, SUSTAINABILITY FESTIVAL. Welcome to the February edition of our ENews. I hope you have all had a safe and relaxing Christmas and an enjoyable summer. As David Attenborough said “The future of life on earth depends on our ability to take action. Many individuals are doing what they can, but real success can only come if there’s a change in our societies and our economics and our politics….Surely we have a responsibility to leave for future generations a planet that is healthy, inhabitable for all species.” A big thank you to all those Landcarers out there working hard to improve the health of their patch. 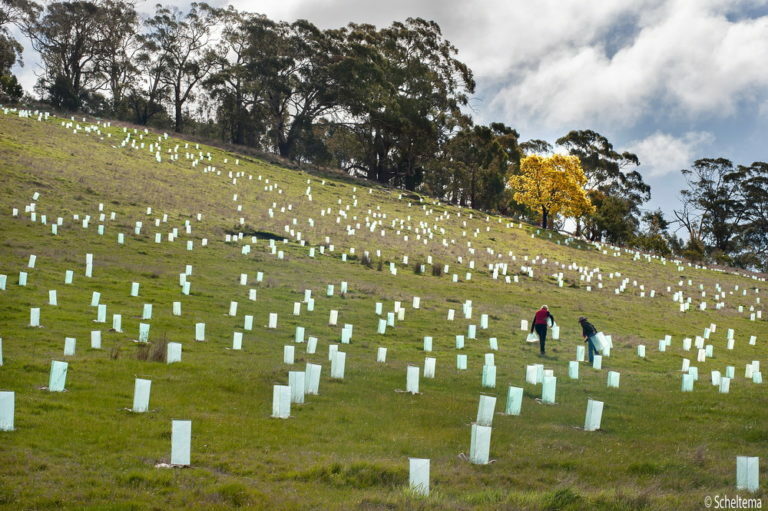 For those of you involved in revegetation projects, make sure you check out the great guides at the bottom of the ENews. 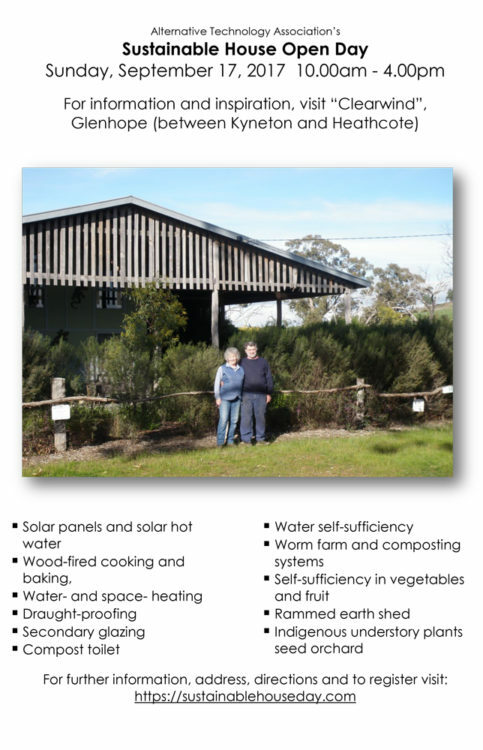 You may wish to visit the UCLN stall at the Macedon Ranges Sustainability Festival on the 4th March. UCLN was successful with its 2016-17 Community Grants application. 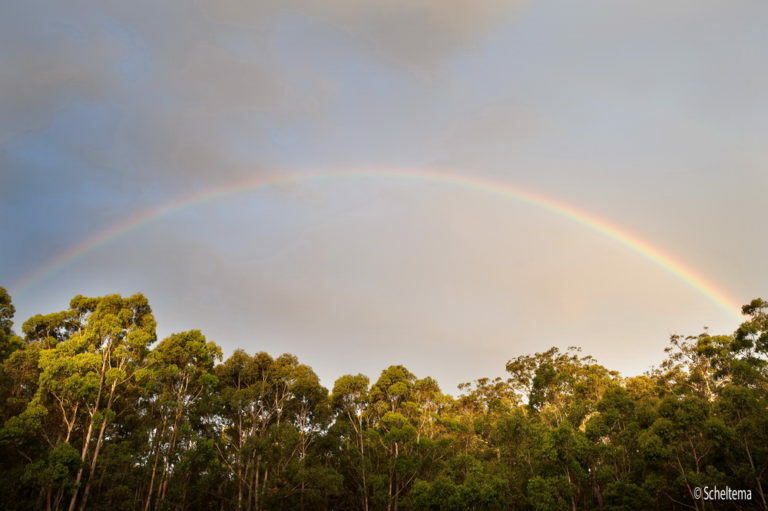 The funding will enable work to continue on its biolink projects; the Coliban Corridor and the Cobaw Campaspe Connections. It will enable the Network to continue building on connectivity to enhance biodiversity in the two biolinks. 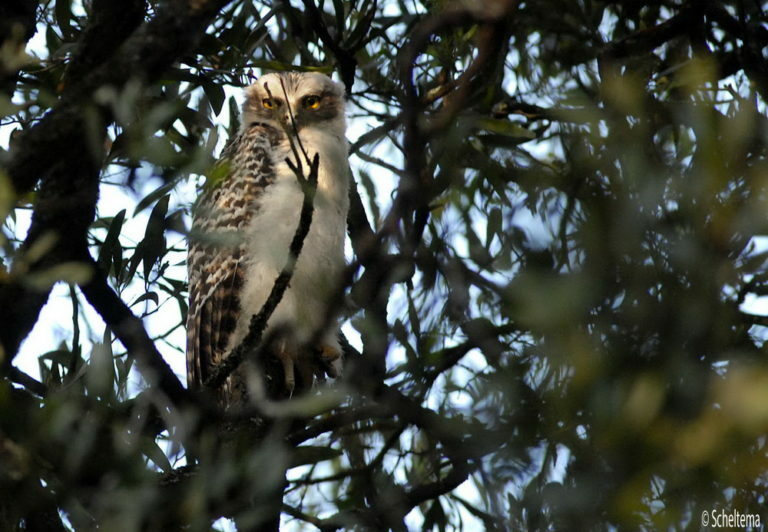 Using the Action Plans completed as a result of last year’s grant (which can be seen on our website here – Action Plans ), ecologists will be engaged to develop an inventory of focal species, such as the Powerful Owl and Phascogale, and provide advice on their habitat requirements, and threats. 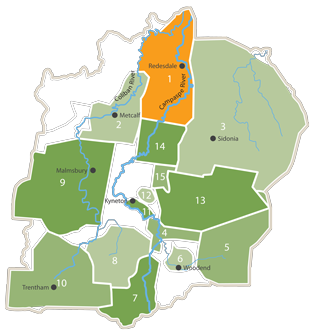 A least one field day will be held to involve the community in the ecological assessments. The work is designed to support the progress of the ‘clusters’ of the UCLN member groups as they move towards the goal of landscape-scale habitat repair and expansion. 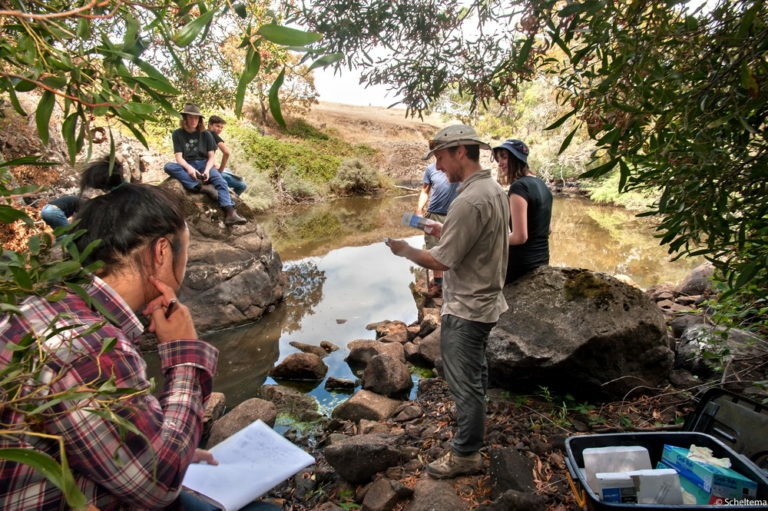 UCLN President Alan Denehey said “This year’s project, which follows on from the goals of our Strategic Plan and the excellent community engagement activities of last year, aims to extend the knowledge of our members and support their efforts as they plan and scope landscape restoration projects”. Congratulations also to Malmsbury Landcare for receiving funding for it’s long-running Reclaim the Channel Reserve project. 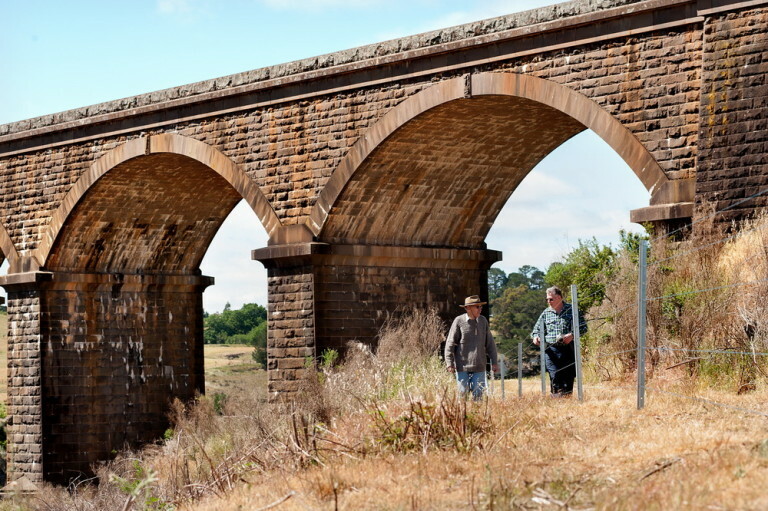 “The centerpiece of that project is a walking path that takes in the magnificent Malmsbury viaduct, the largest stone bridge in the southern hemisphere,” North Central Catchment Management Authority regional Landcare co-ordinator Tess Grieves said. Ms Grieves said this was the most successful grants round ever for the region, with 92 per cent of applicants successful. 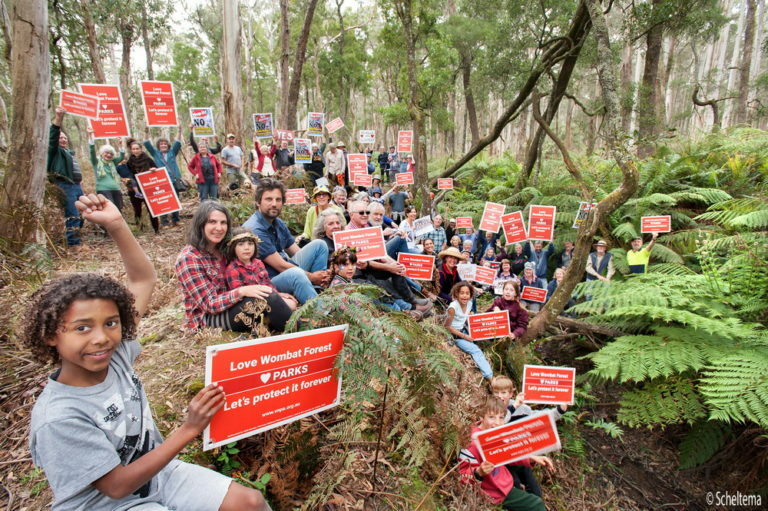 “That goes to show our Landcare groups are really on the ball and focused on the environmental projects that are important to their communities,” she said. Ashbourne Landcare Group for biolink matrix demonstration sites. 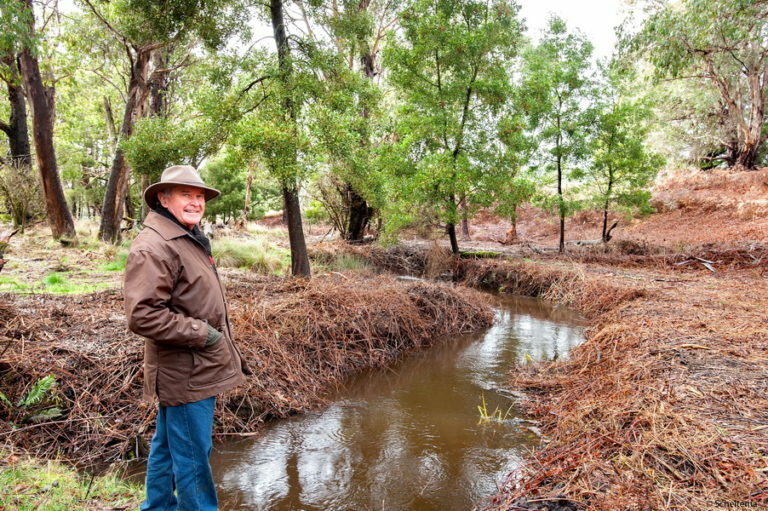 Carlsruhe Landcare to replenish and revegetate biolink one and two. Minister for Energy, Environment and Climate Change Lily D’Ambrosio congratulated the local groups on their projects. 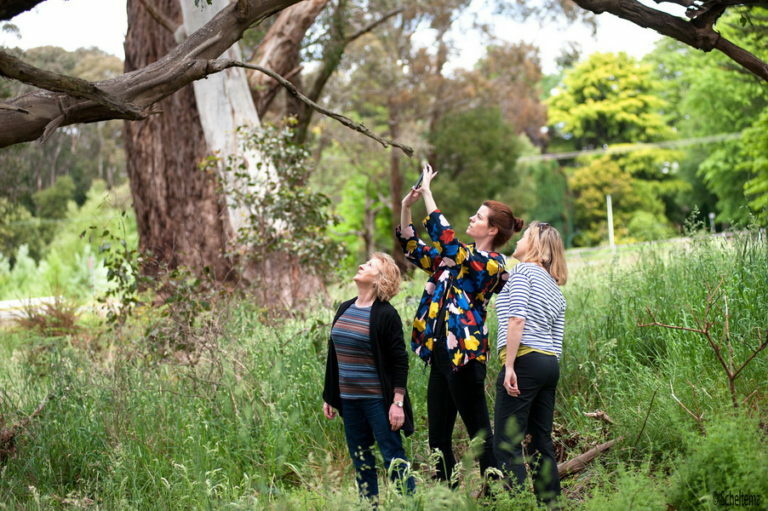 “The Victorian Landcare program is an investment in our future and it’s fantastic to see these local groups receiving grants to support their important environmental projects,” she said. Trentham Landcare was also a successful recipient of a Hepburn Shire Community Grant to continue with their work removing weeds and planting native vegetation in the vicinity of the historic Enders Bridge. 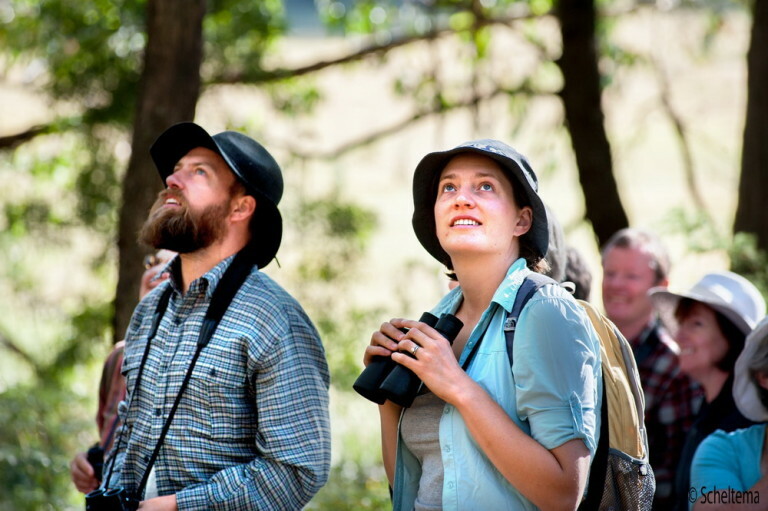 Members of Trentham Landcare recently enjoyed a summer early morning walk with bird expert Tanya Loos, from Connecting Country, to do a bird count on a property on the edge of the Wombat Forest. Eighteen species of birds were observed. “What was special for me was the quality of the habitat. When you retain diversity in the understorey and have mature trees you will also attract a diversity in the birdlife. To start with a stunning pair of obliging Gang Gang Cockatoos and end with a White-necked heron in shimmering breeding plumage are great signs of how well this property is supporting a wide variety of birds. It made for a fantastic morning with passionate Landcare members. 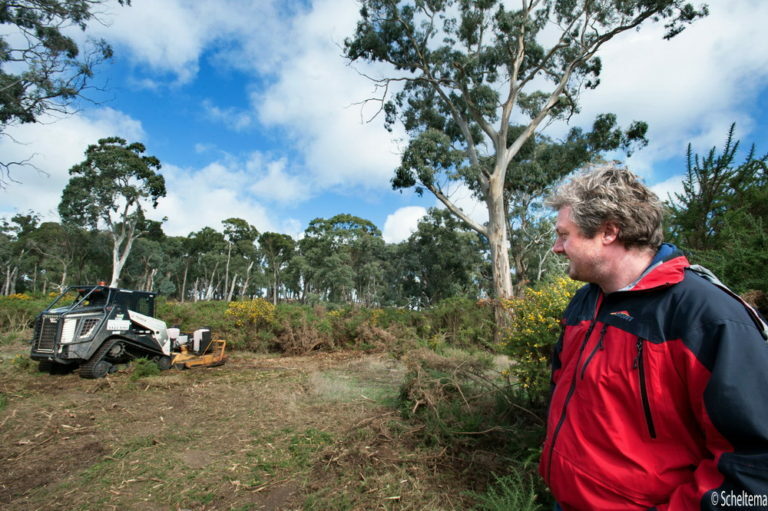 ” said Trentham Landcare member Kent Burgess, seen below. 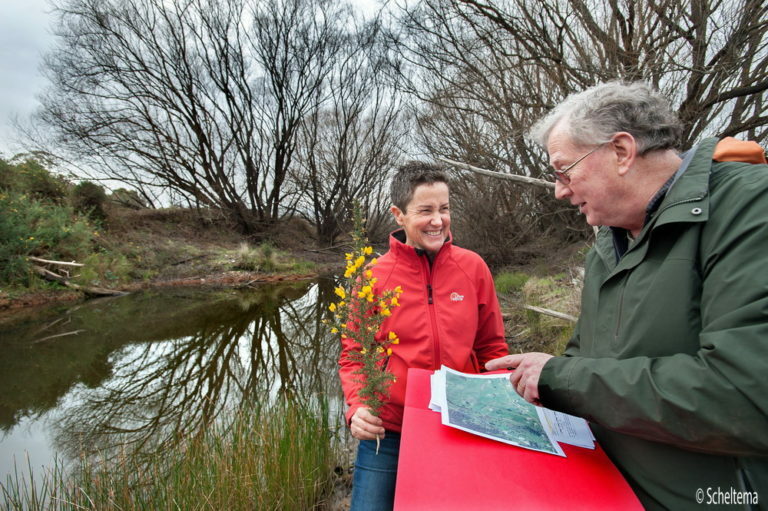 The Victorian Serrated Tussock Working Party (VSTWP) have developed its first App, which is guides landowners and managers through the process of how to identify serrated tussock. The App is available through all smart-phones, tablets and computers and enables users to scroll through a series of screens that outline the important features to look for when attempting to identify serrated tussock (Nassella trichotoma). The App also features the Australia wide distribution of serrated tussock and allows users to move the interactive map around and see a time lapse over the past few decades. Campaspe Valley Landcare does a wonderful job on controlling weeds in their area, with the help of the Mt Alexander Shire grants. 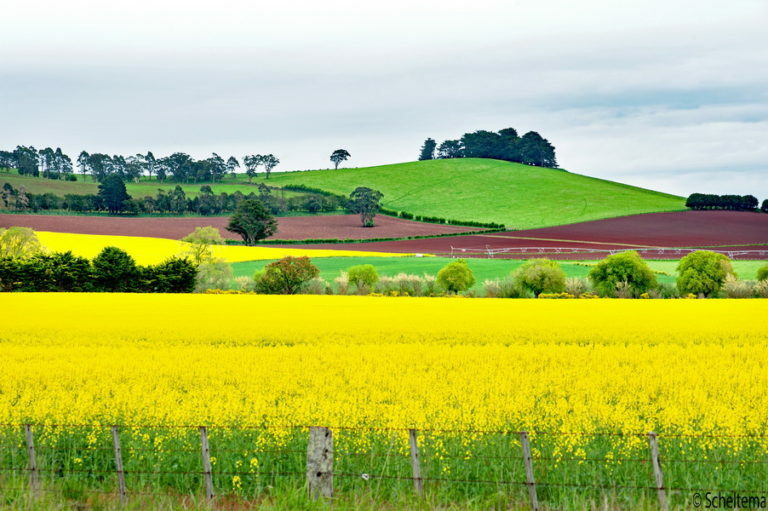 They have an ongoing commitment to eradicating many weeds in their district and have advised the Shire for many years on roadside weeds over an area covering about 25 km. They also work in partnership with DELWP on gorse eradication on Back Creek (a tributary of the Campaspe River) with funding also provided from the Gorse Task Force. Their members volunteer their time and equipment on neighboring properties to manage the spread of weeds. 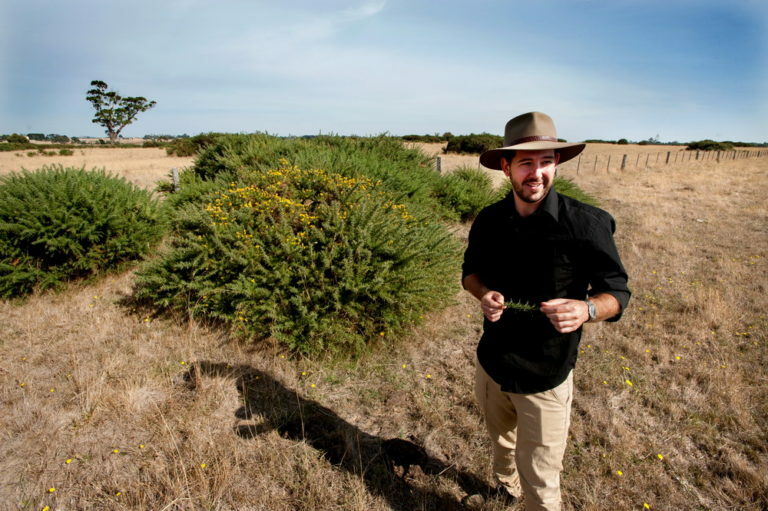 Says member Phillip Don “I’d like to do today what others wont, so the weed problem doesn’t become too big tomorrow.” Another member, botanist John Stuwe, is compiling plant lists from the area which will be used for future regeneration projects and for the protection of rare and endangered species. 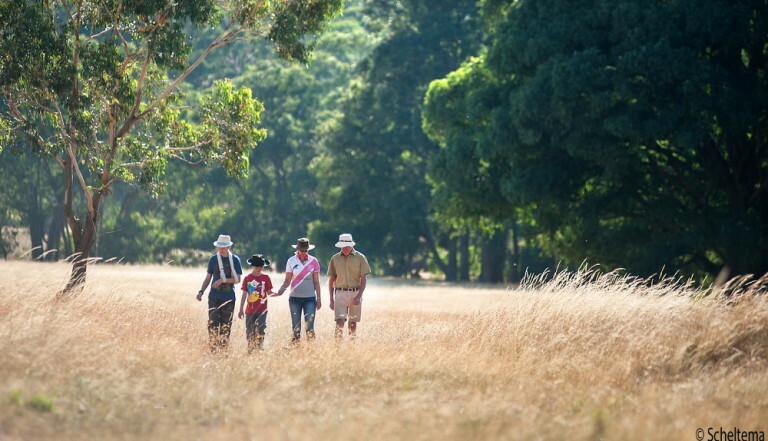 A great example of a Landcare group really making a difference in their area! New president Charlotte said “It’s important for the children to understand about sustainability.We want to learn about indigenous plants and animals, whats a weed, and how to care for the land. The demographics are changing, there are a lot of people coming from the city, a lot of new families. We’d like to help educate new landowners how to look after and sustain the land.” Welcome Charlotte! 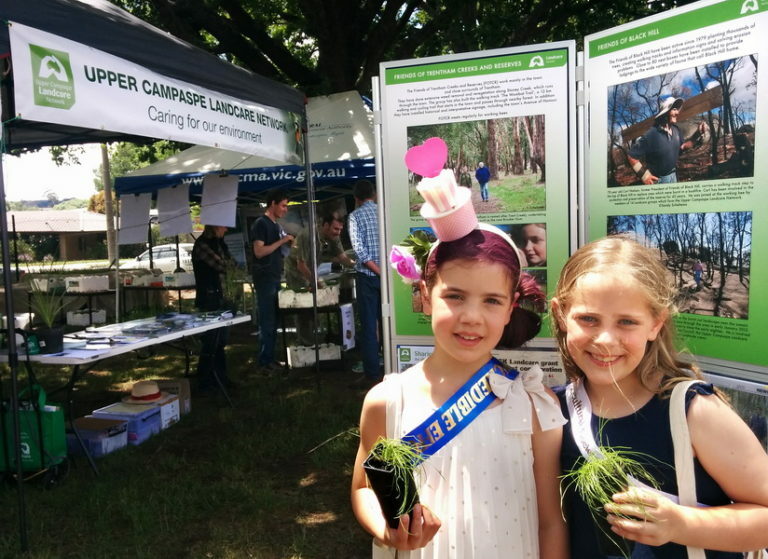 Its exciting seeing new generations taking on Peters slogan – ‘Landcare – I Care!’. Many groups will now be aware of the the new legislation regarding Child Safety and that we are obliged to abide by them. Some groups within our network already have done so. For those that havent, it is a simple process. FOR MORE INFO ON HOW TO ABIDE BY THE REGULATIONS GO TO Child Safety AND LOOK FOR REPORT TITLED CHILD SAFETY. Join in a Victoria-wide photovoice initiative to guide future community action and investment on widely established invasive species. The Victorian Government, in collaboration with community pest management groups for blackberry, gorse, serrated tussock and rabbits, is undertaking a Systems Mapping Study. The study uses photovoice to feature your stories and experiences. Images can help us to better understand each other’s stories, offering a fresh look at the longstanding community issue. Stories may be up to 300 words, and will be accepted until 31 March 2017. Create your image+story in response to the following questions. What motivates your efforts to control blackberry, gorse, serrated tussock or rabbits? What hinders your efforts to control blackberry, gorse, serrated tussock or rabbits and how do you overcome the hindrance? What are your ideas for community action to control blackberry, gorse, serrated tussock or rabbits? For further information and to submit your image+story visit weedsandrabbits.com/about. 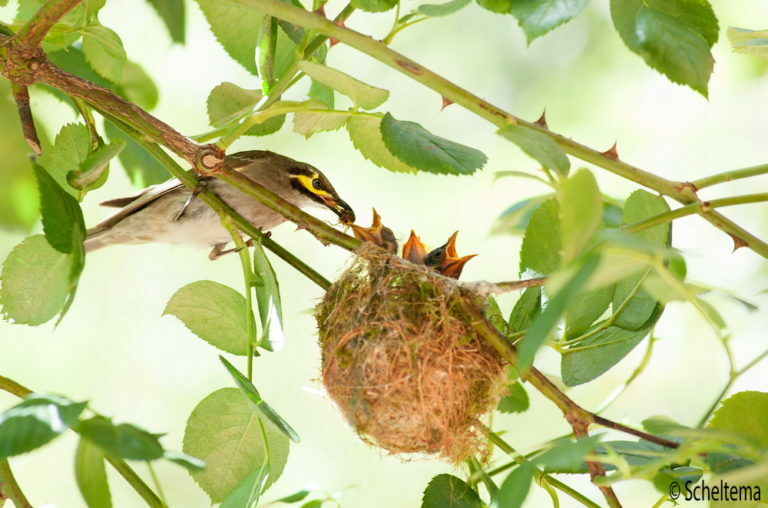 Victorians are encouraged to have their say on the review the Flora and Fauna Guarantee Act 1988 to ensure it better protects our biodiversity. 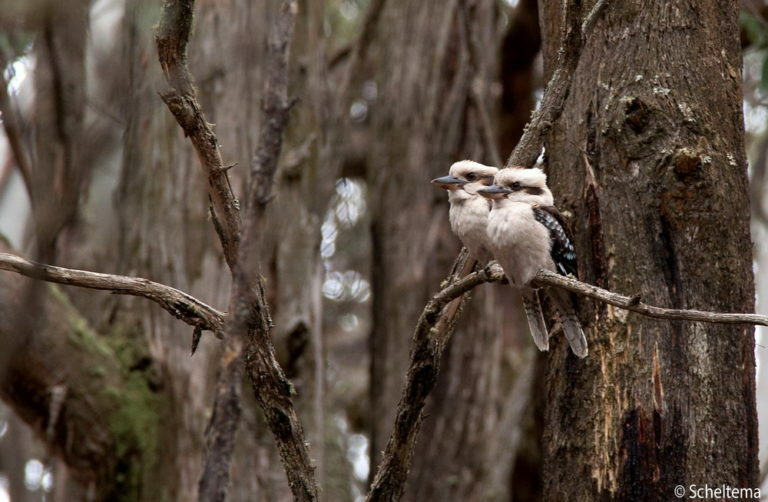 The Act has been in place for nearly thirty years, but this has coincided with a decline in Victoria’s biodiversity. 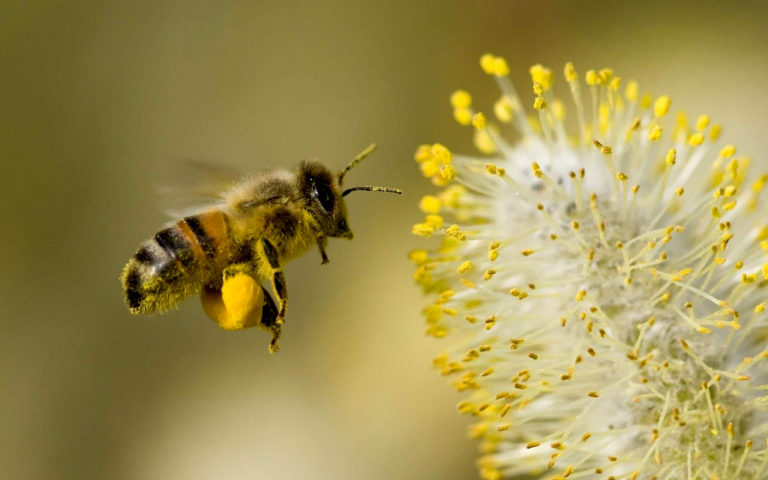 A consultation paper has been prepared to seek the community views on the Act and how it could be improved by incorporating improvements in our knowledge of native flora and fauna. 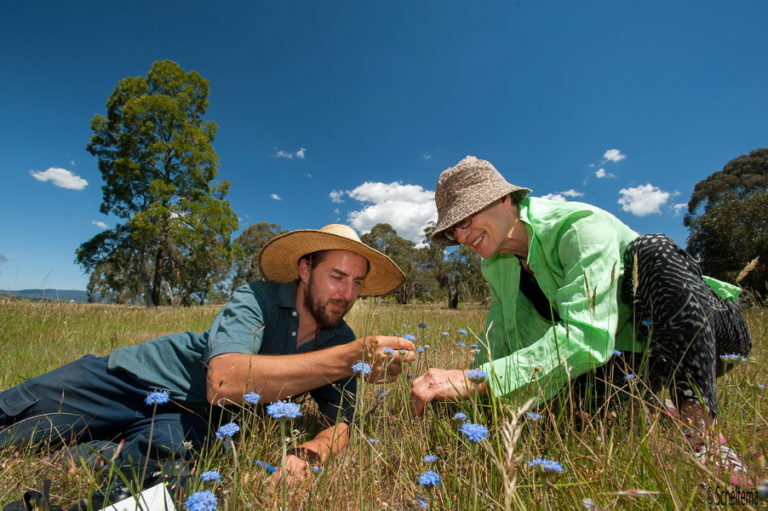 Community feedback is vital to ensuring that changes to the Act reflect how we can work together to protect Victoria’s unique plants and animals. 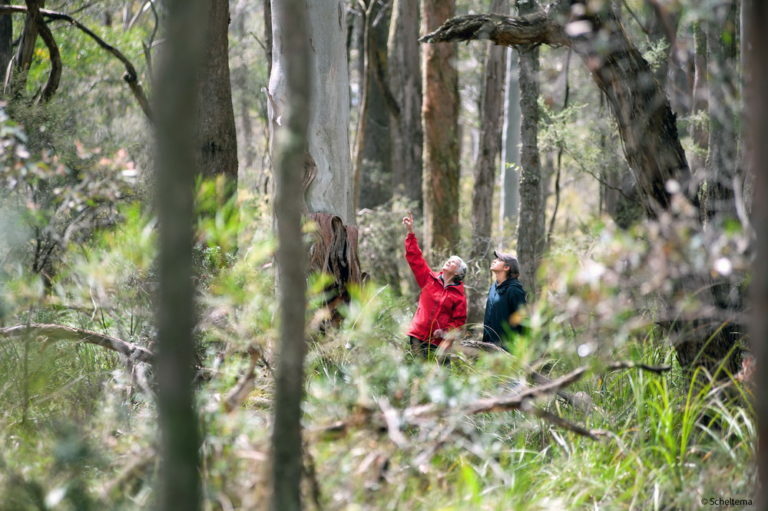 The review aligns with the other major biodiversity initiatives including the draft biodiversity plan Protecting Victoria’s Environment – Biodiversity 2036, and the review of the native vegetation clearing regulations. The new Climate-ready revegetation: A guide for natural resource managers is available to assist natural resource managers work with the uncertainties associated with climate change when planning revegetation activities. CLICK HERE to go to the website, where you can also download a PDF version of the guide. 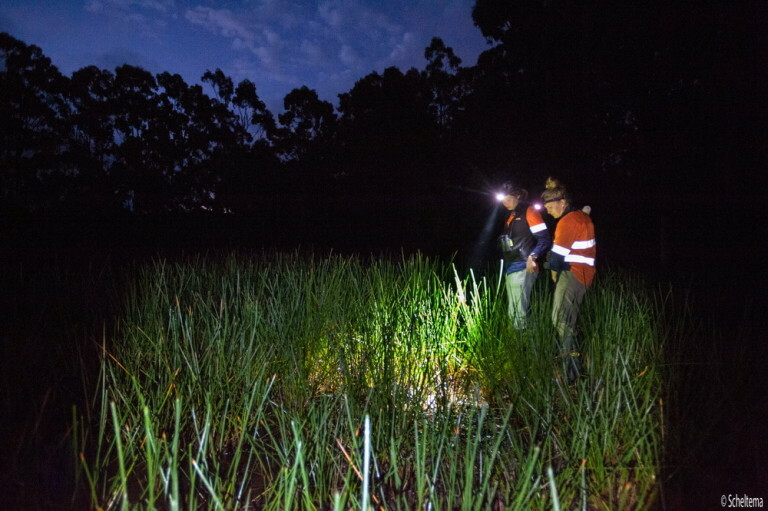 The Growling Grass Frog is threatened in Victoria. 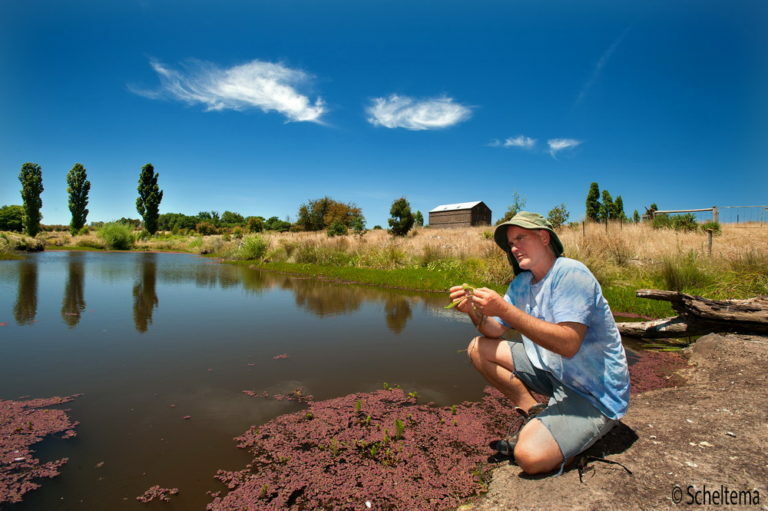 Dan Gilmore from Biosis is seeking Growling Grass Frog habitat sites (*not already under a covenant) to offset a project in Melbourne. 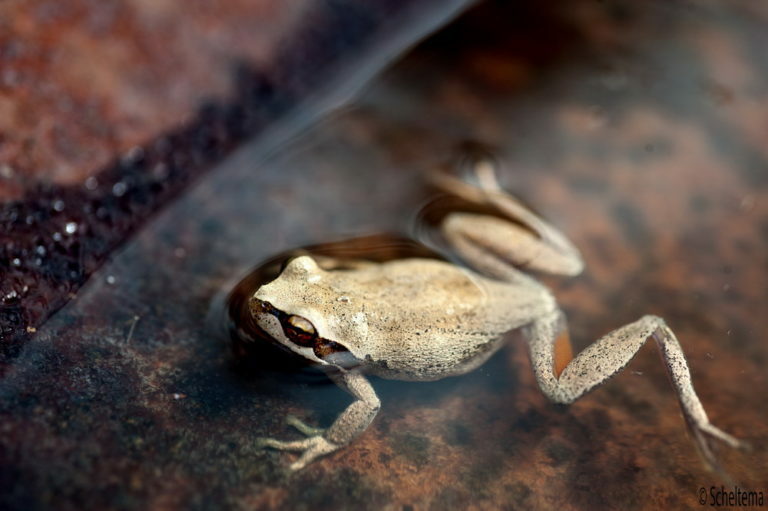 If your group or anyone you know has a Growling Grass Frog site (including creek lines, farm damns, drainage lines etc) on their property which they may be willing to covenant with compensation through Biosis’s process, please contact Dan on 0428 108 379 or at dgilmore@biosis.com.au. 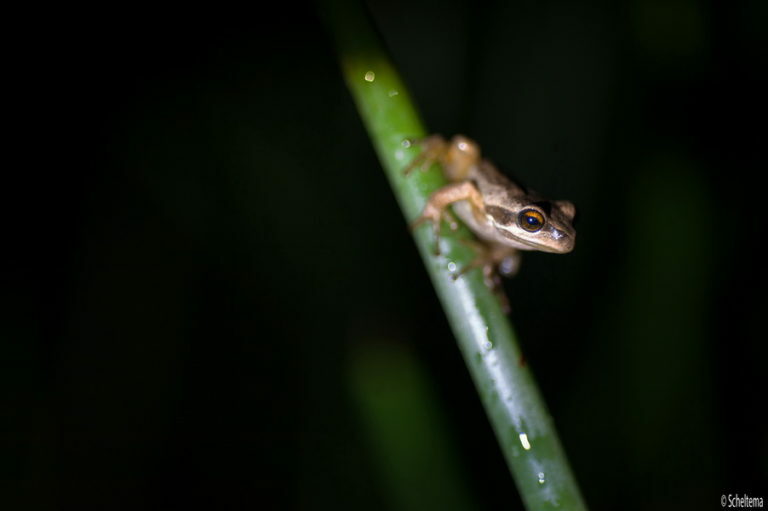 CLICK HERE for more information on Growling Grass Frogs, or CLICK HERE to visit the Biosis website. Thank you to Connecting Country for sharing the information below. The new VicEmergency app provides access to warnings and incidents for fires, floods, storms, earthquakes and water safety. The VicEmergency app replaces the FireReady app and is now available from the App Store or Google Play. The Emergency + App is a fantastic app to have on your phone.It works when there is no phone reception, and will connect you directly to police, S.E.S or Fire Services whilst giving your GPS location.Very handy when you are out of range and have been bitten by a snake, as happened recently at a Landcare Planting event. Remember NOT TO MOVE if that happens. UCLN will be having a stall in conjunction with Woodend and Ashbourne Landcare groups at the Macedon Ranges Sustainability Festival on the 4th March.We would love to see you there! In previous years the festival has attracted visitors from the Macedon Ranges, Central Victoria and Melbourne, and hosted 60+ exhibitors, speakers and demonstrators. The aim of the festival is to showcase ideas, products and practical solutions that will inspire and inform visitors so they can enjoy living more sustainably. The concept of this year’s festival is ‘Resilience – Building a Sustainable Community’. The 2017 MRSLF has confirmed Simon Corbell, the Victorian Government’s new Renewable Energy Advocate, as key speaker on the Victorian Renewable Energy Targets (VRET) and its potential impacts on the renewable energy sector in our region.